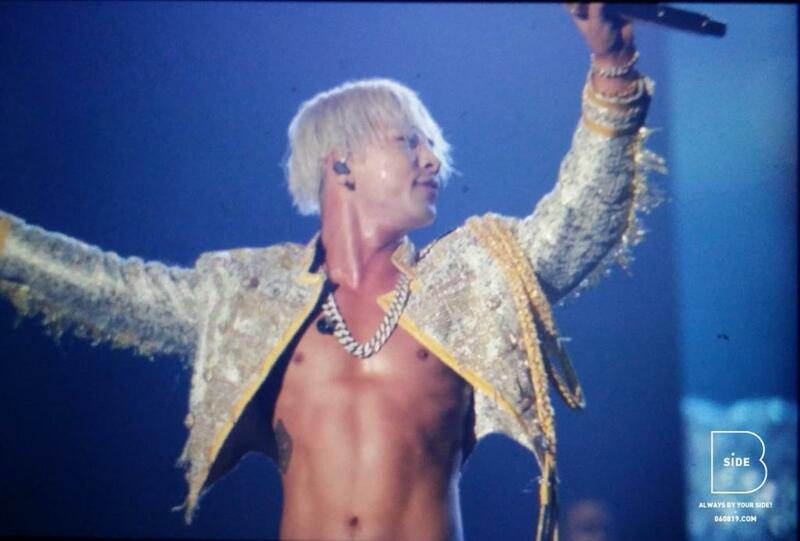 Credit on pic and via twitter and instagram: aloha_mami, m4k3l2, lieunchaeii, lilxceejay. 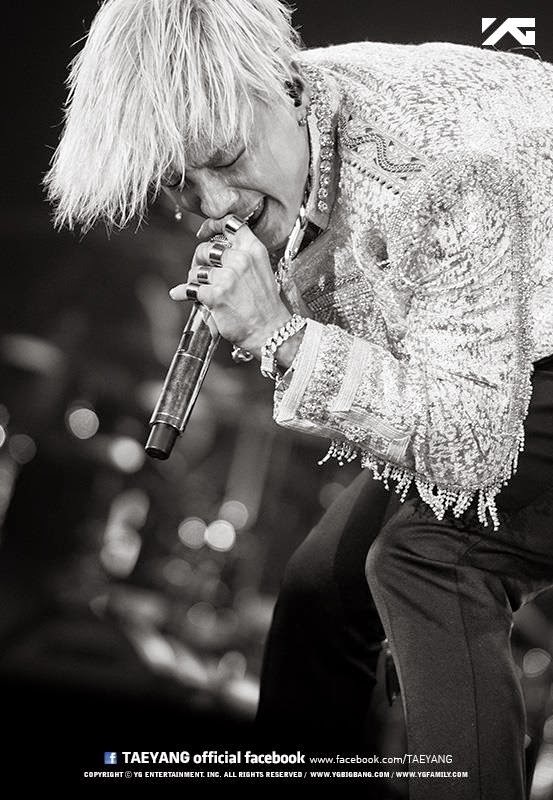 b/w pic by aidan_na on insta plus Credits via Twitter and Instagram: m4k3l2, iieunchaeii, soooooobiny, aidan_na, dongok85, adrianashim, kimyj_994, bigbangxibgmgie, valenxxia, urthesun, tyhundred, ybmaniaofficial, yb_518, bb_side, xo_hee, xxxcrazydog, blairkim88, w_banana, eunsssun2, imjcxx, attractive_sophia, nokiov, eun__mimi, kyunghwa_c, daughterofagony, lshxx__. 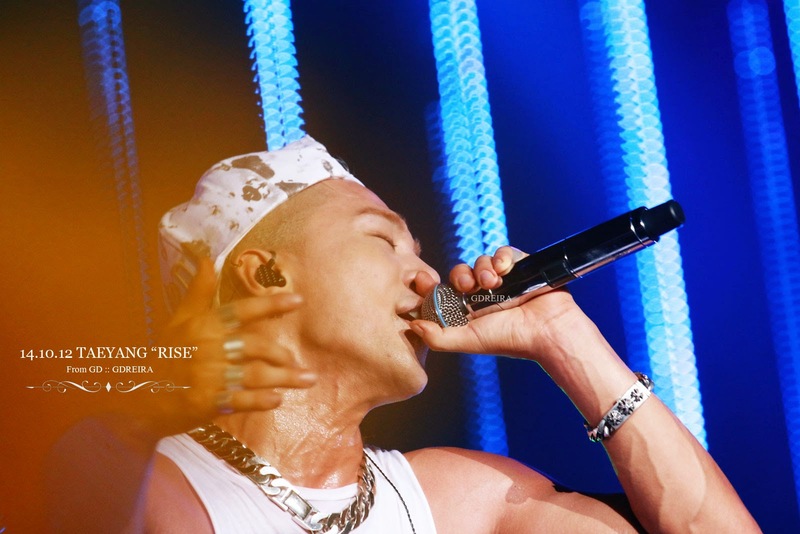 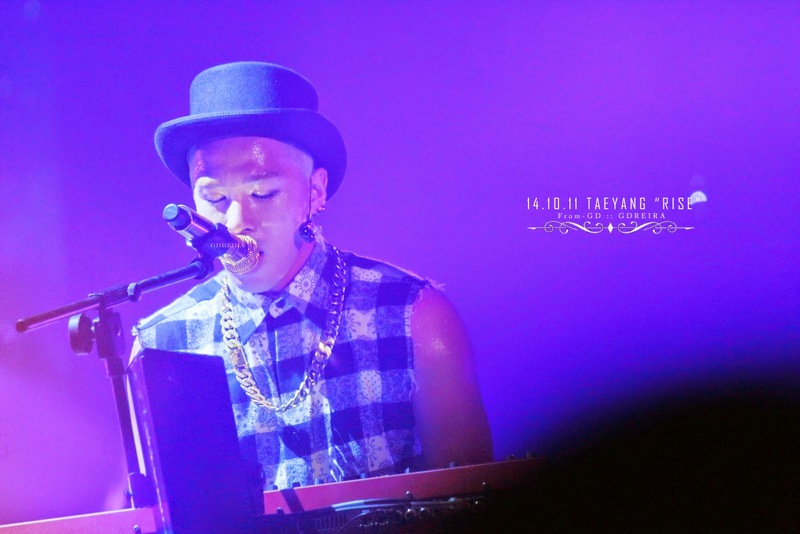 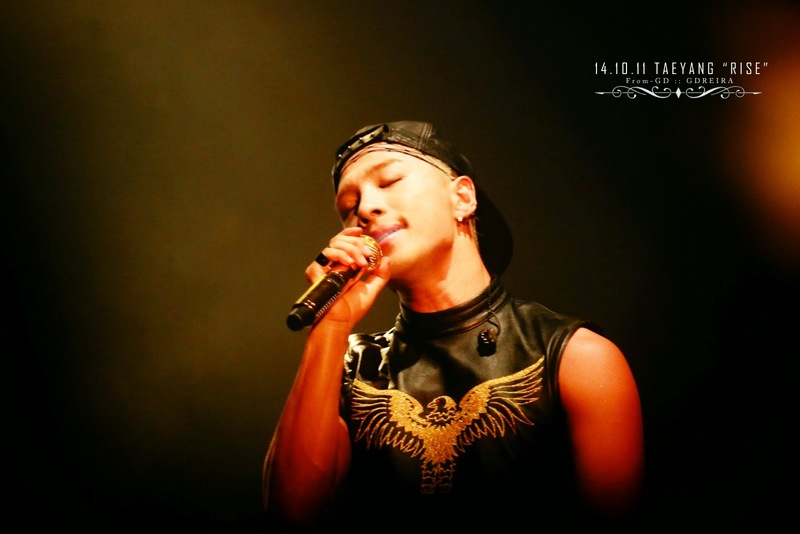 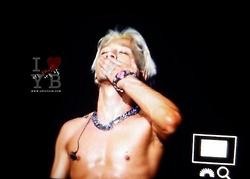 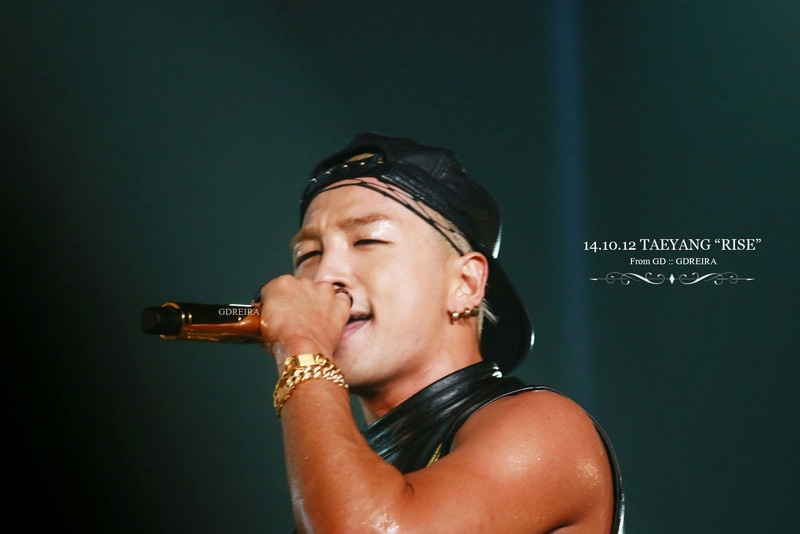 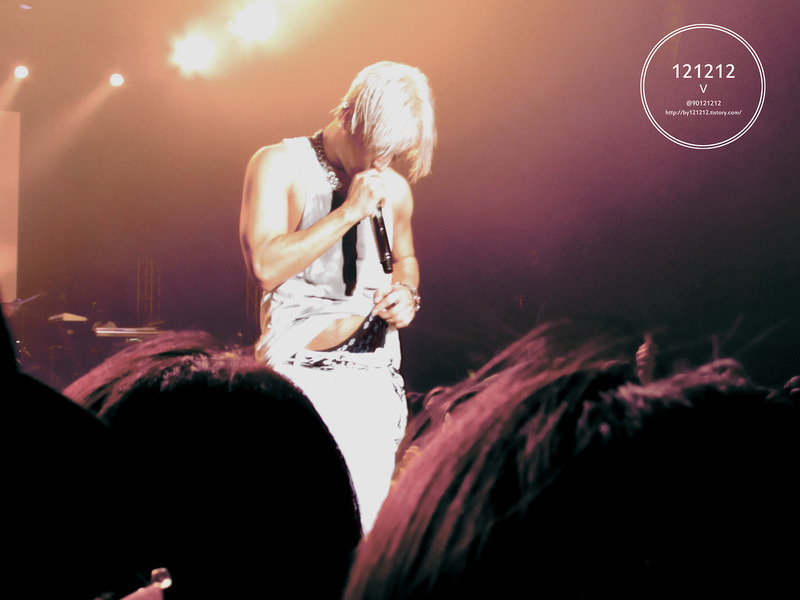 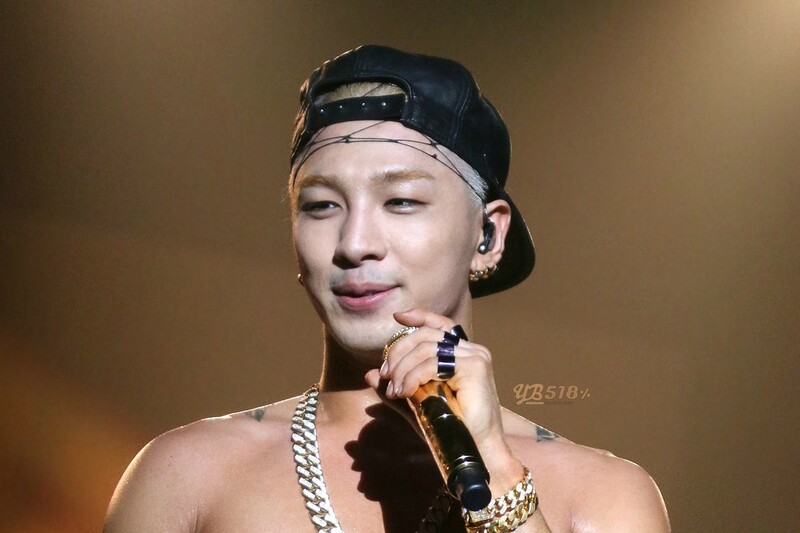 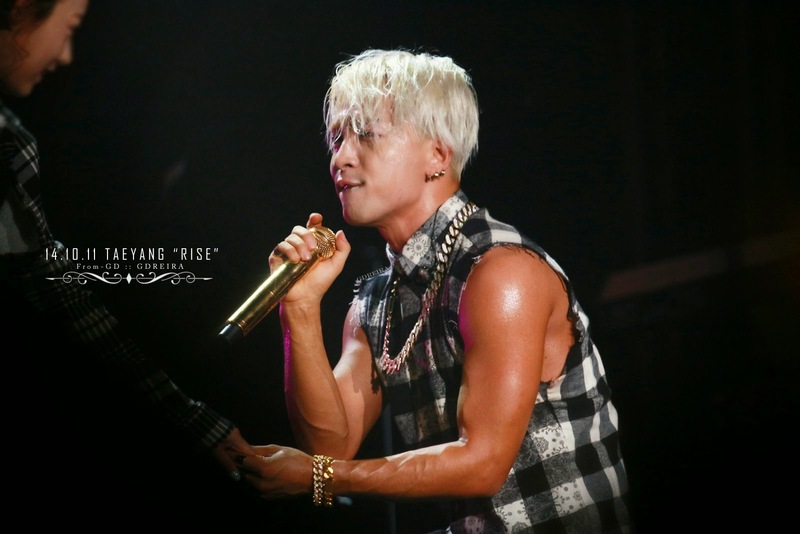 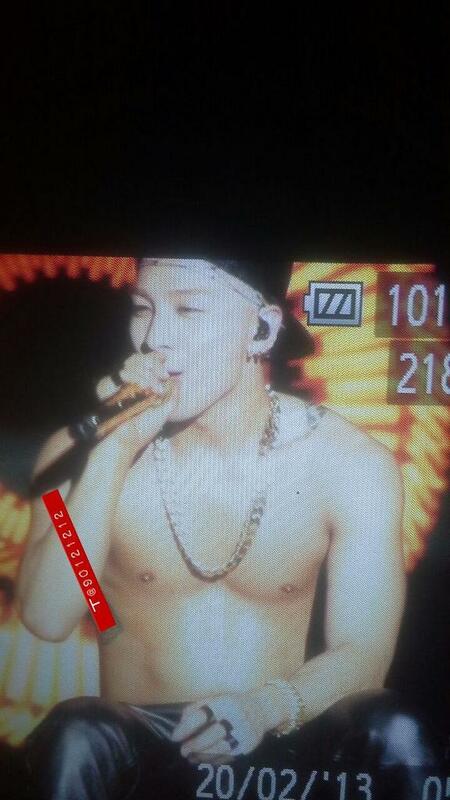 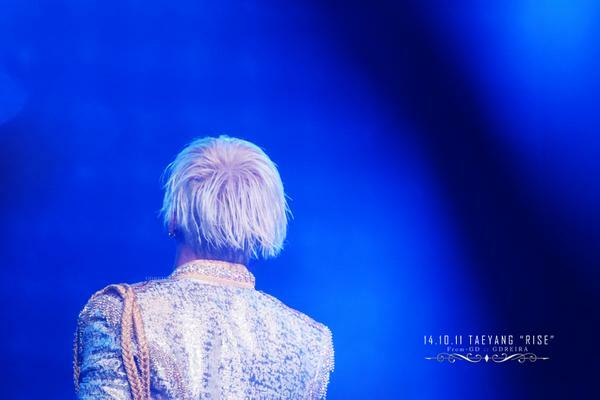 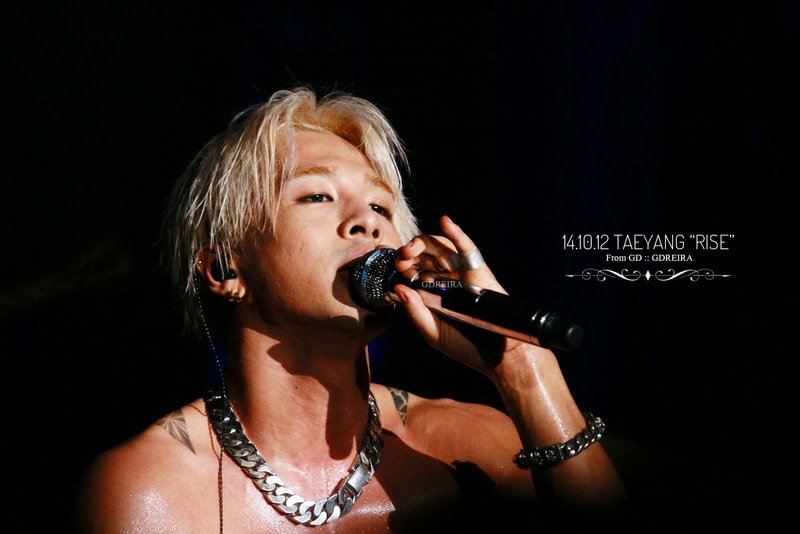 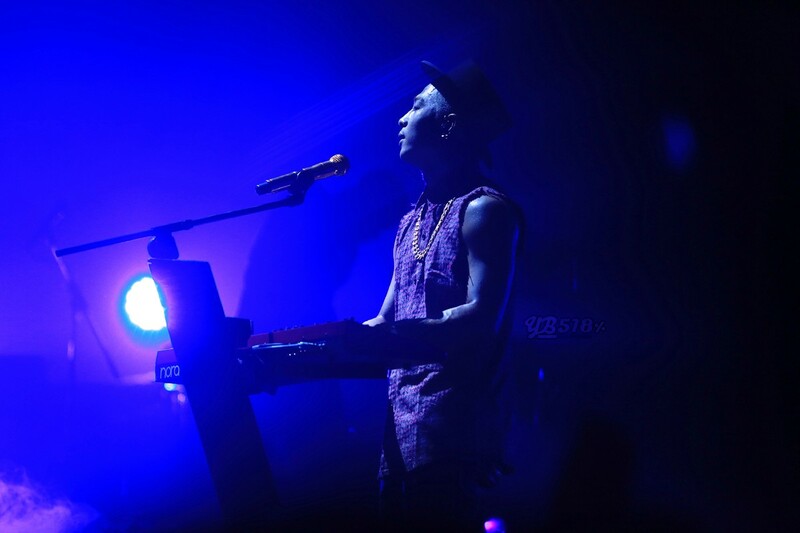 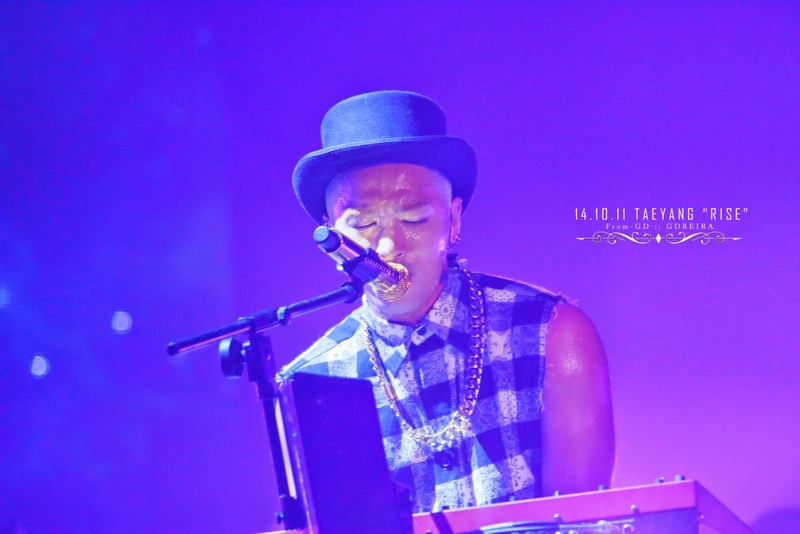 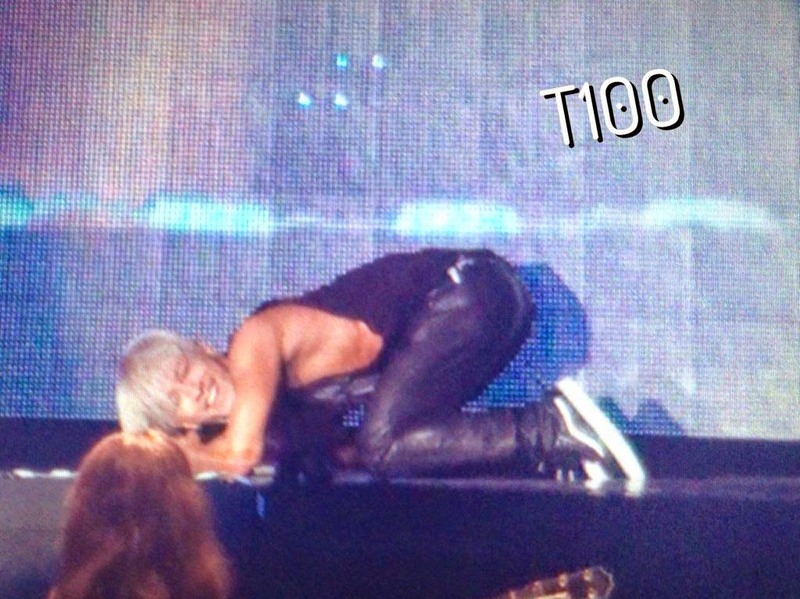 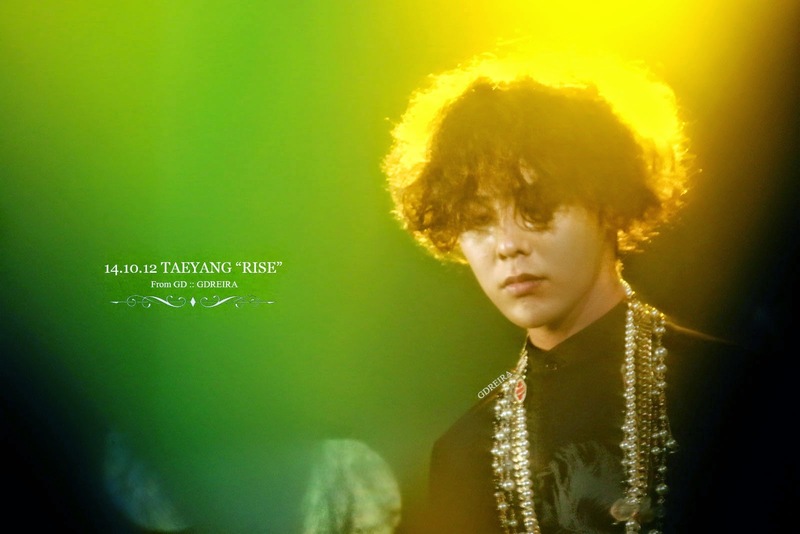 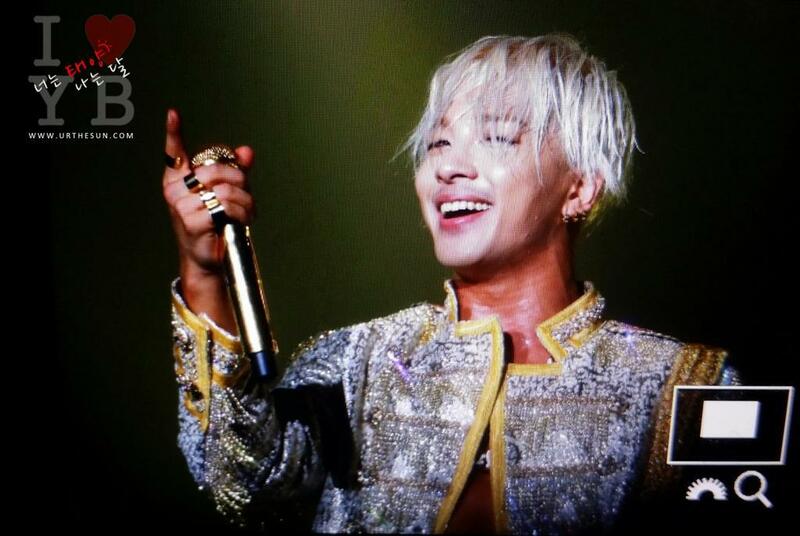 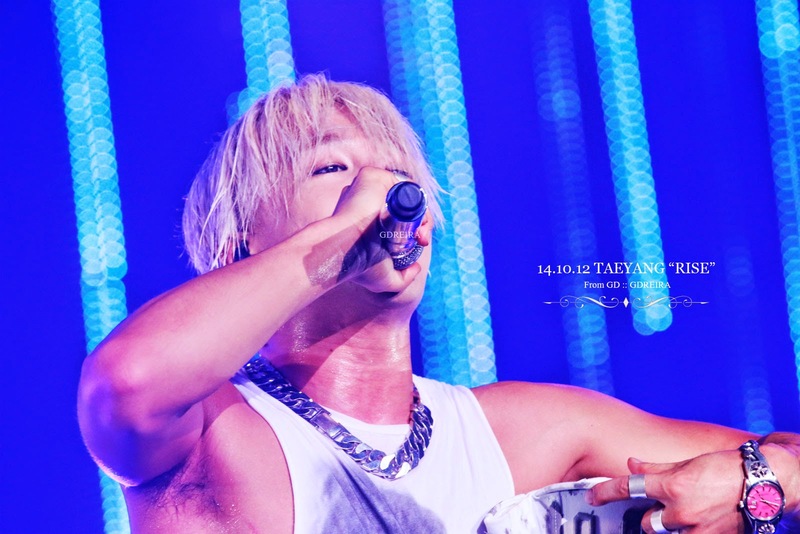 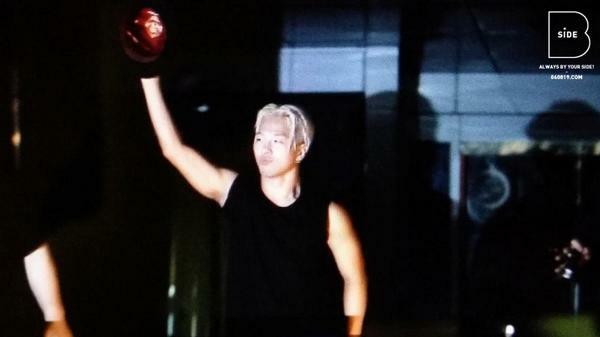 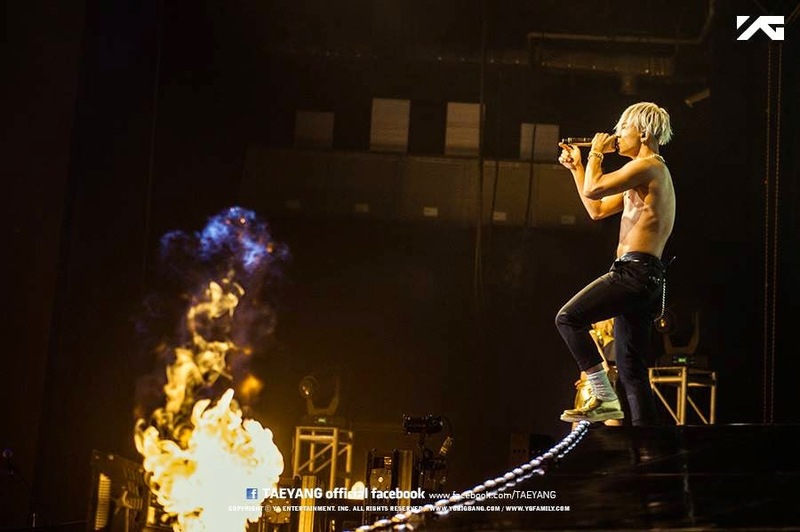 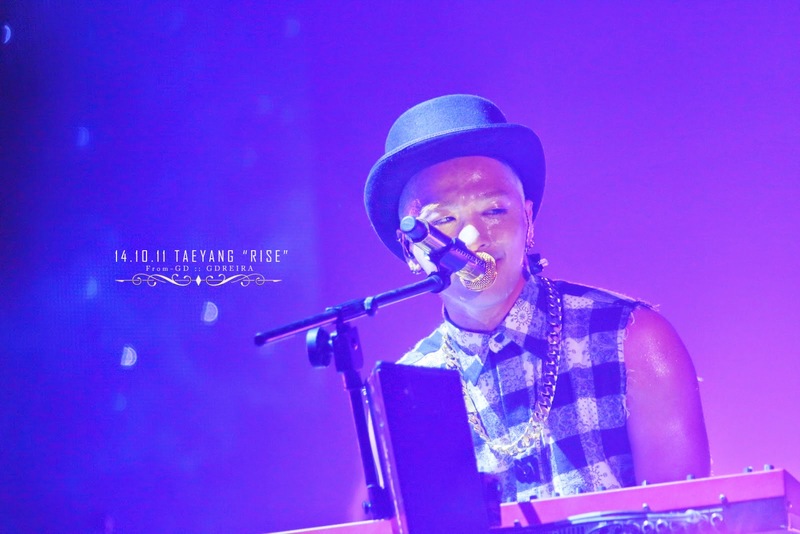 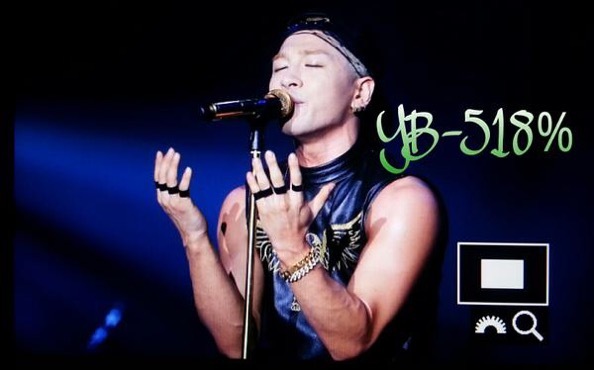 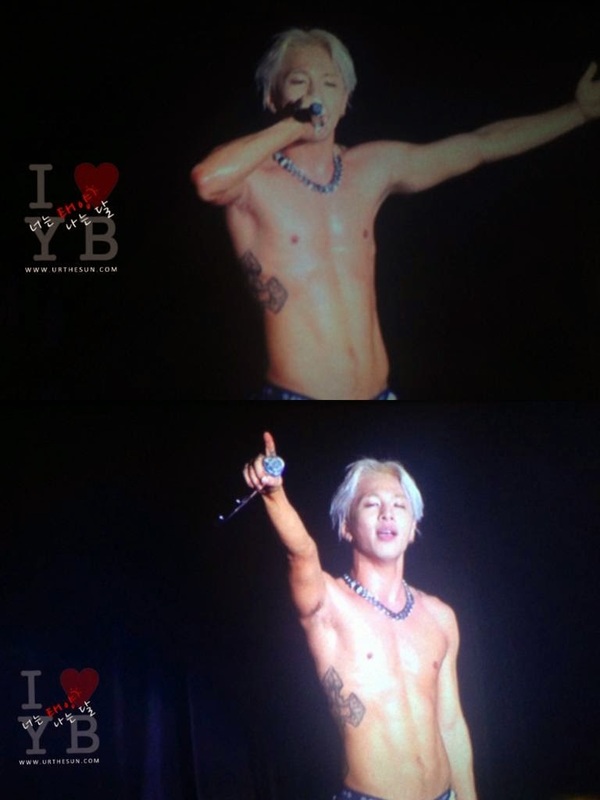 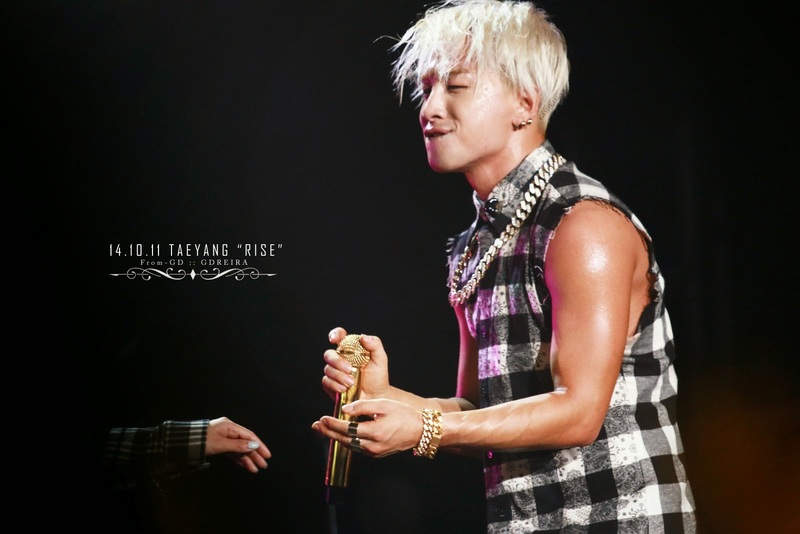 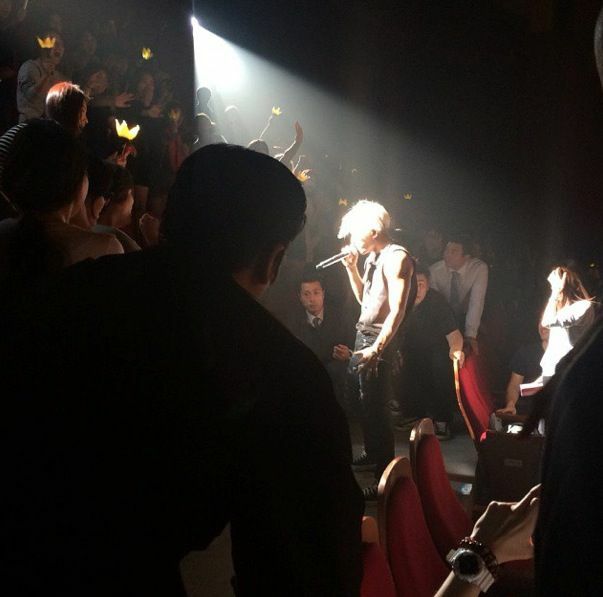 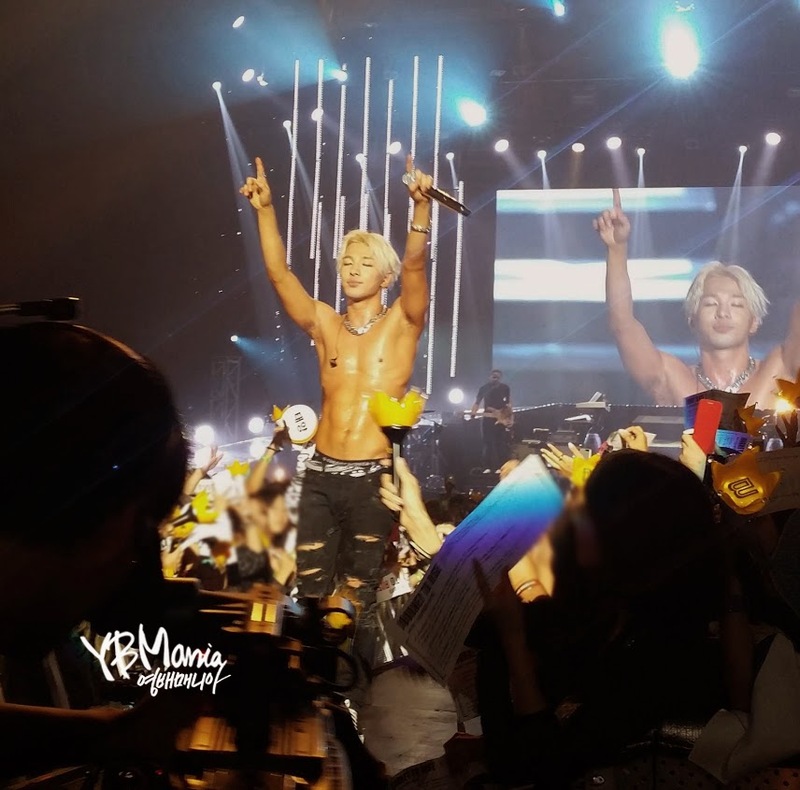 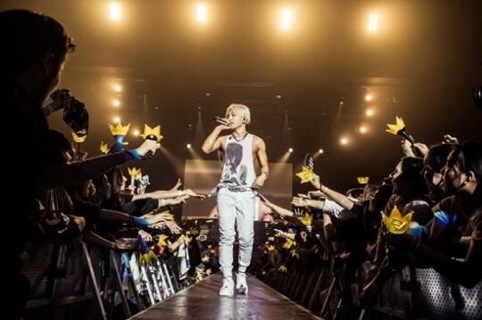 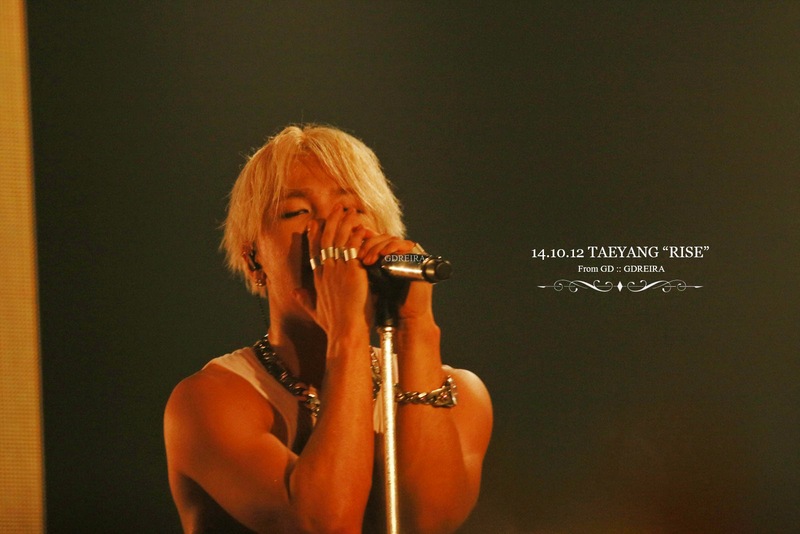 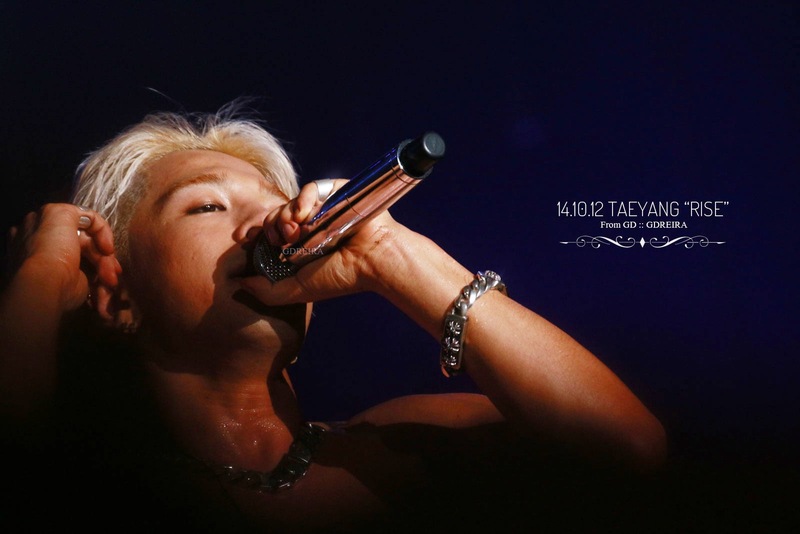 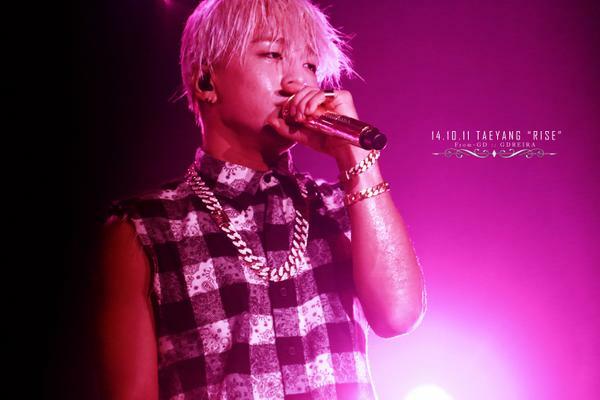 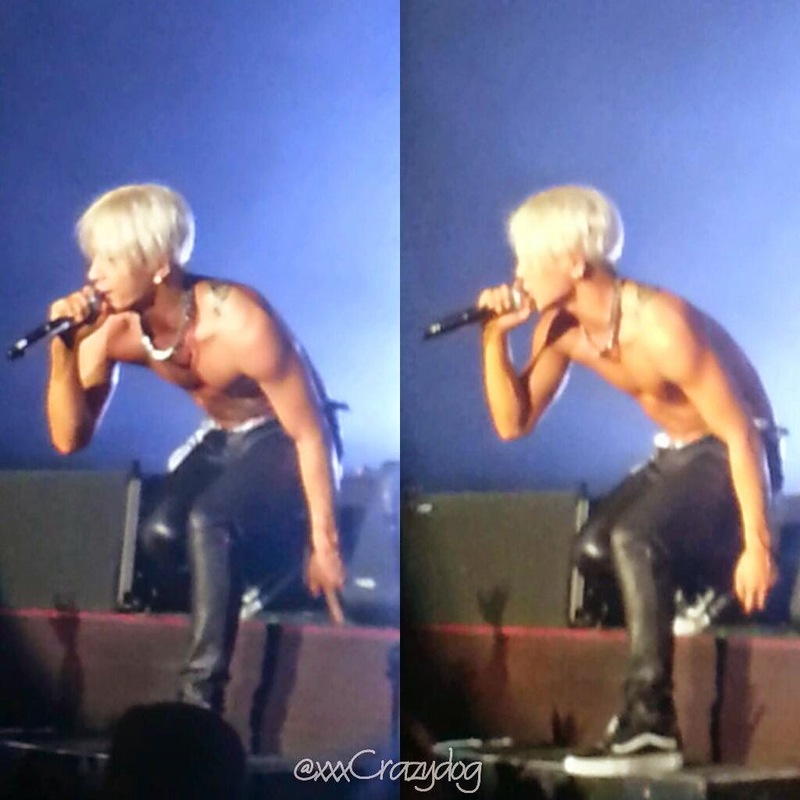 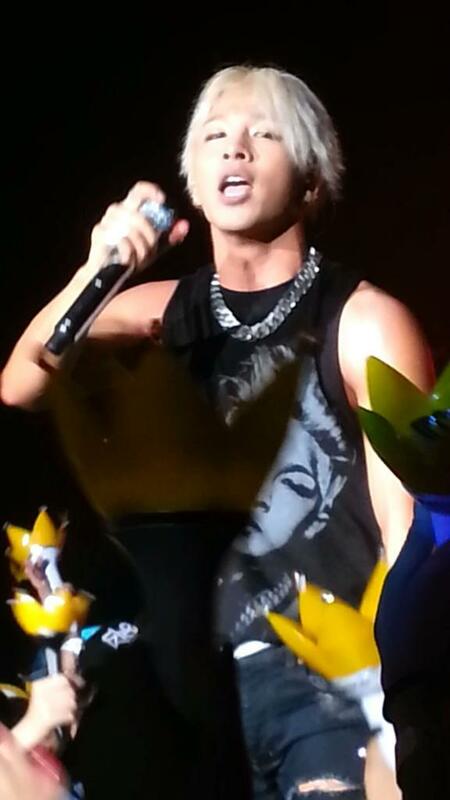 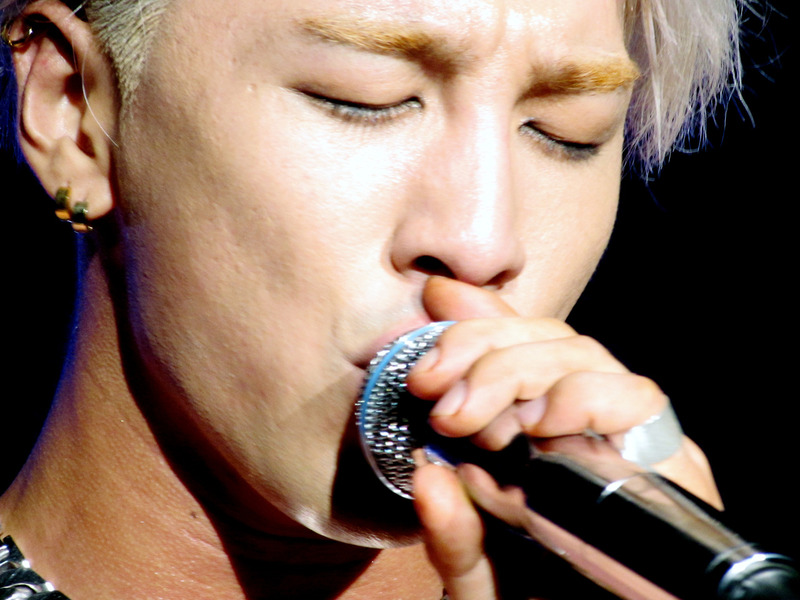 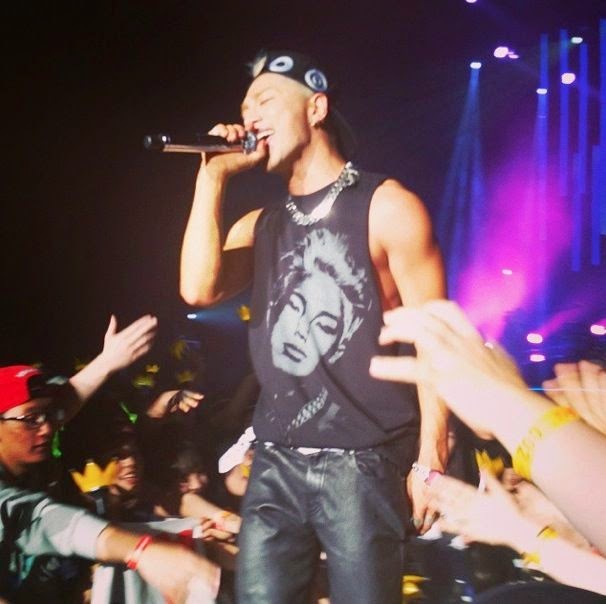 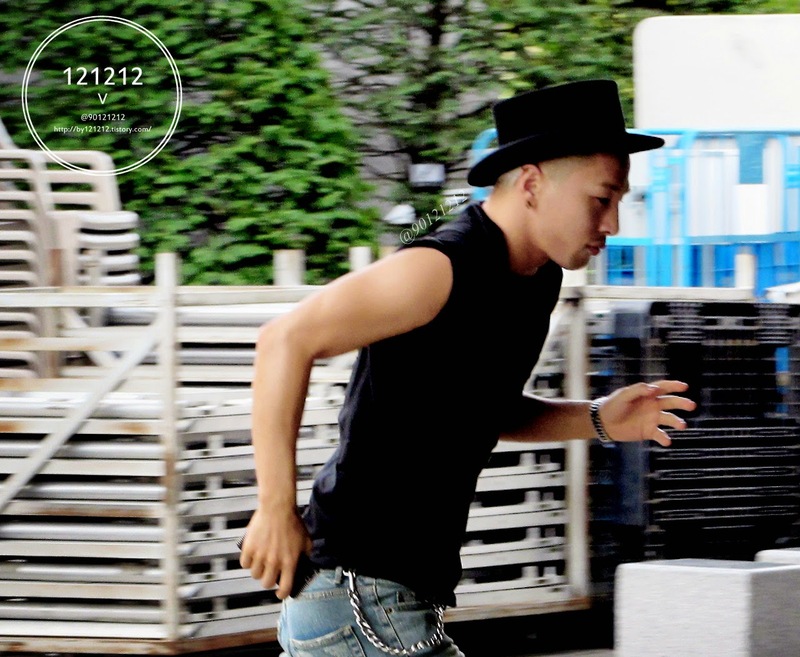 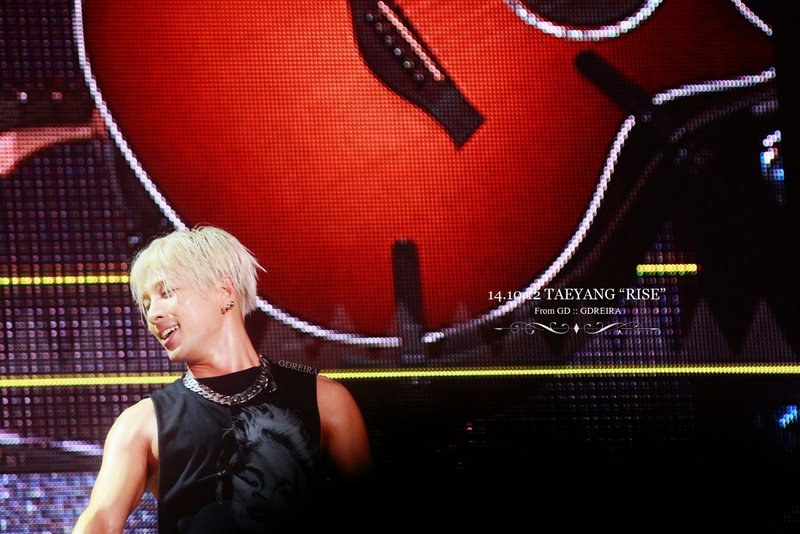 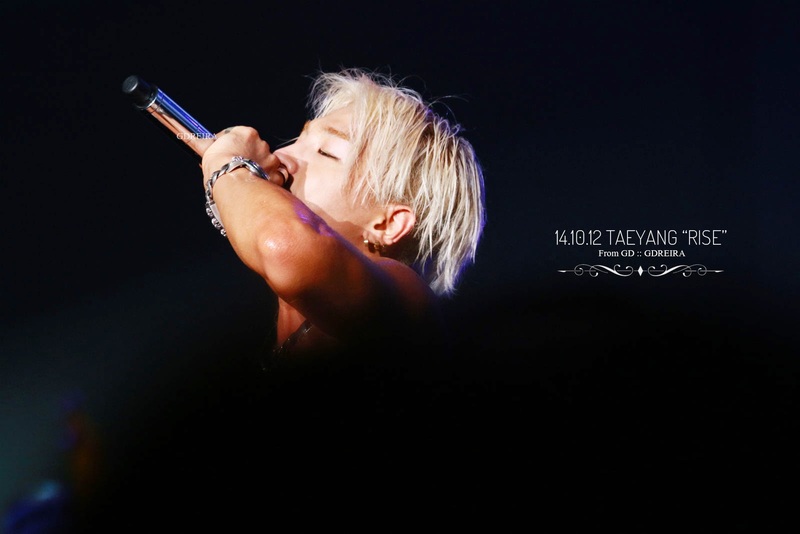 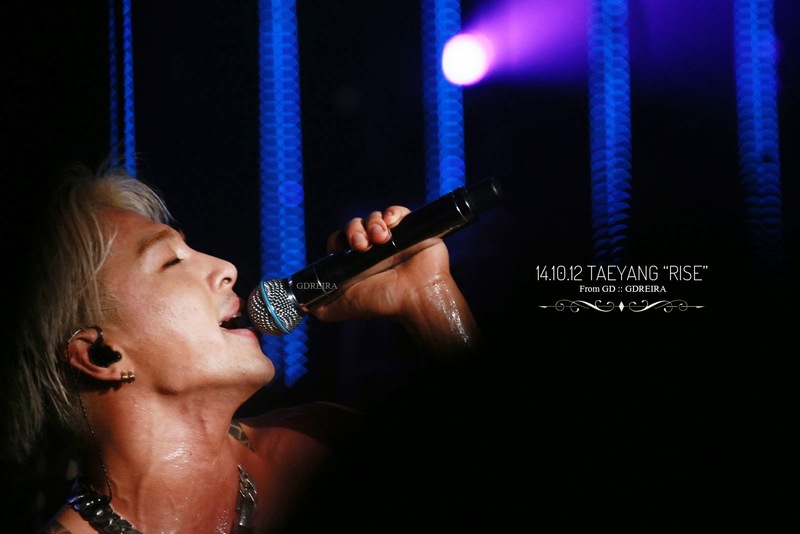 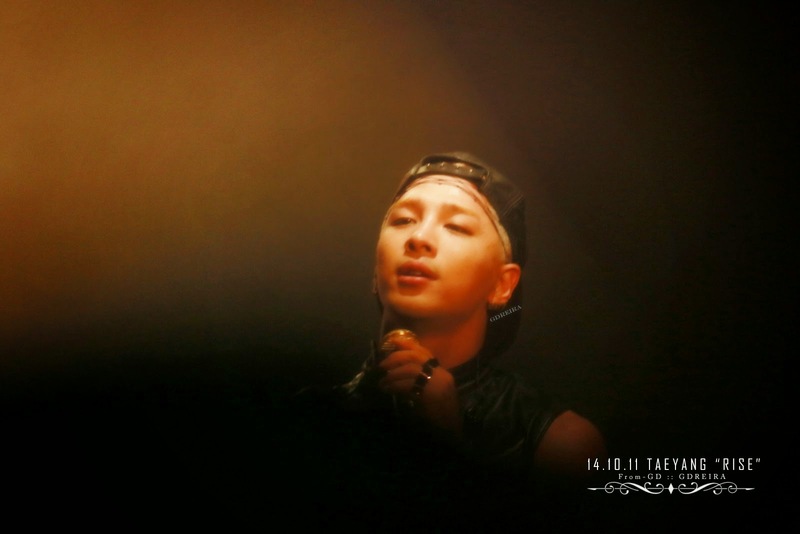 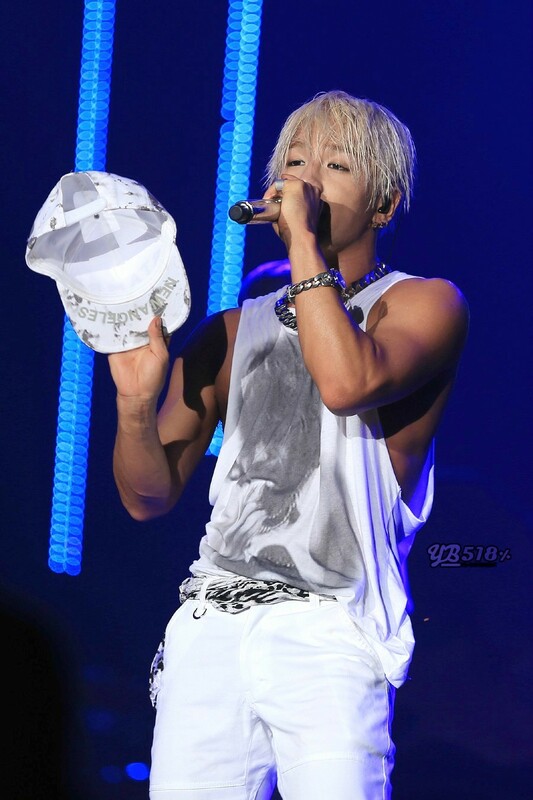 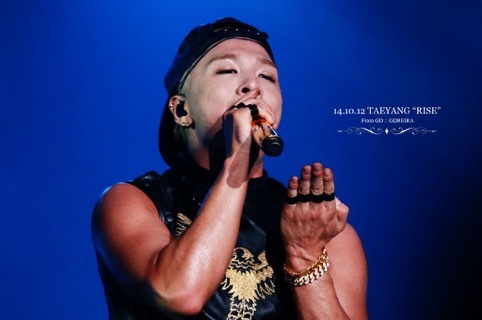 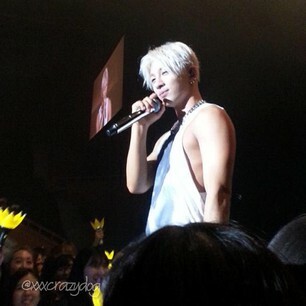 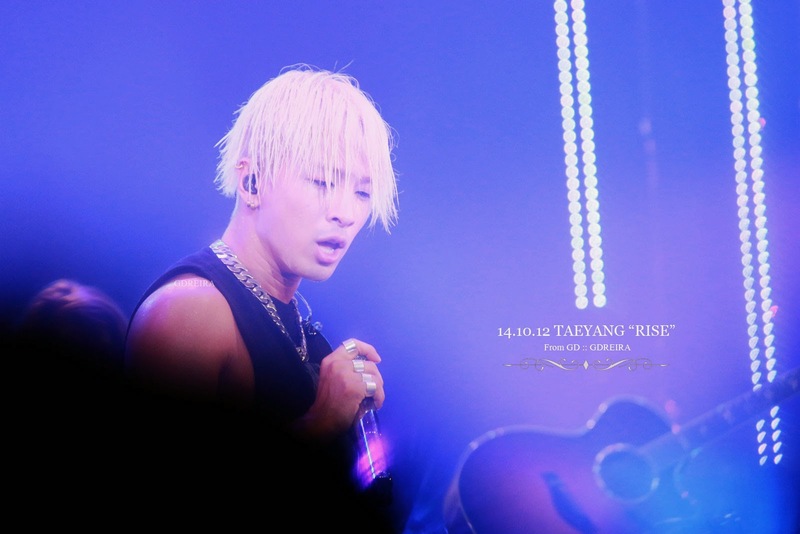 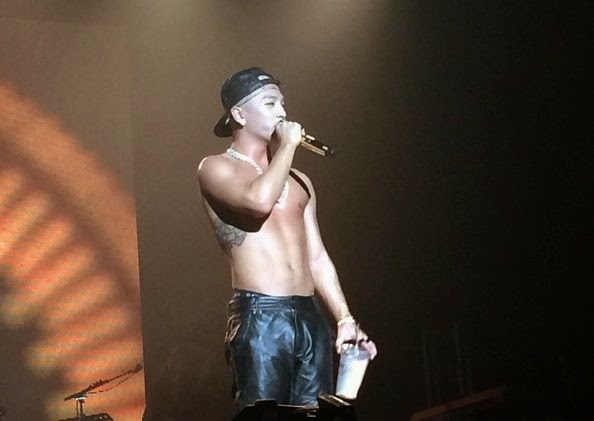 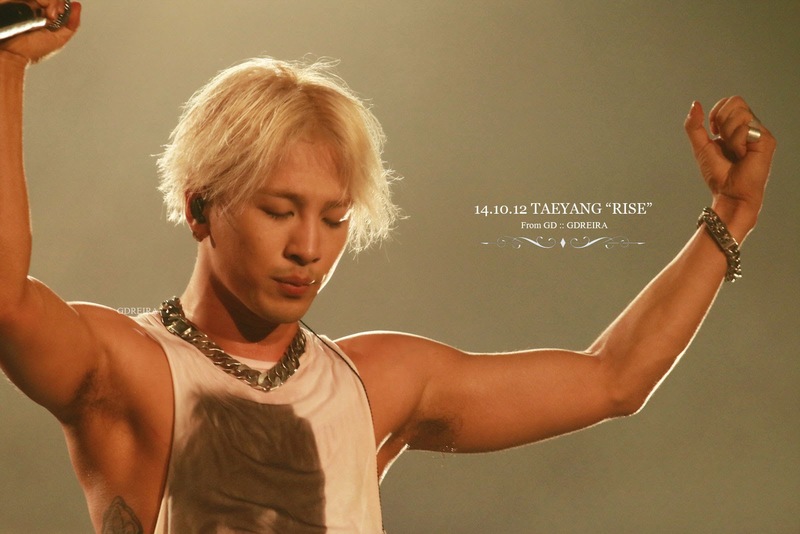 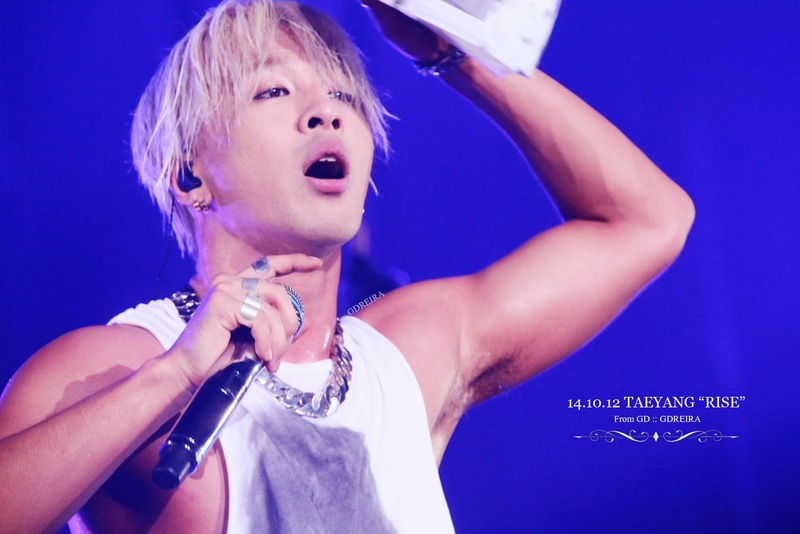 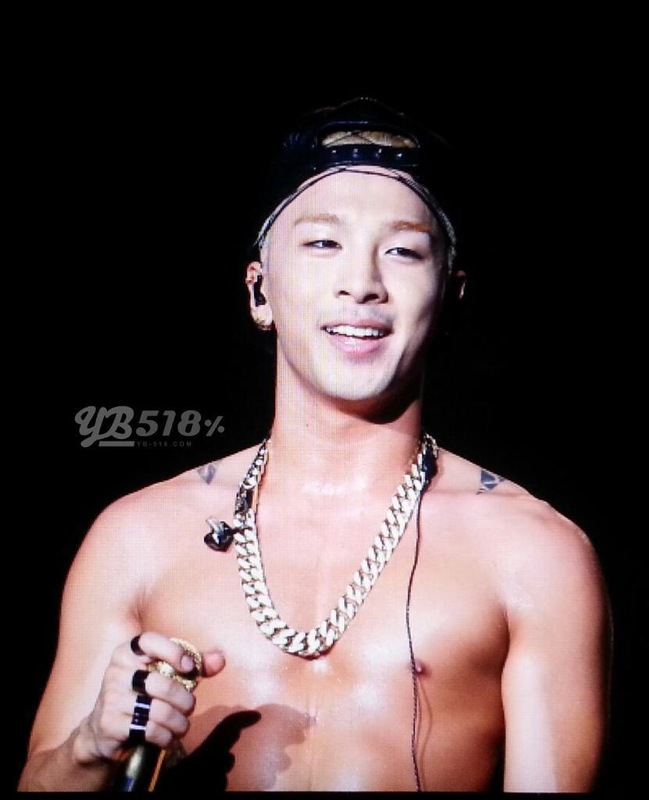 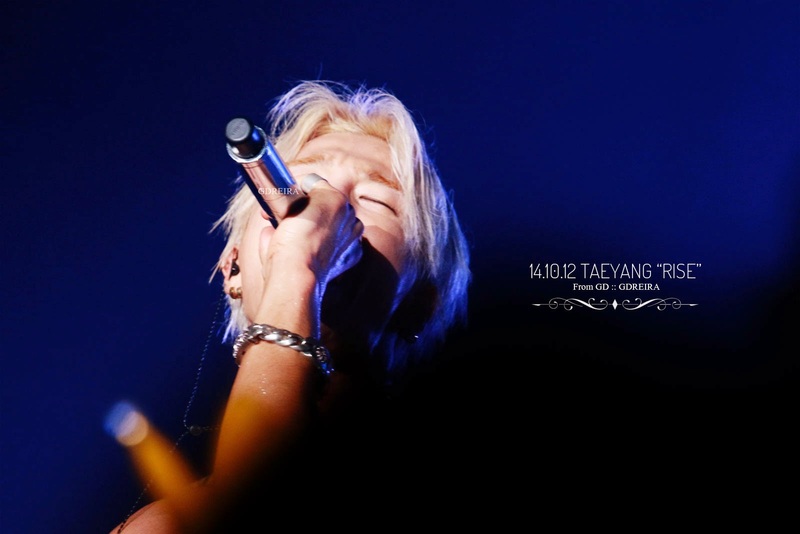 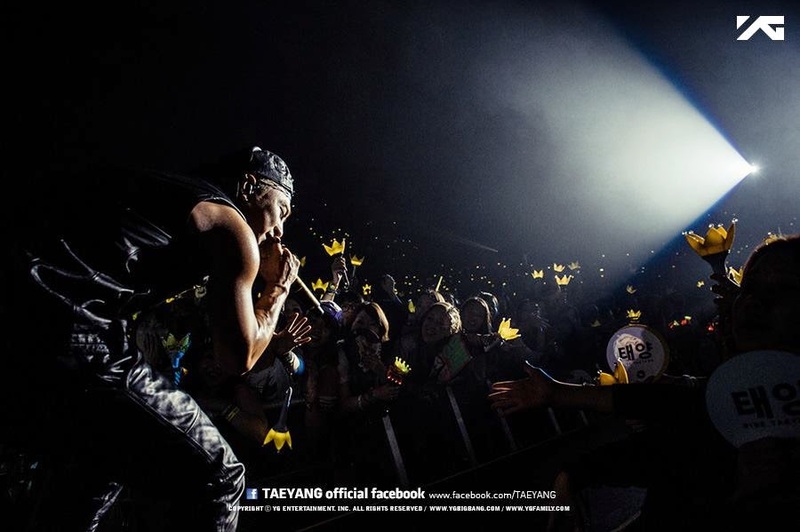 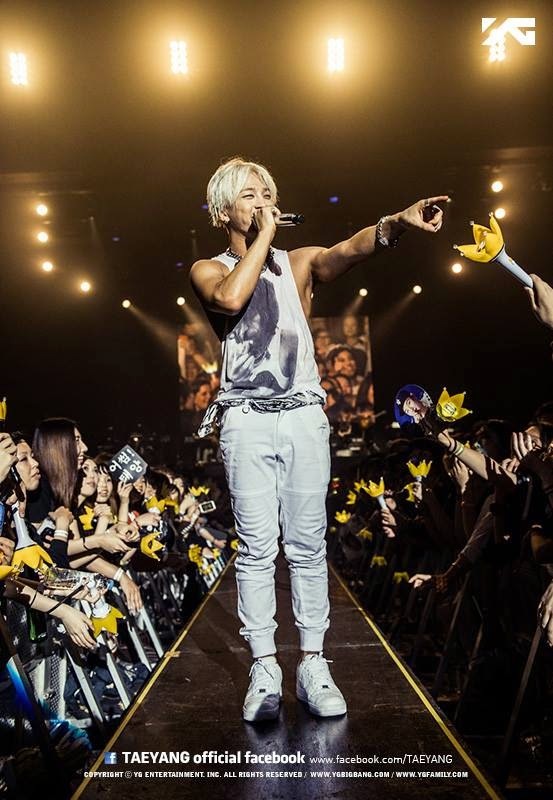 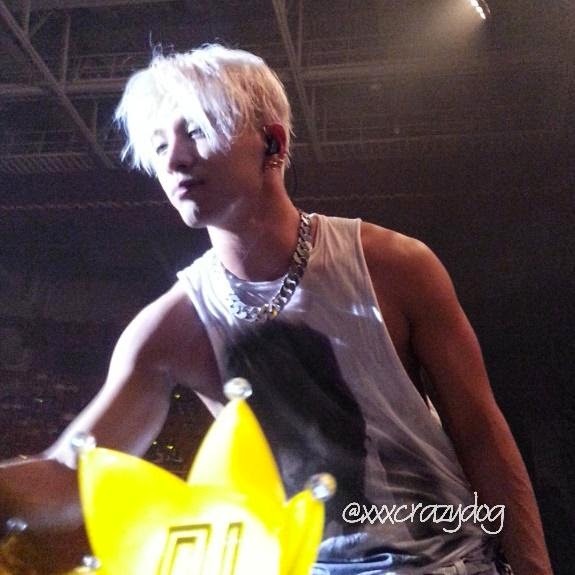 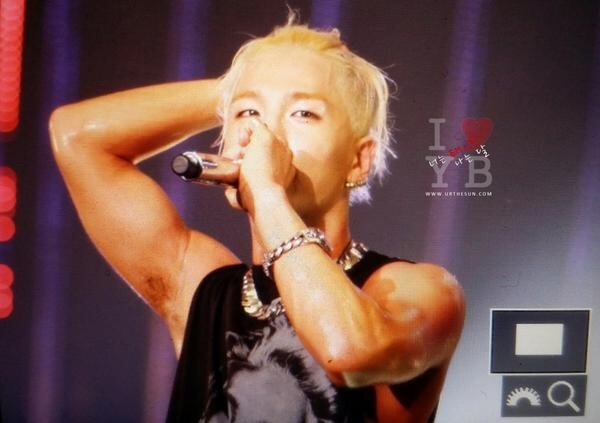 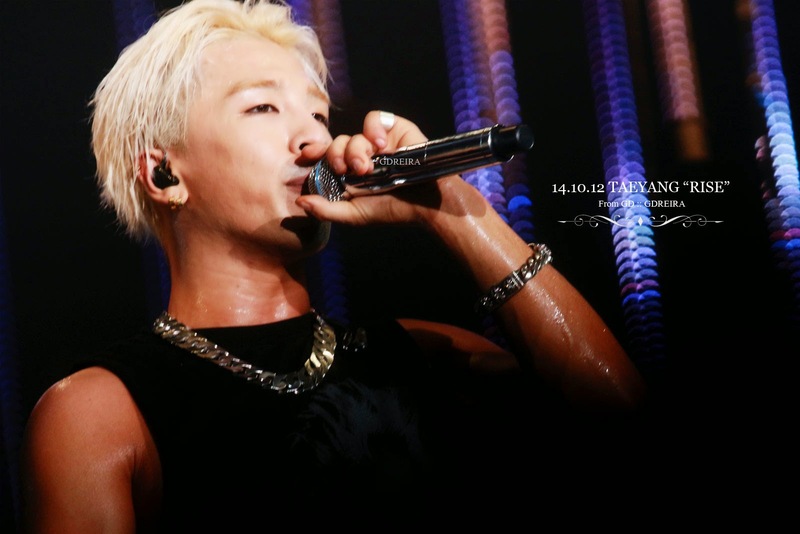 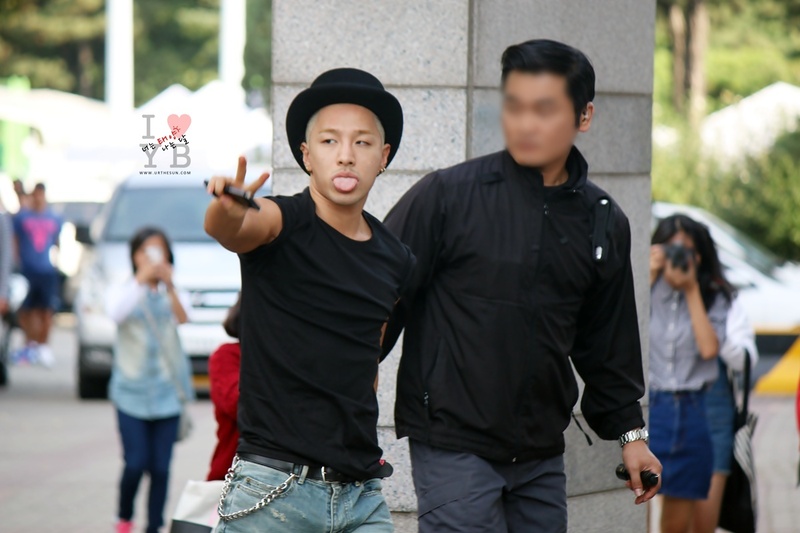 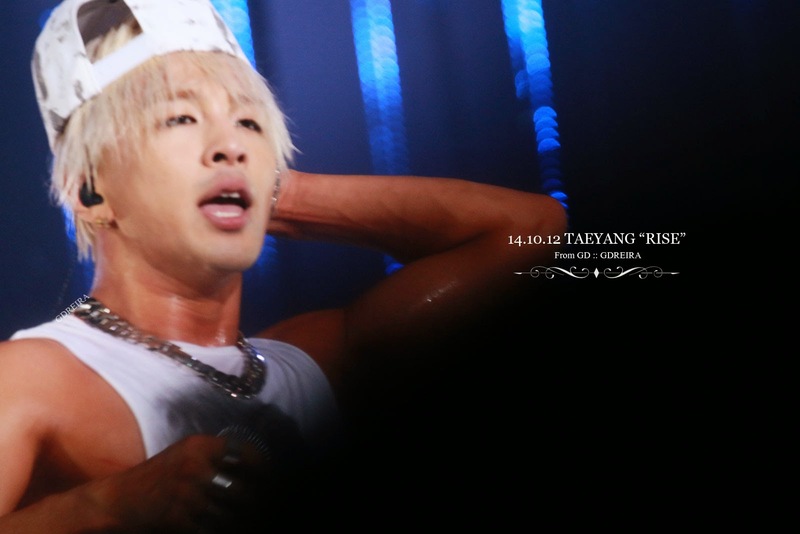 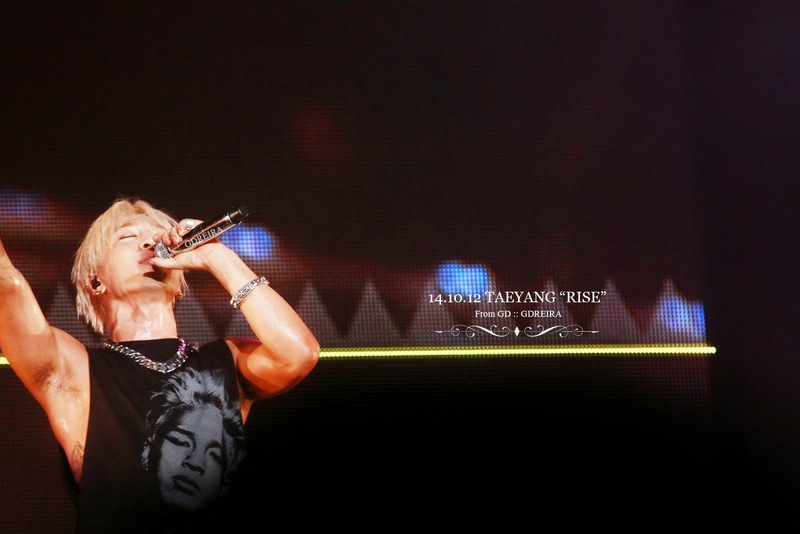 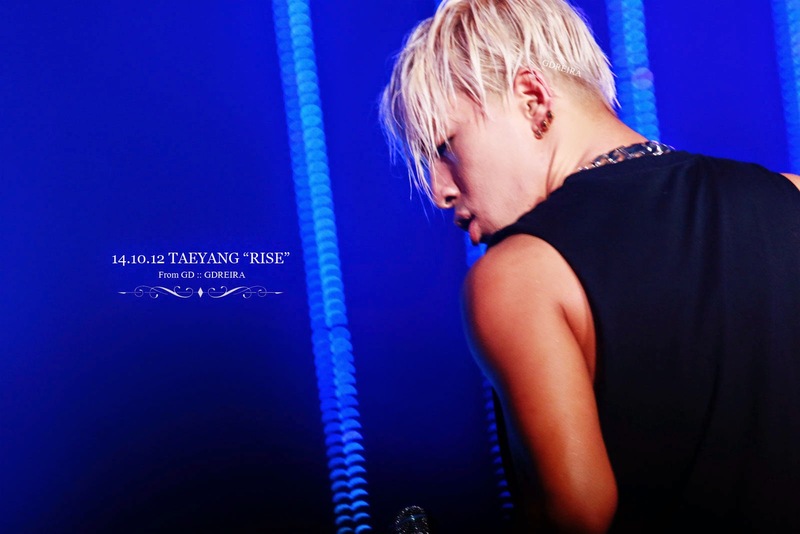 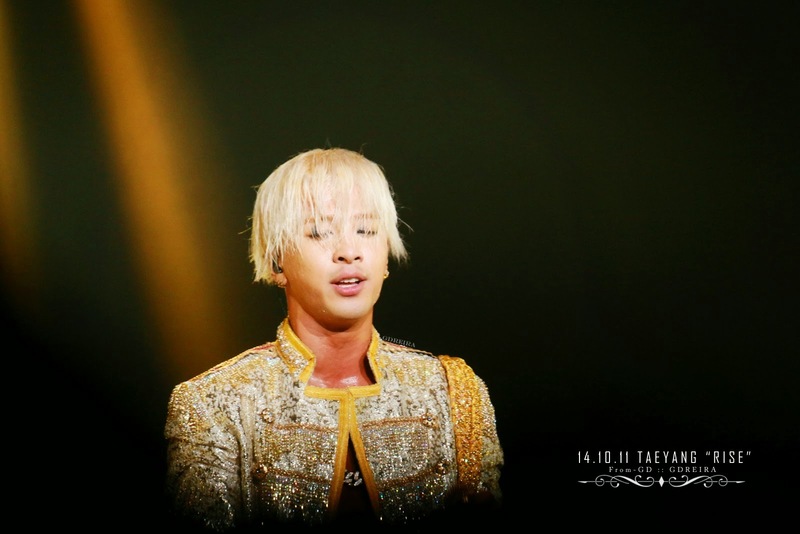 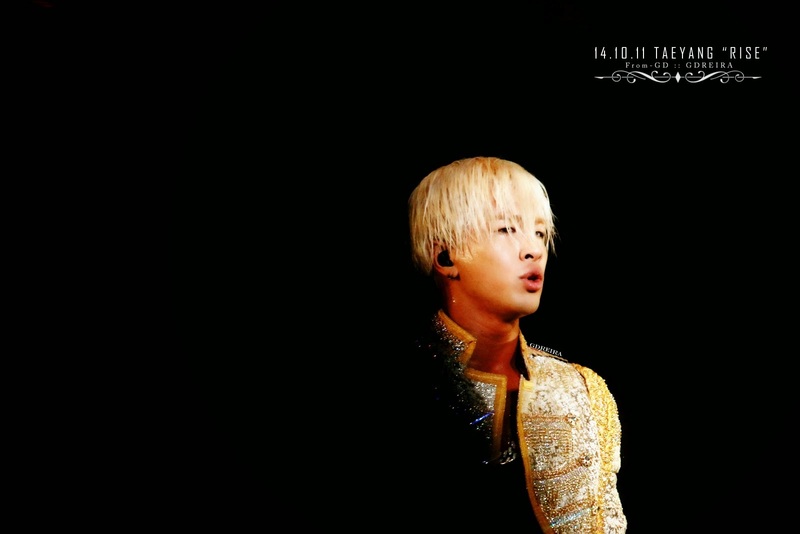 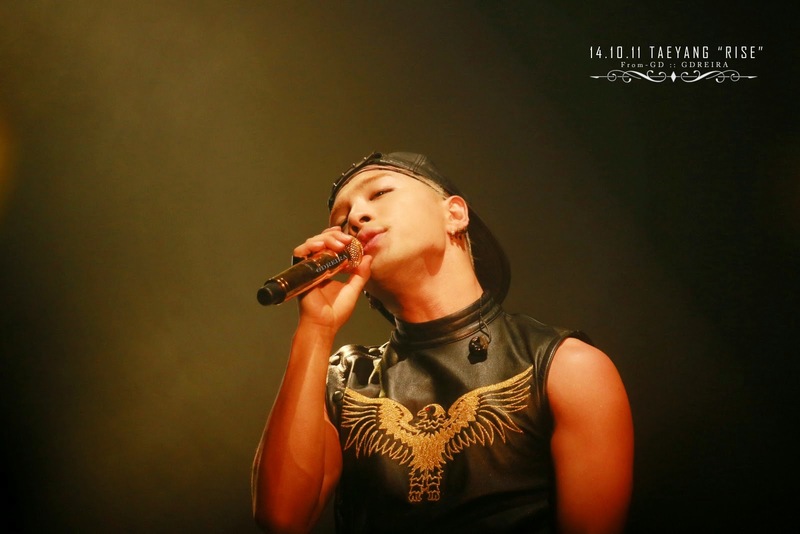 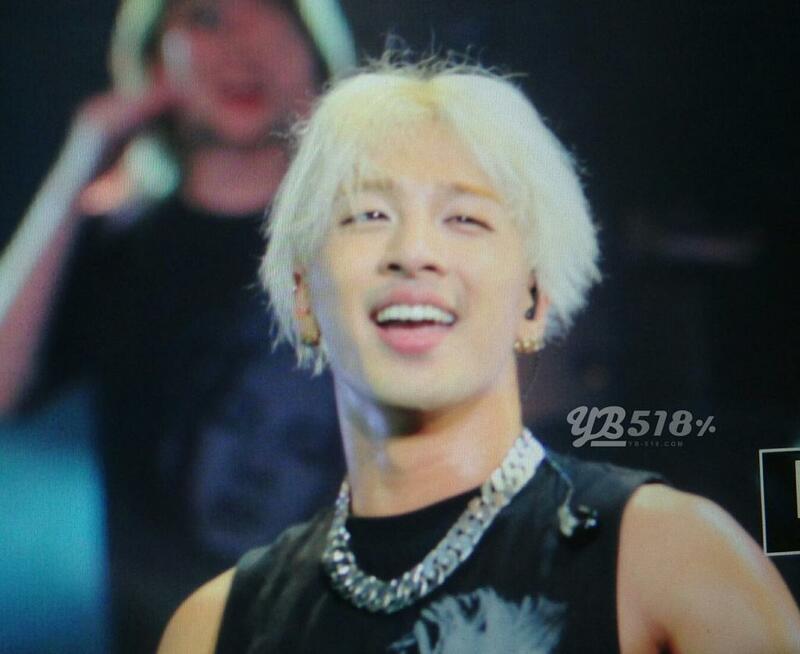 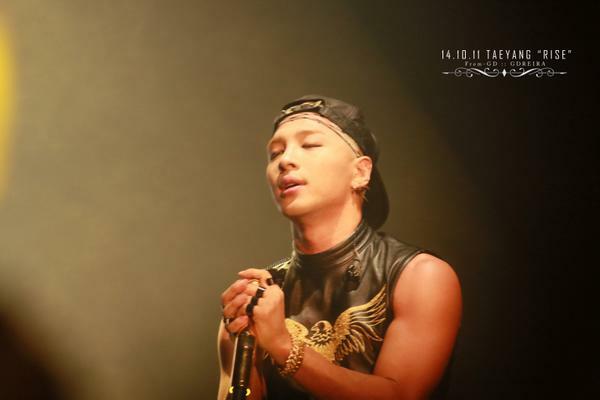 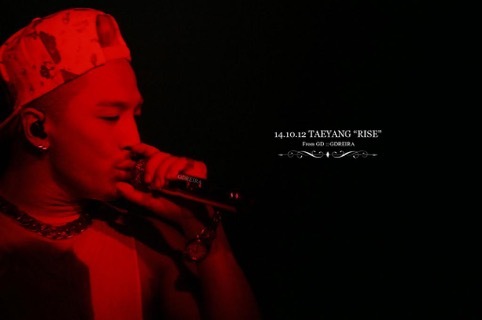 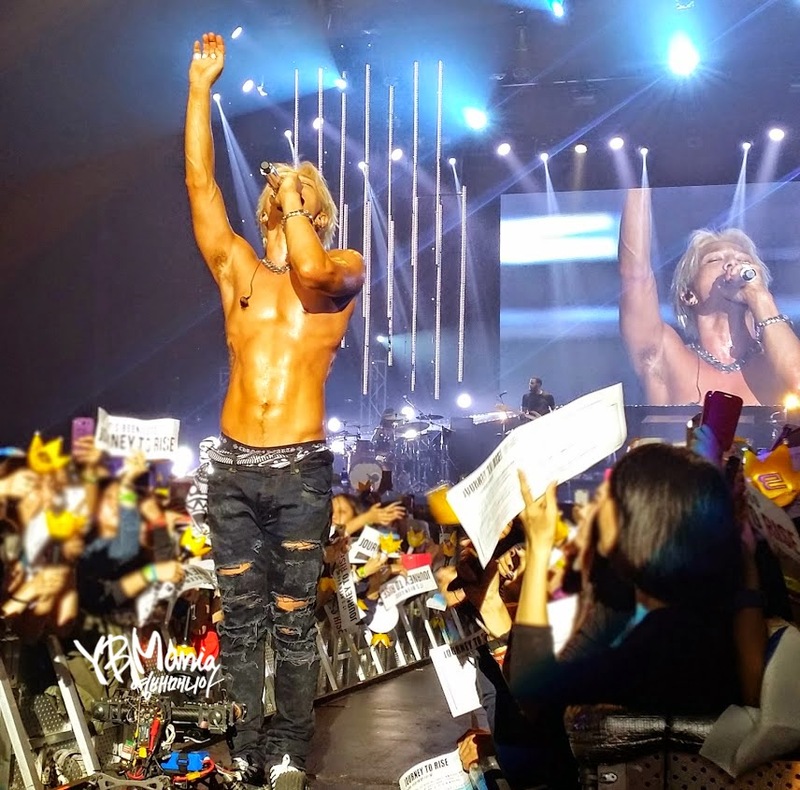 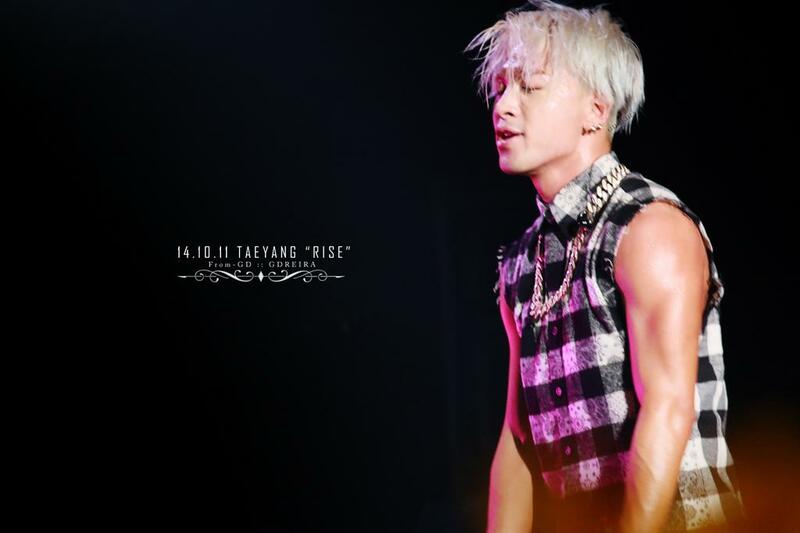 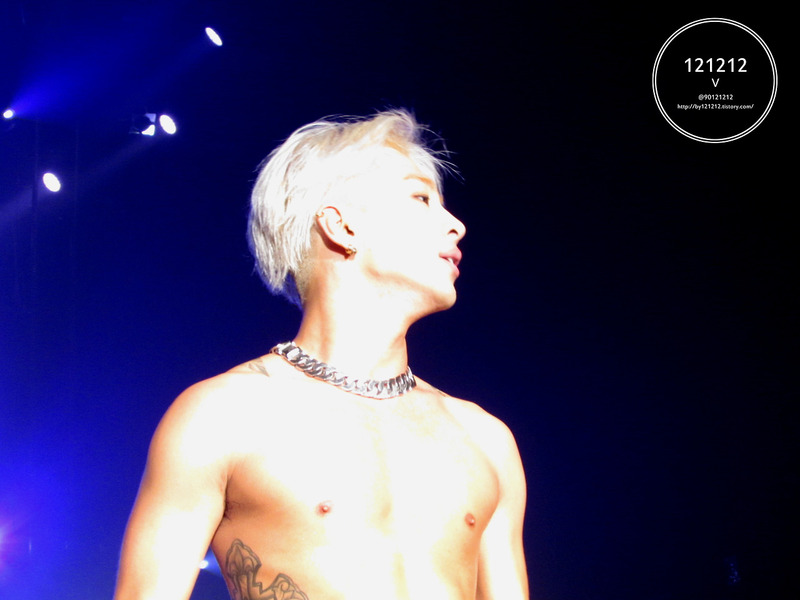 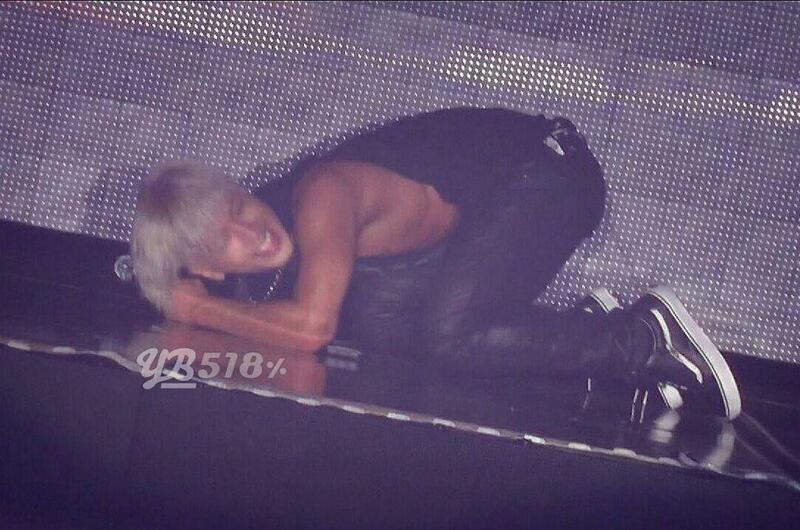 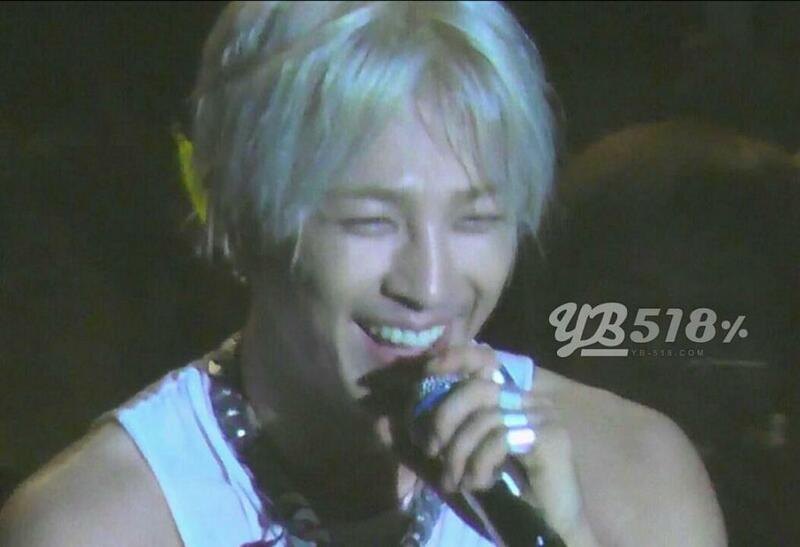 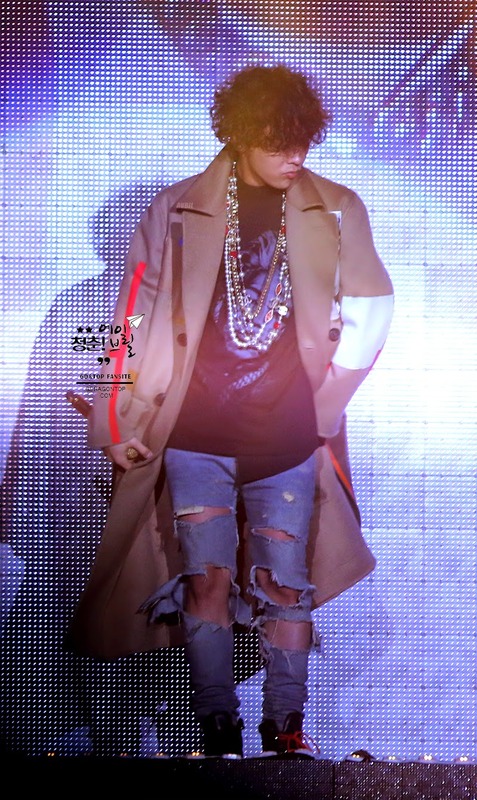 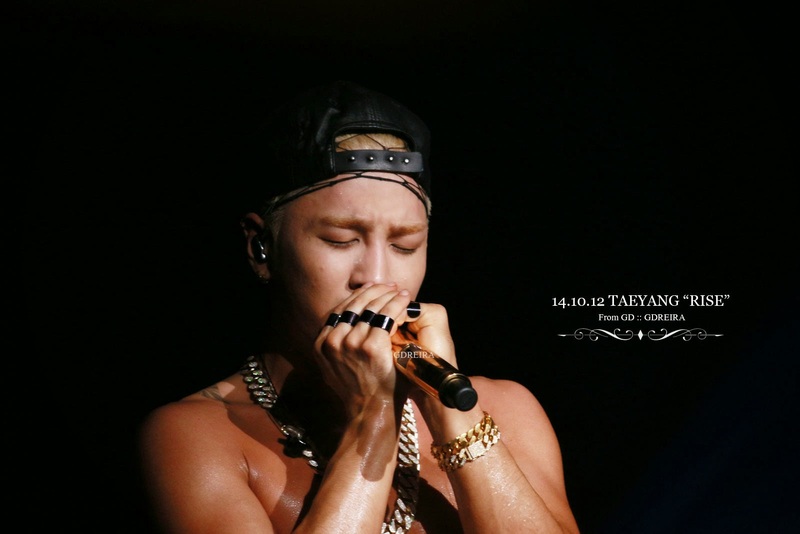 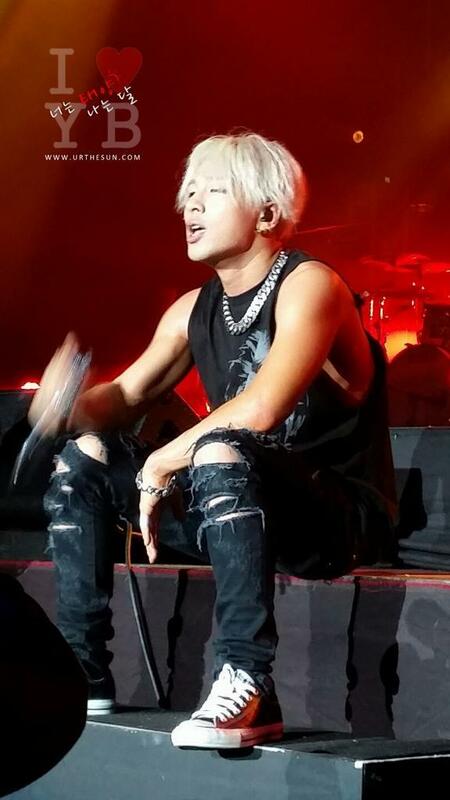 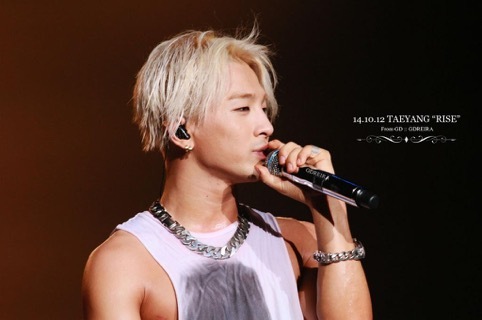 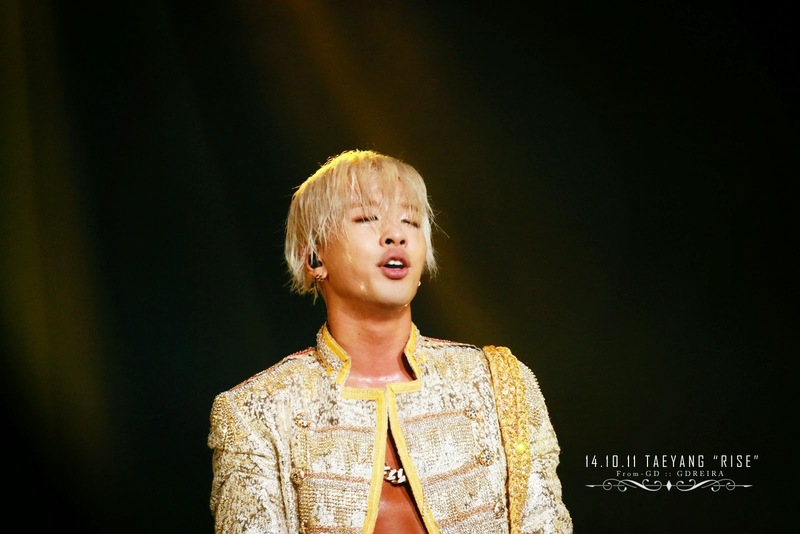 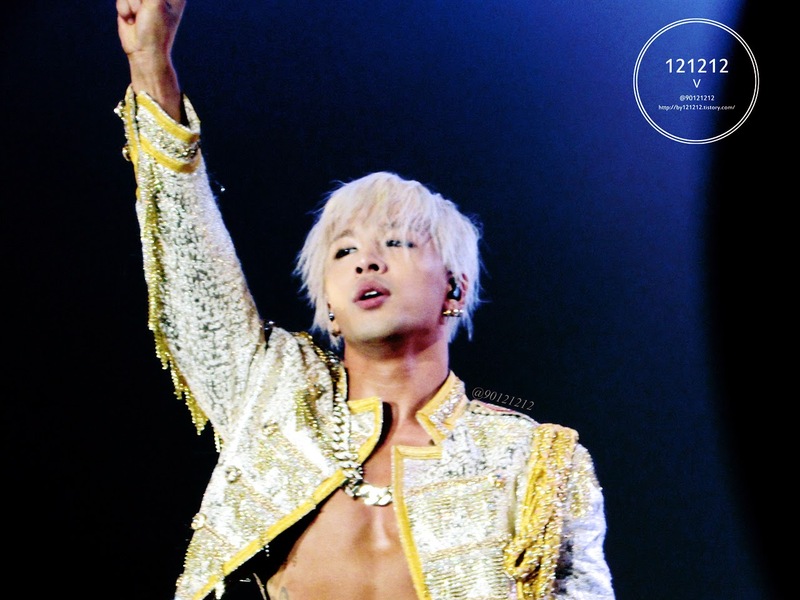 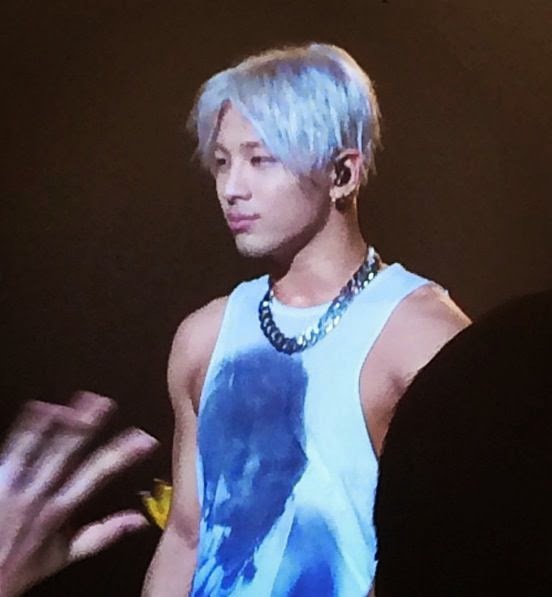 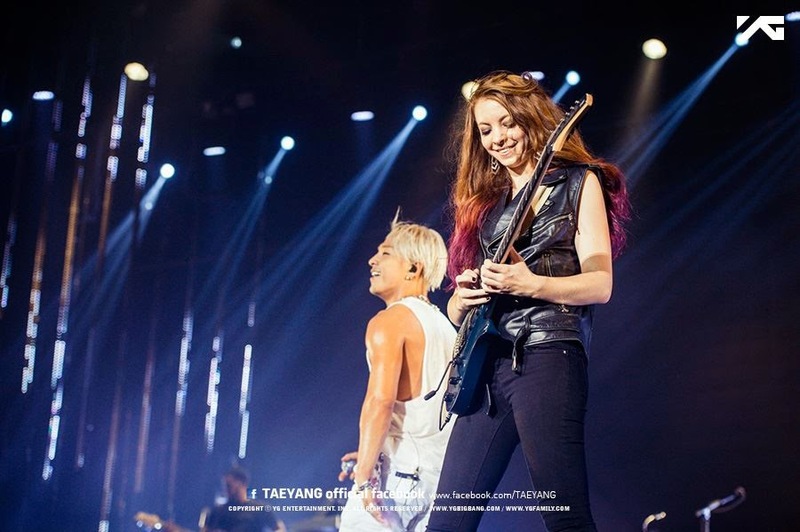 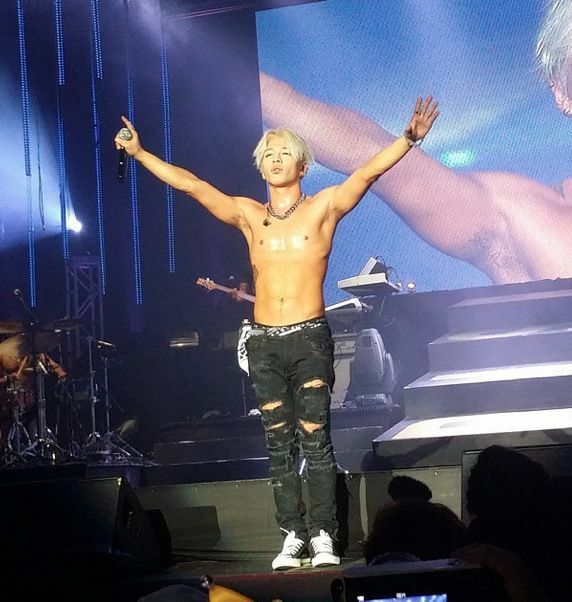 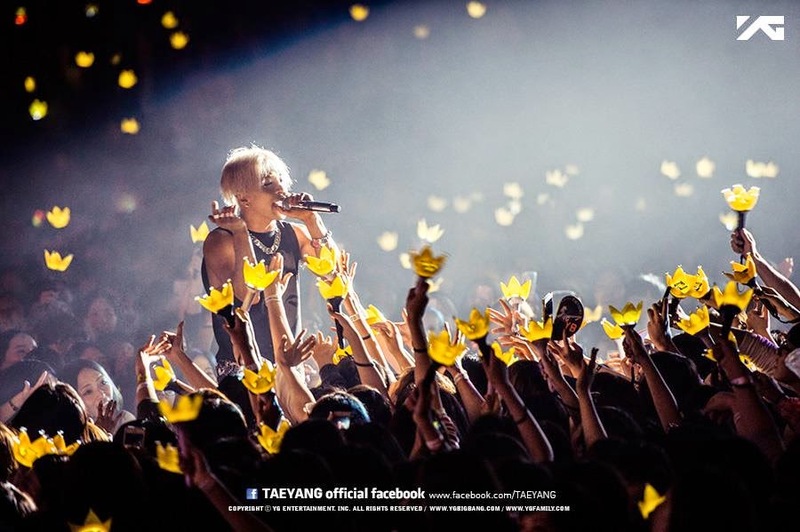 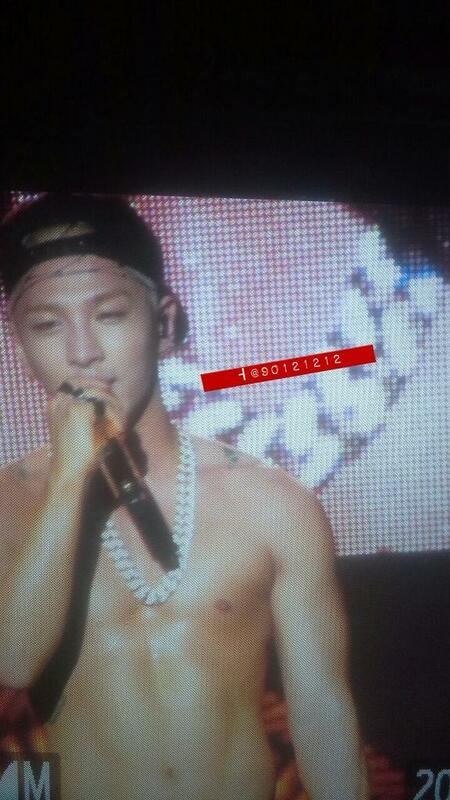 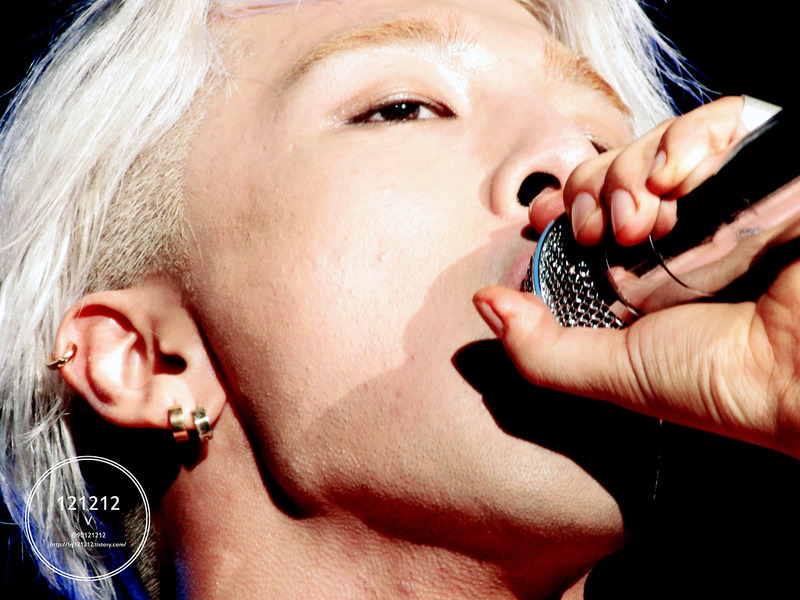 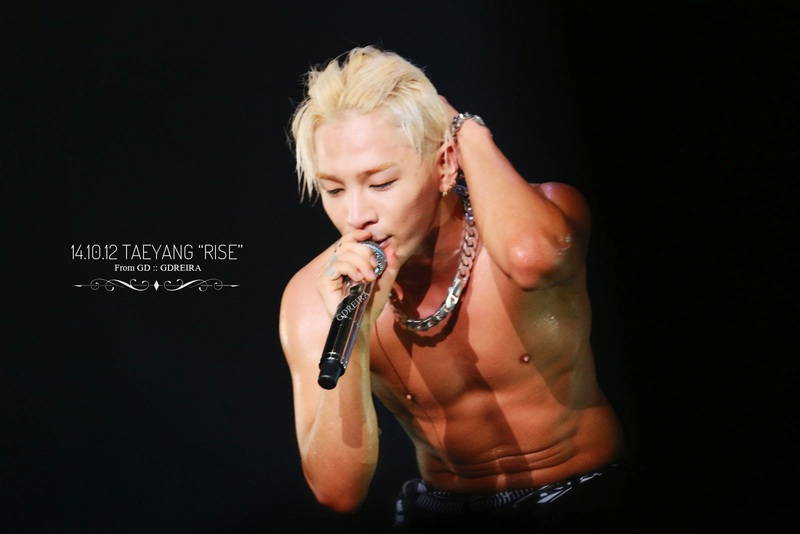 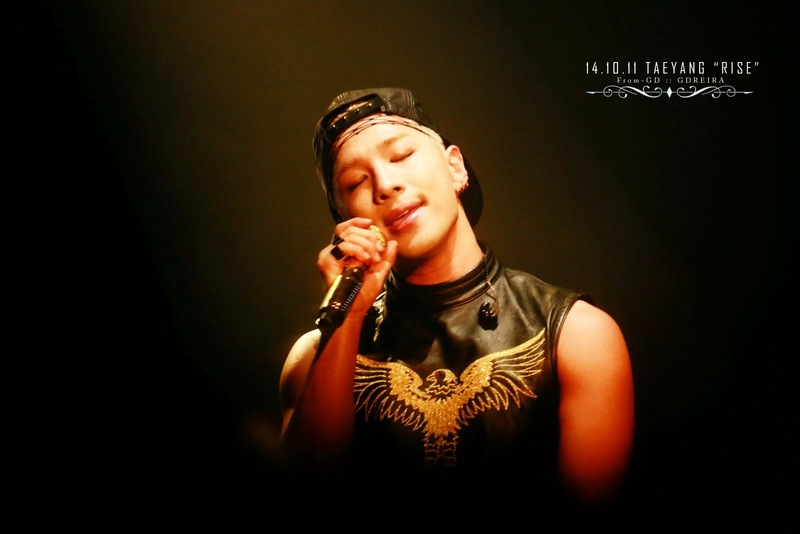 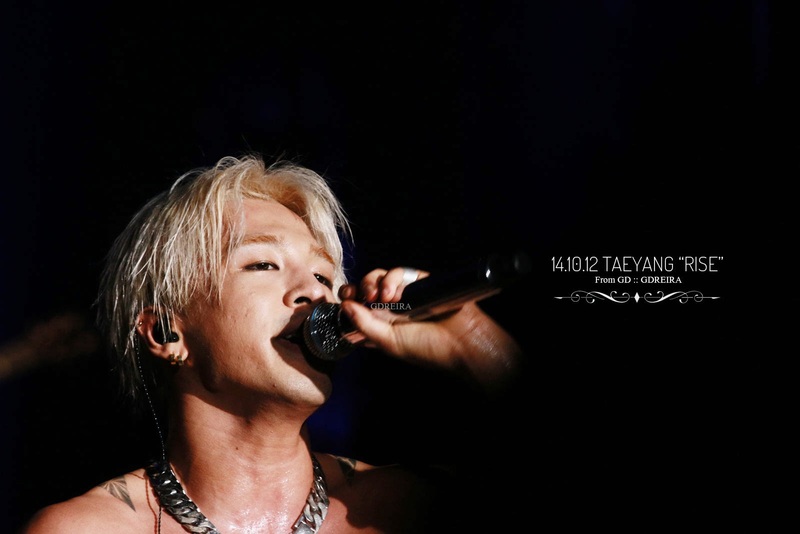 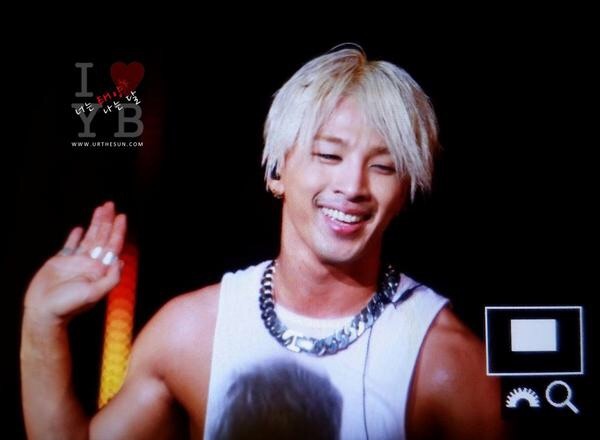 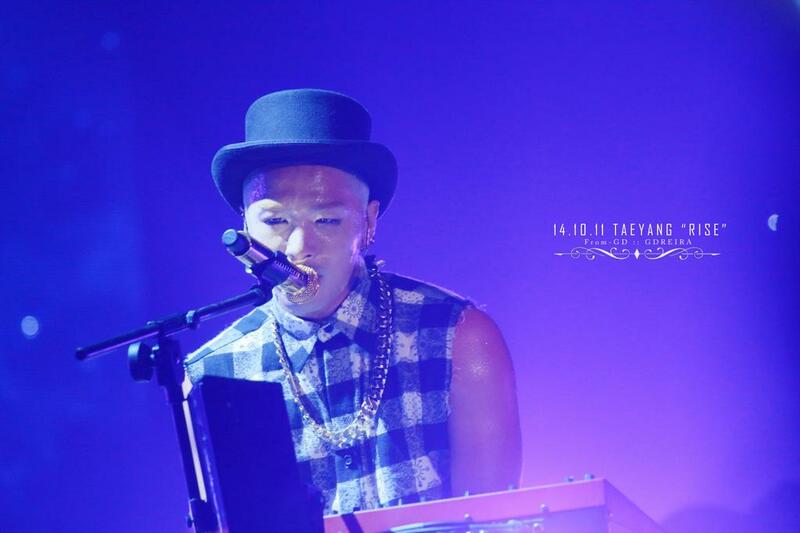 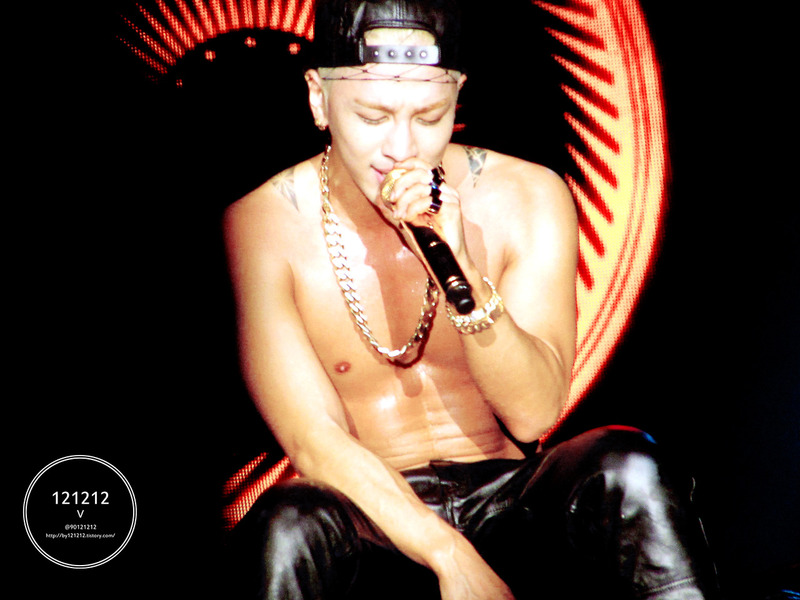 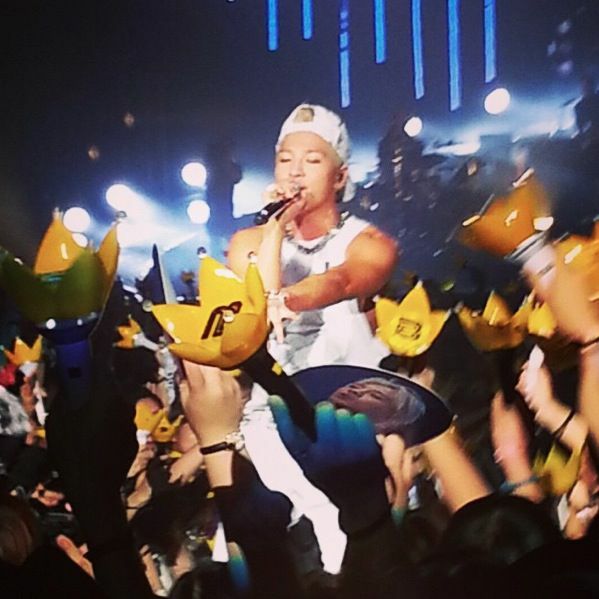 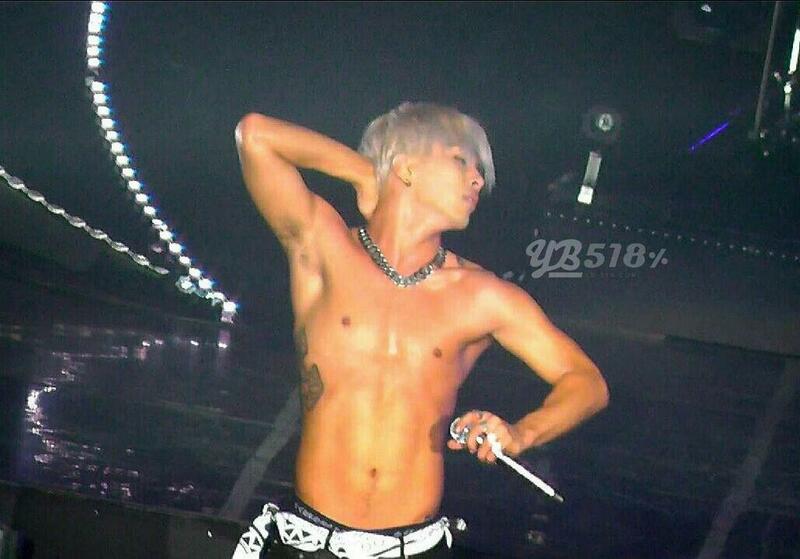 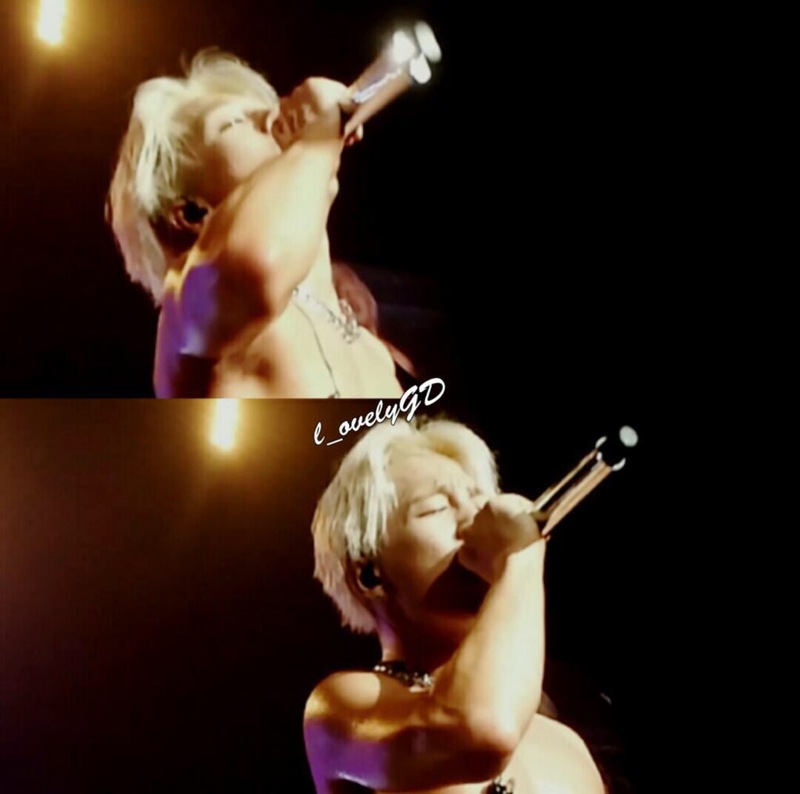 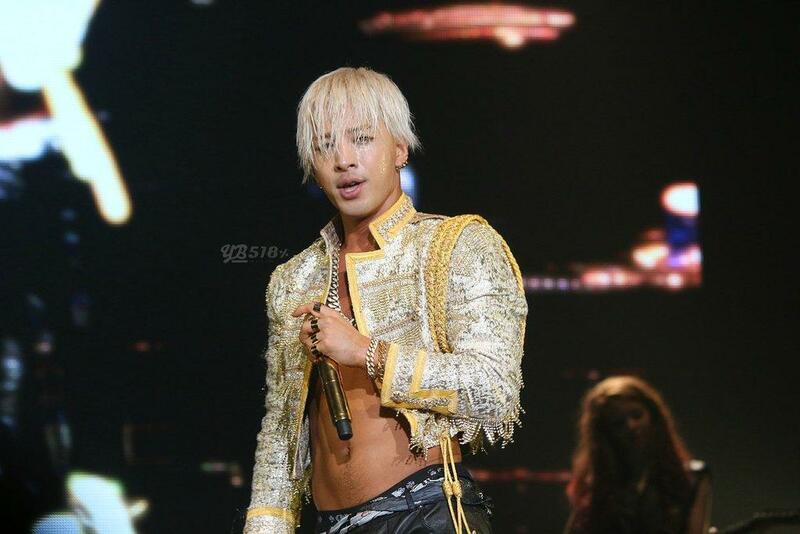 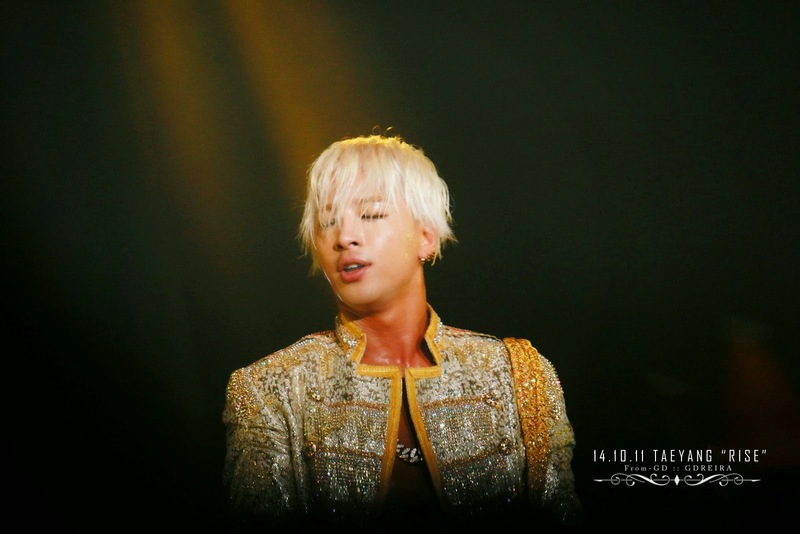 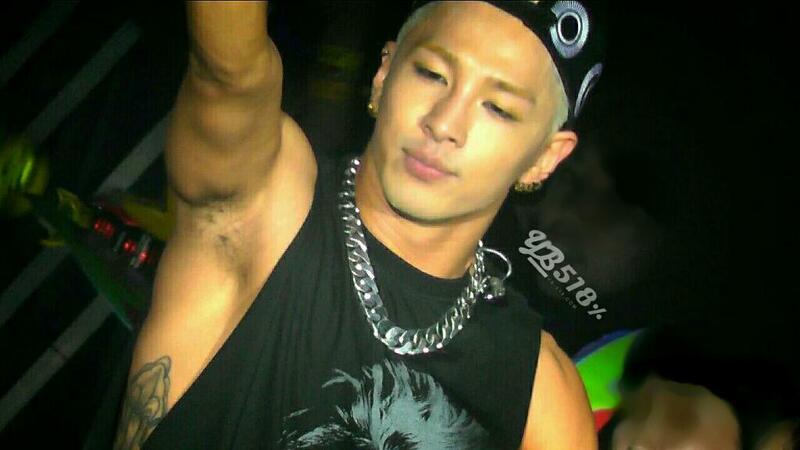 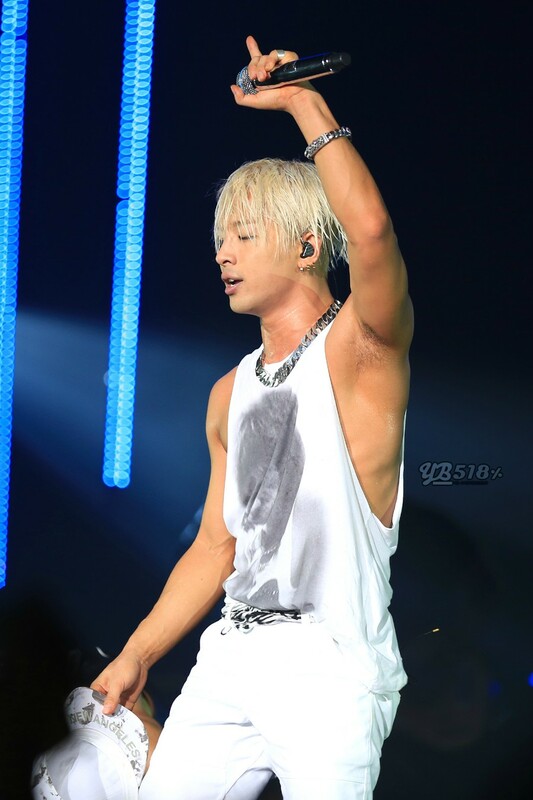 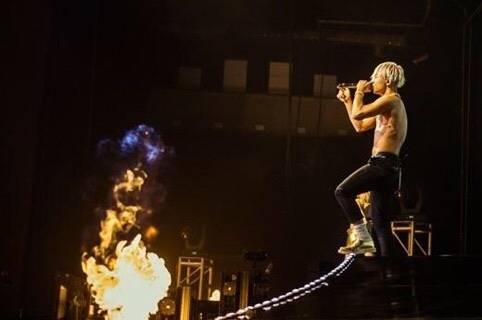 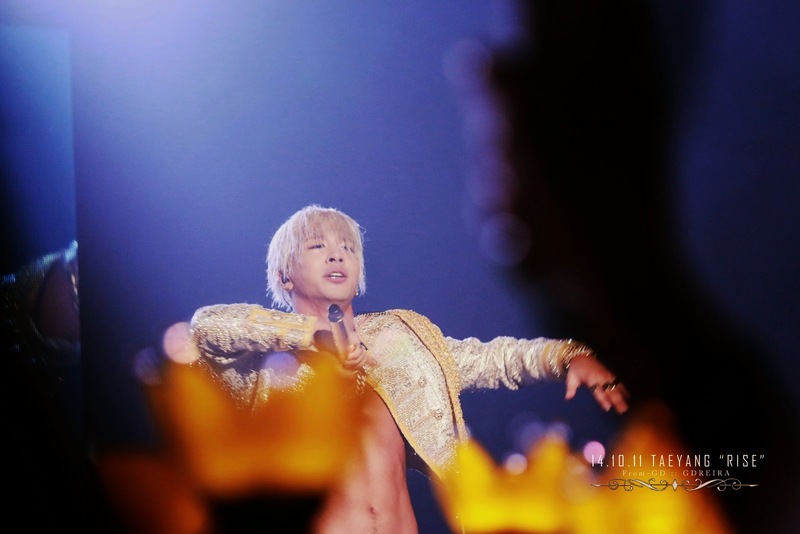 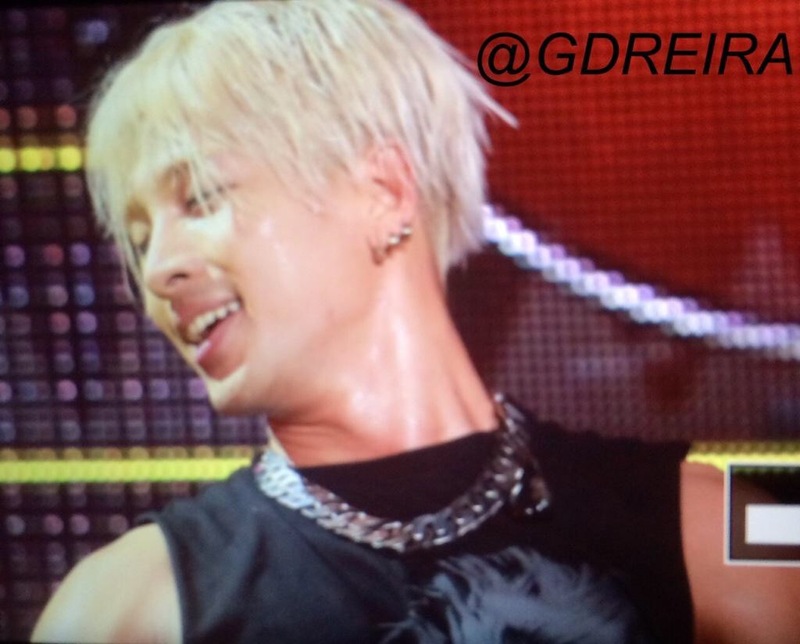 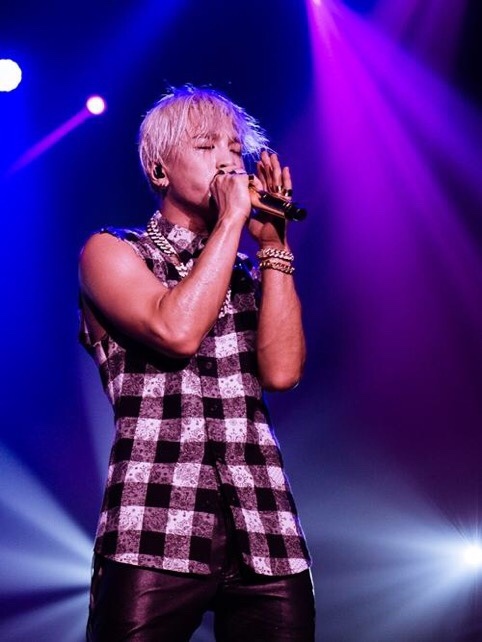 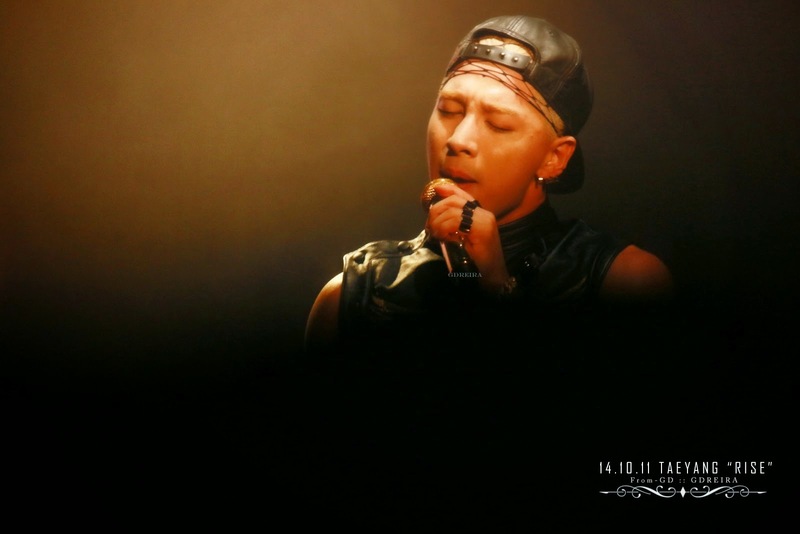 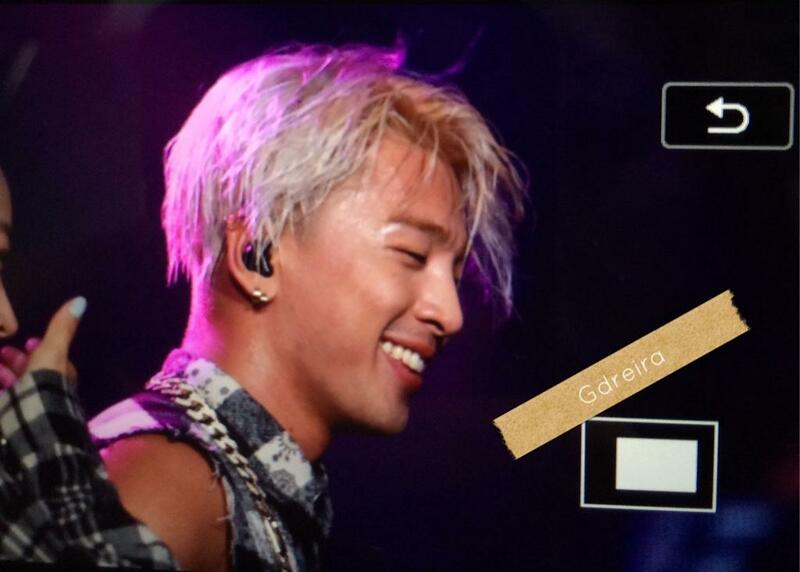 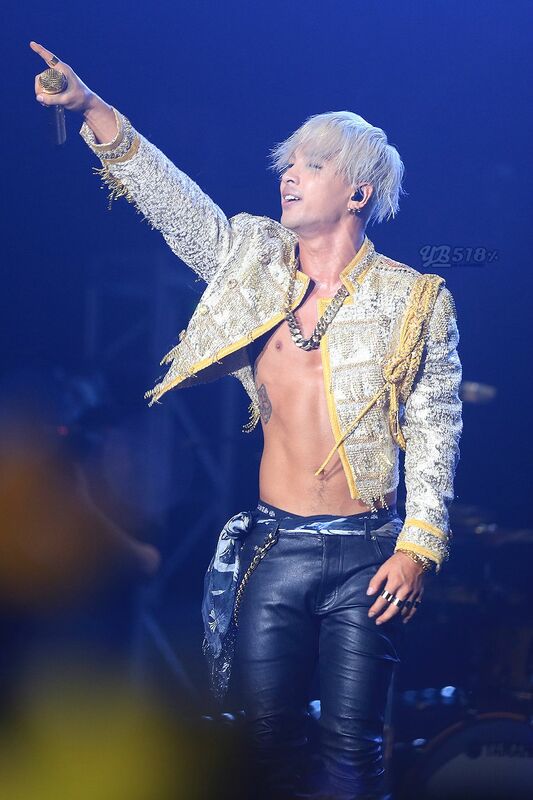 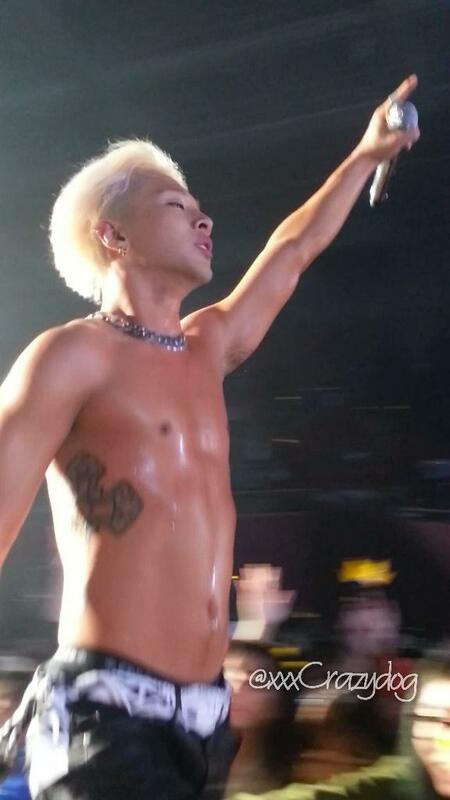 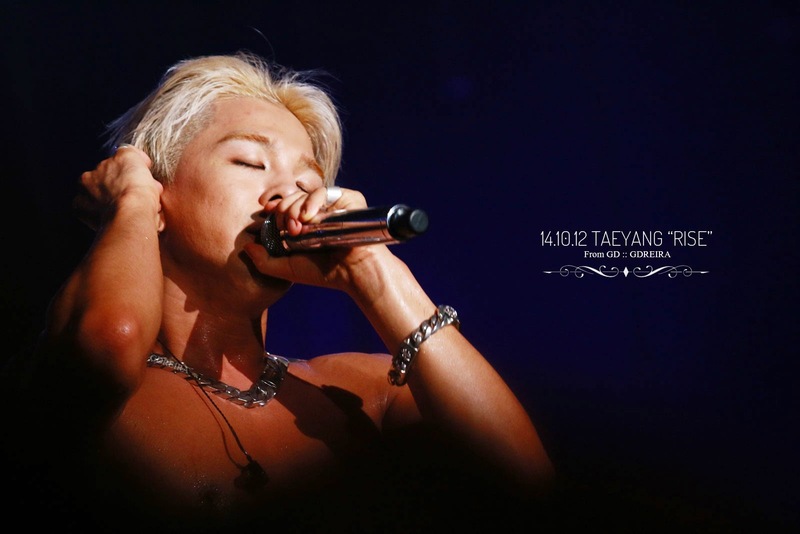 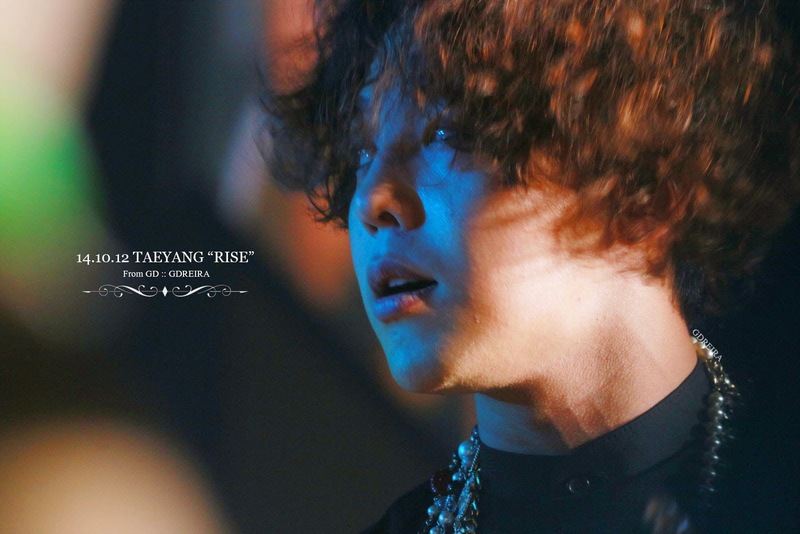 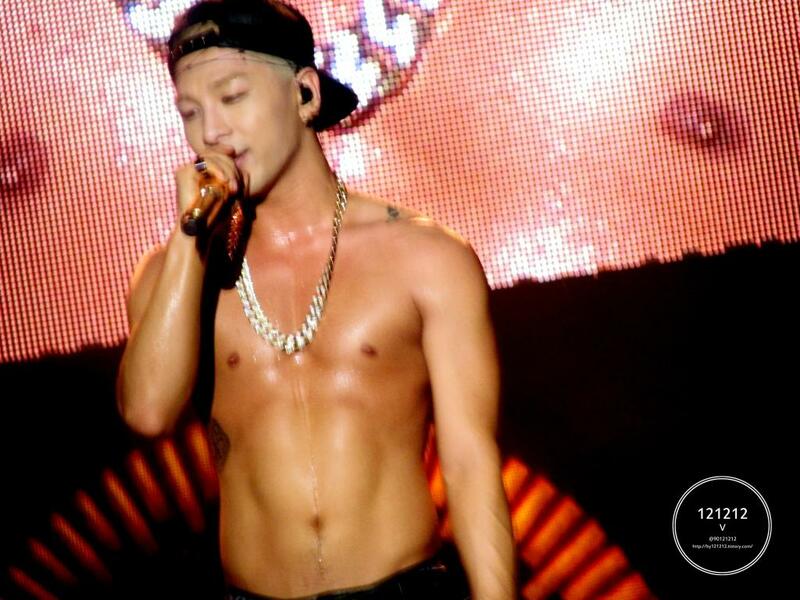 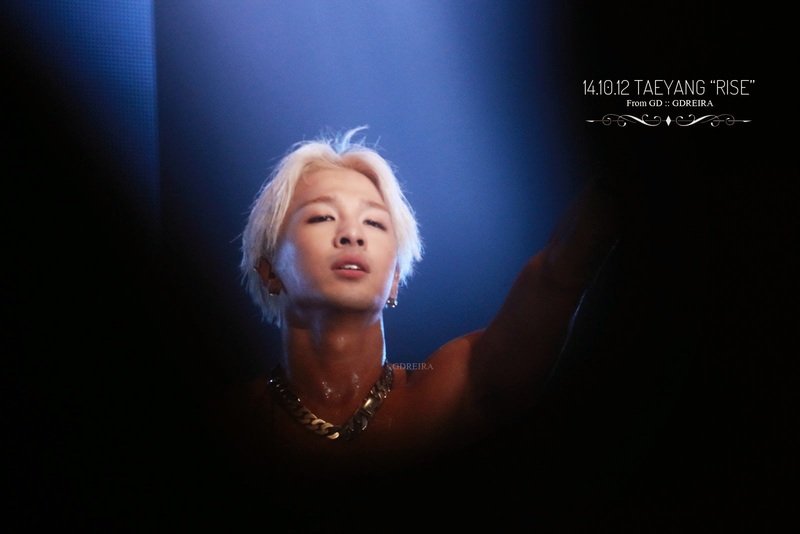 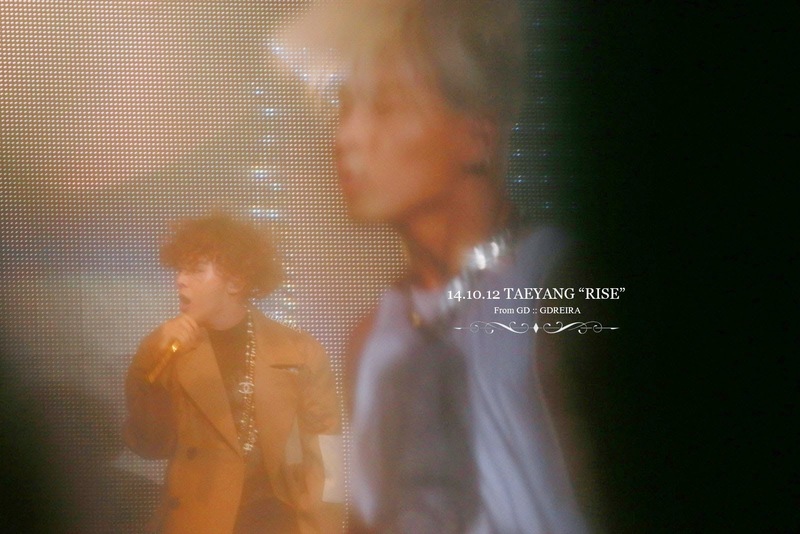 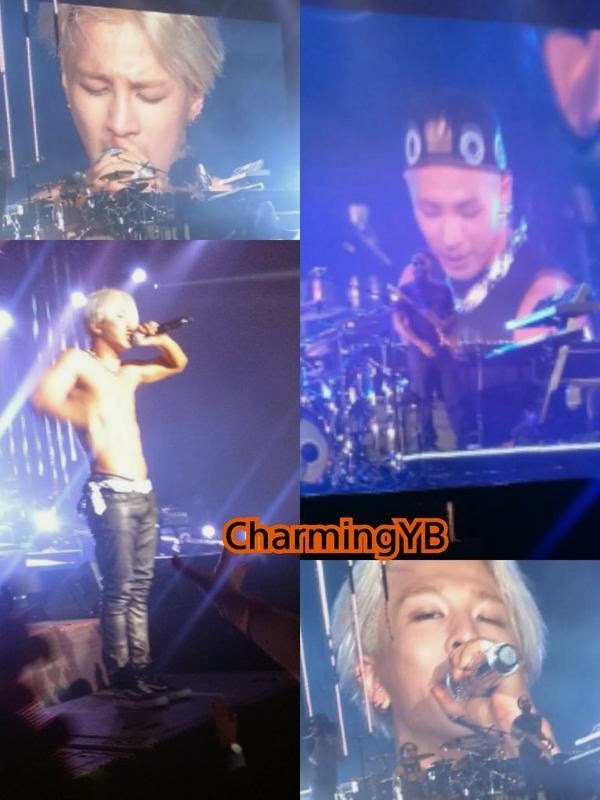 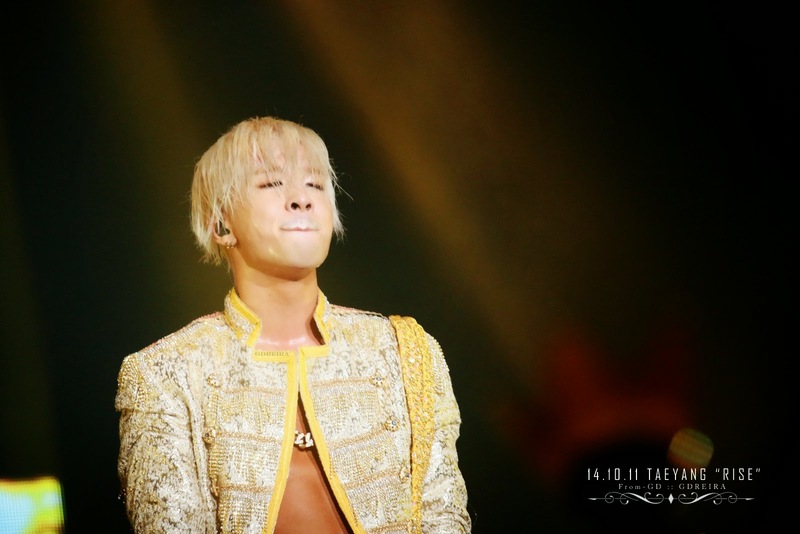 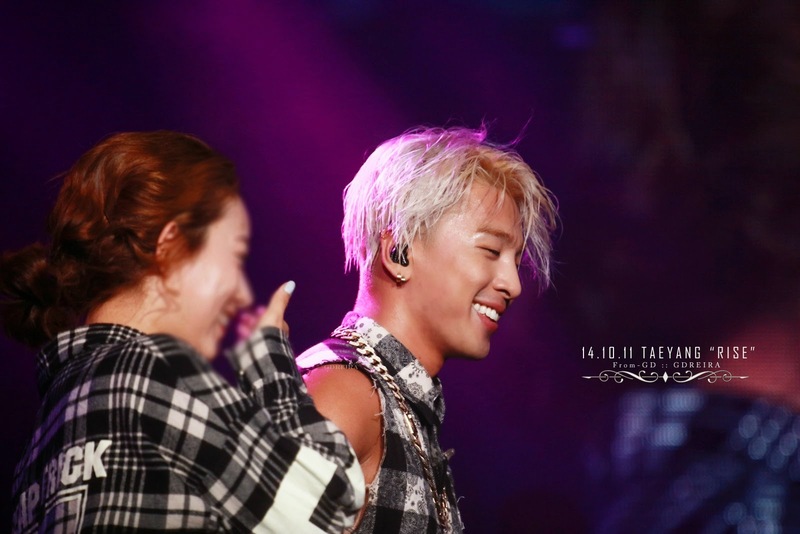 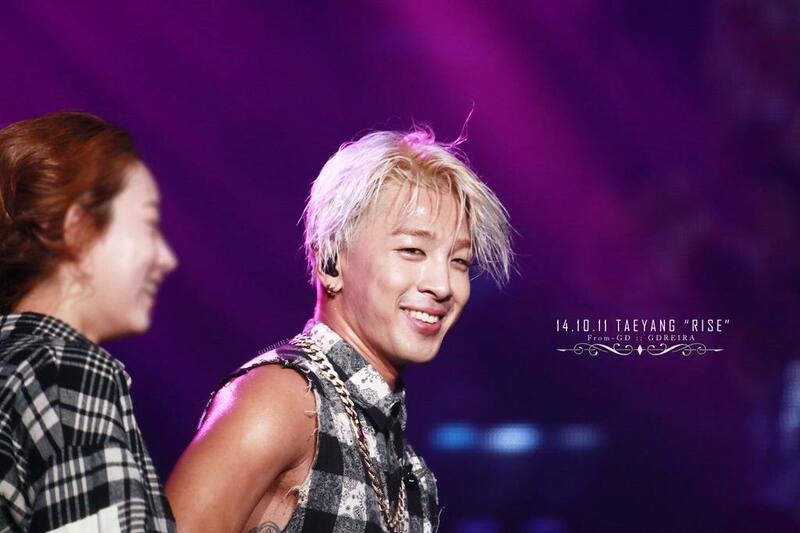 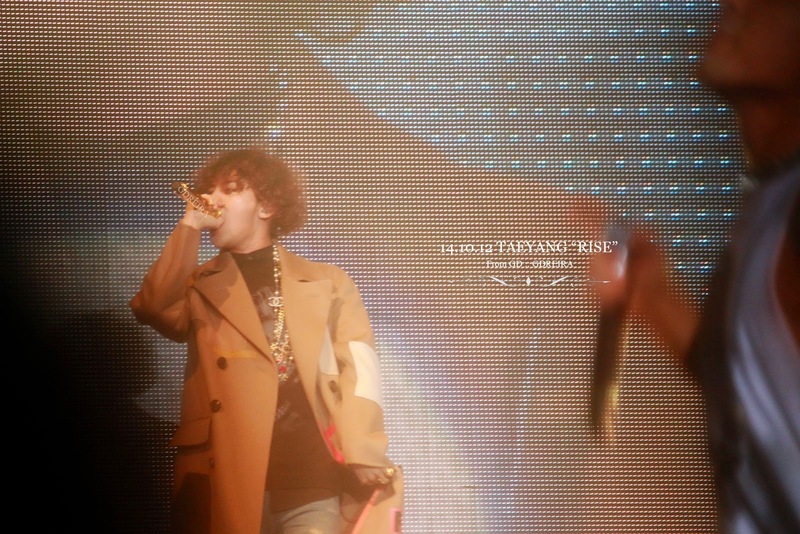 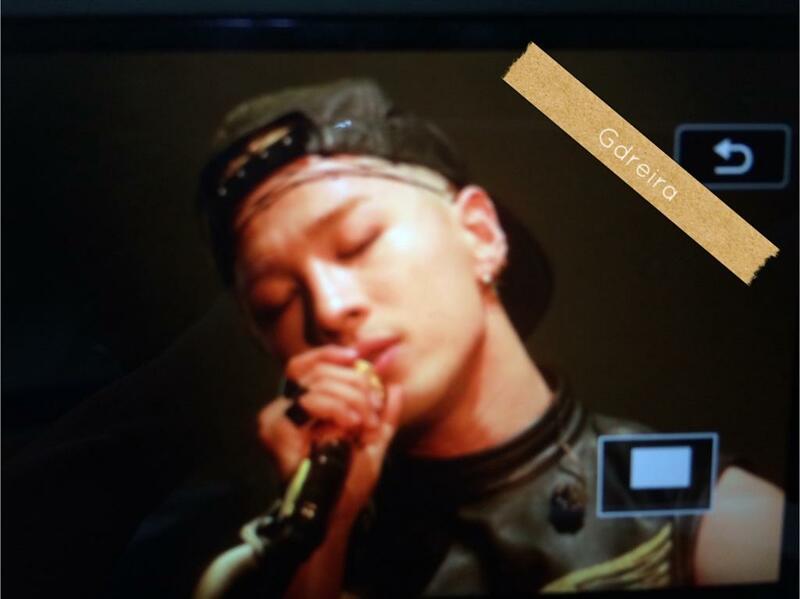 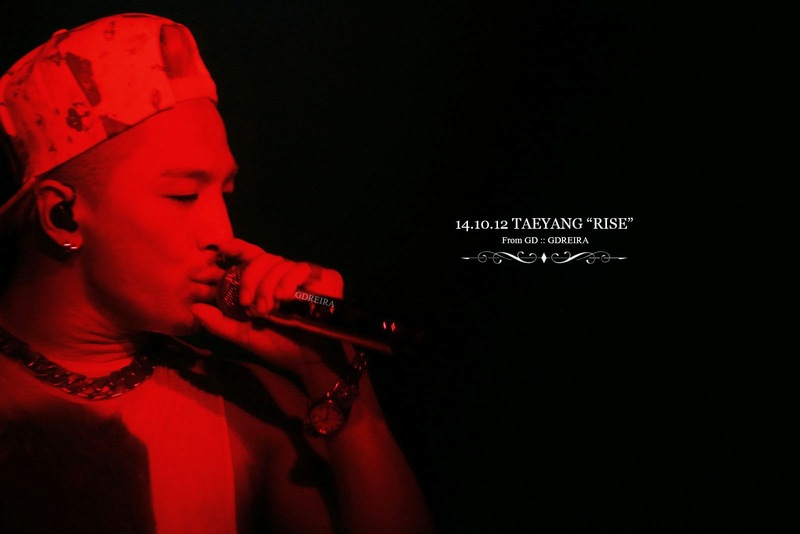 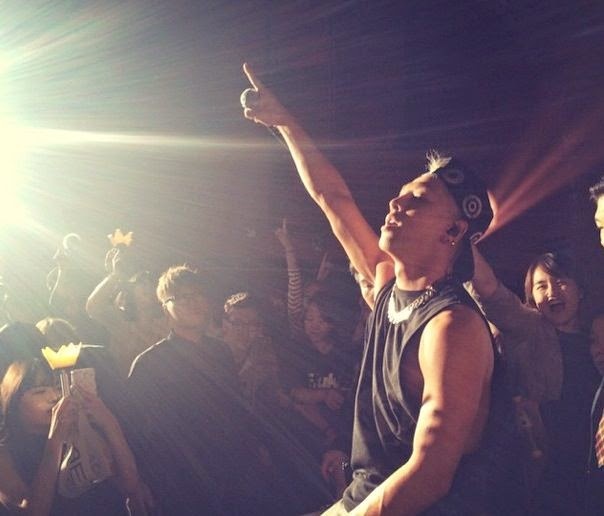 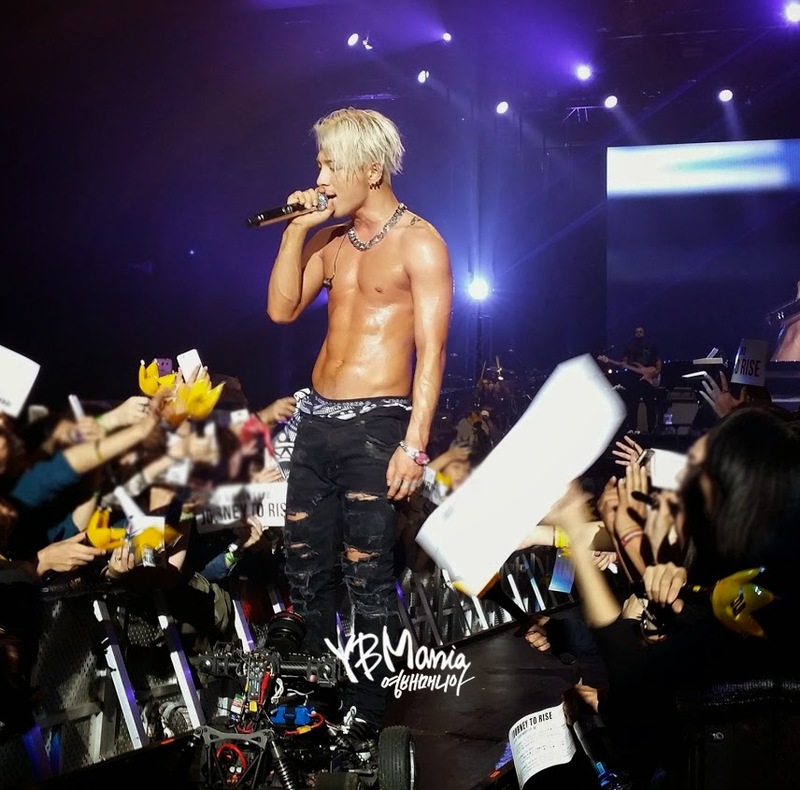 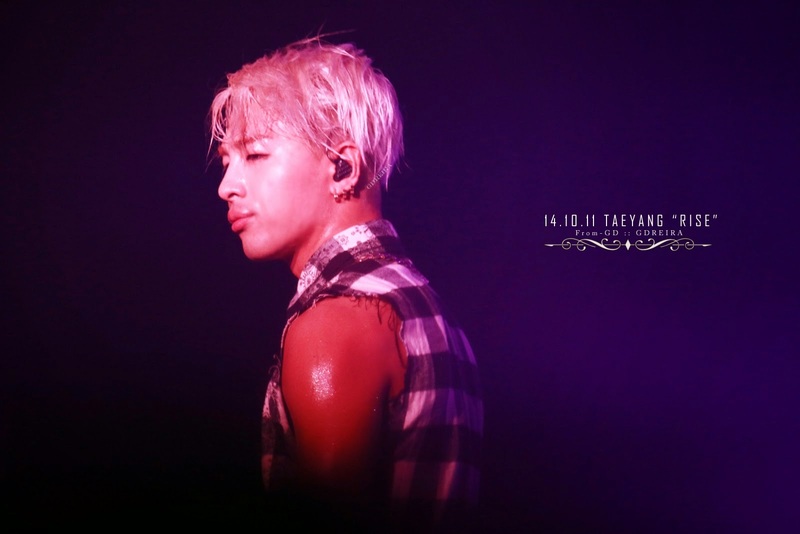 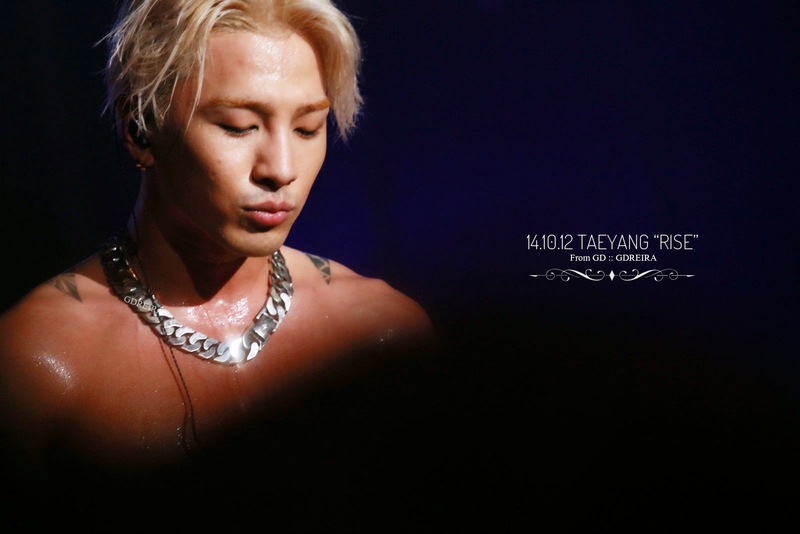 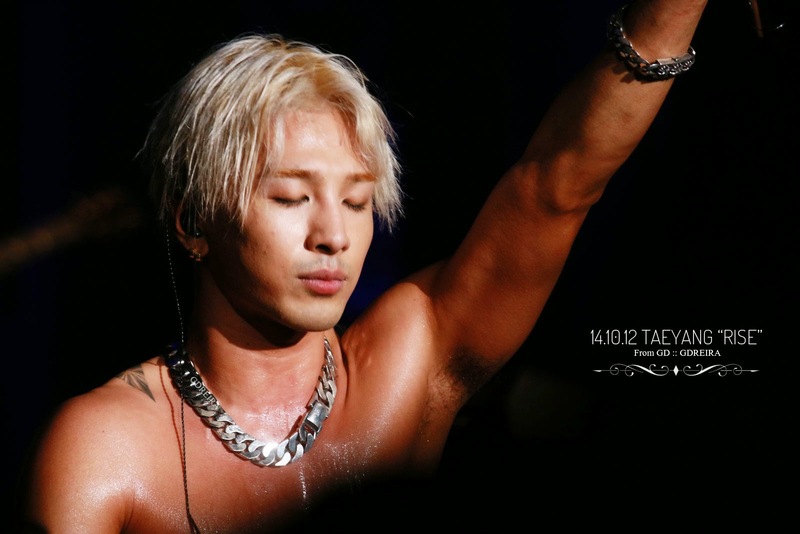 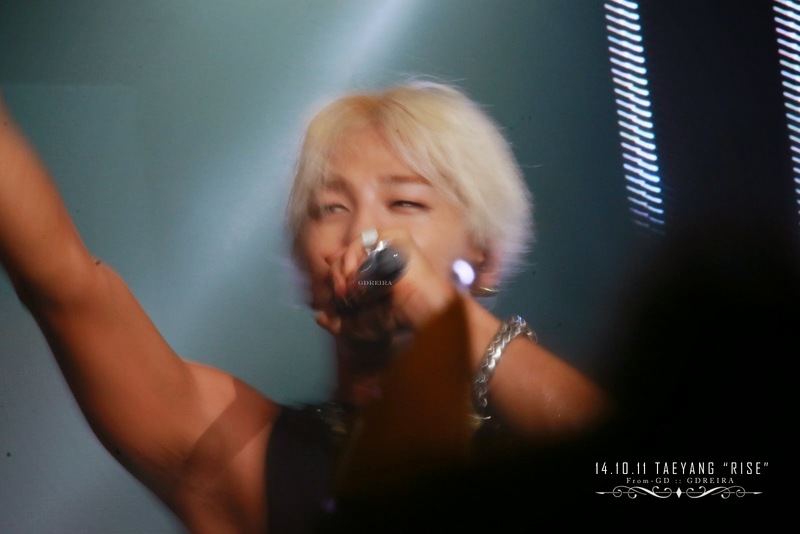 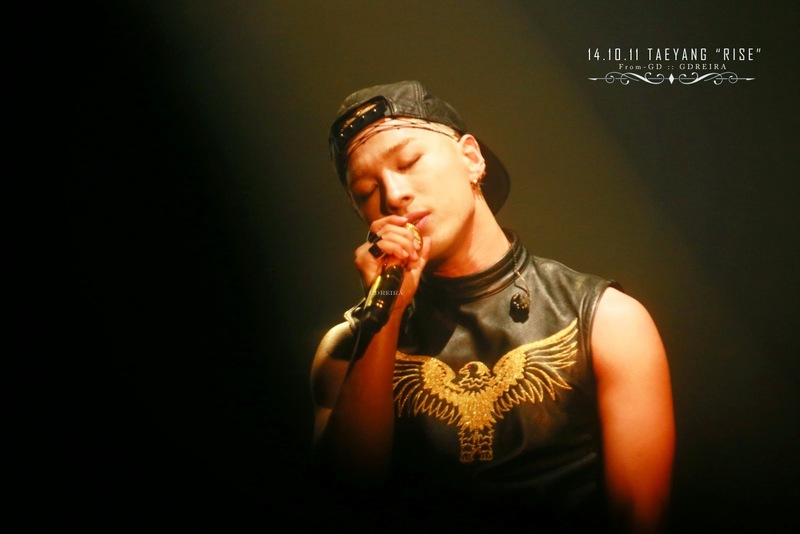 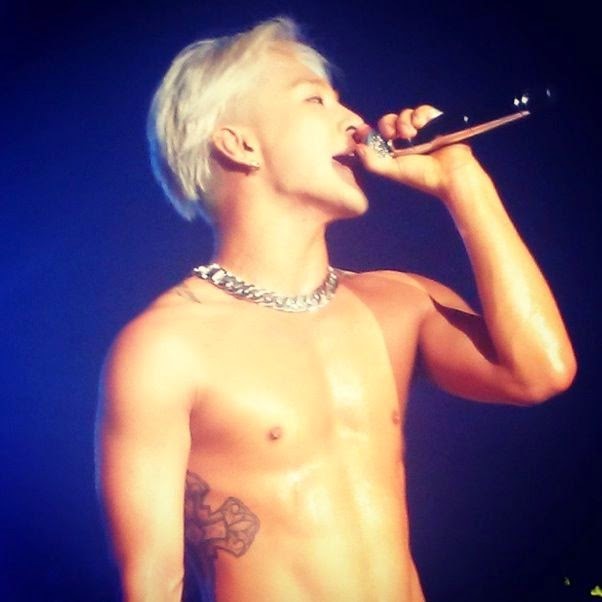 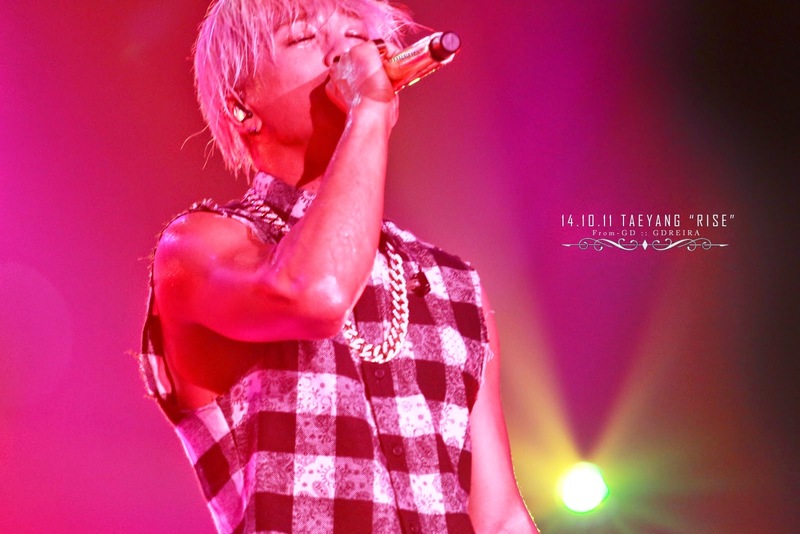 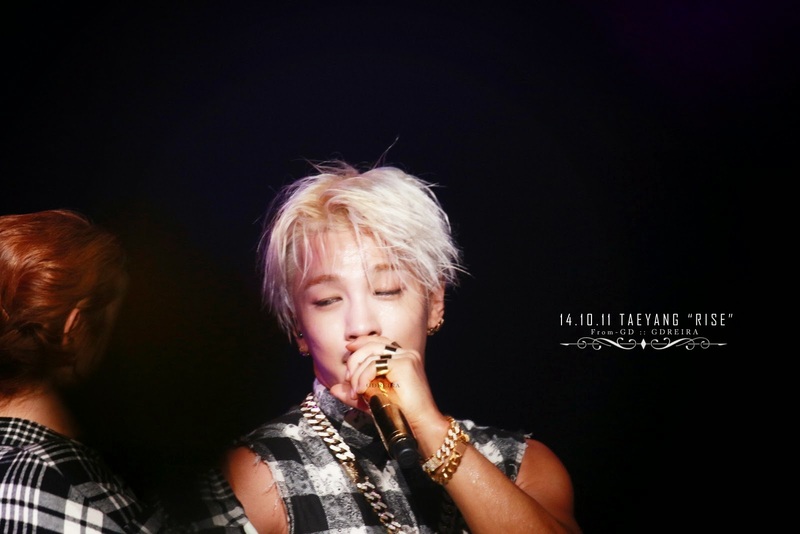 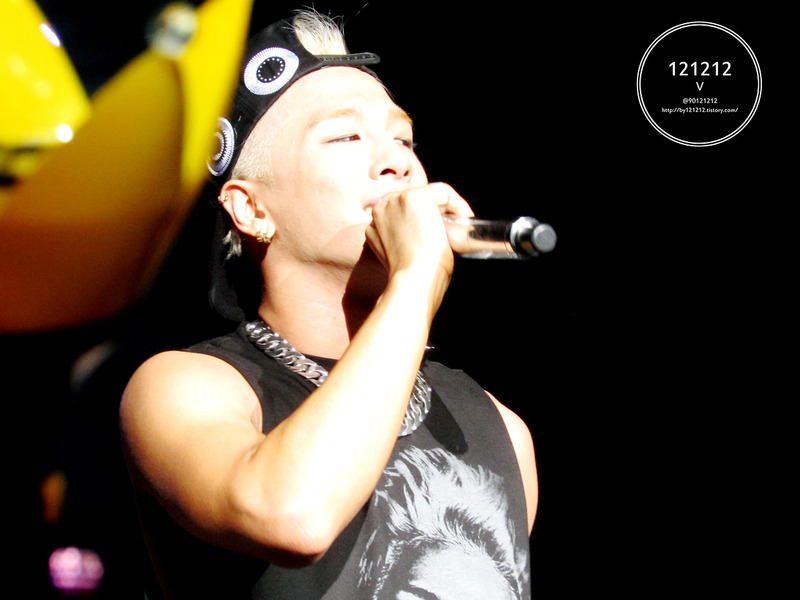 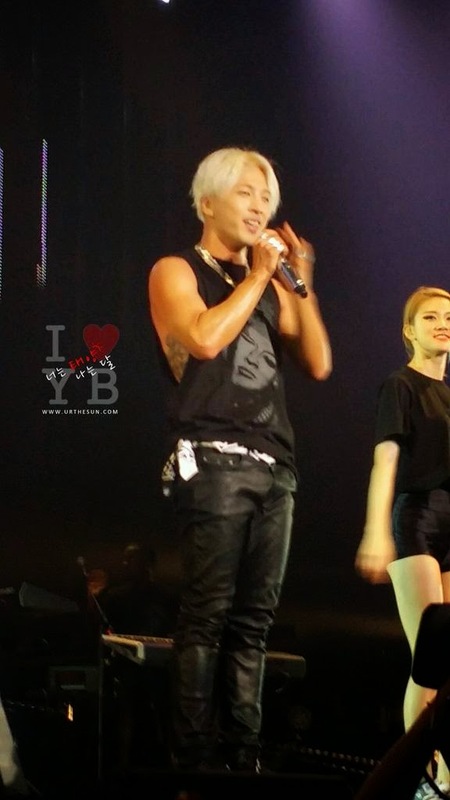 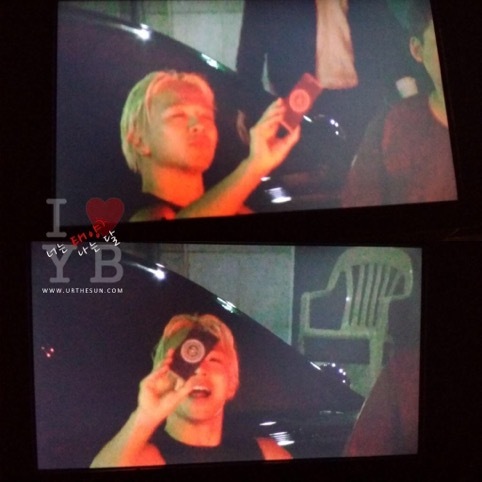 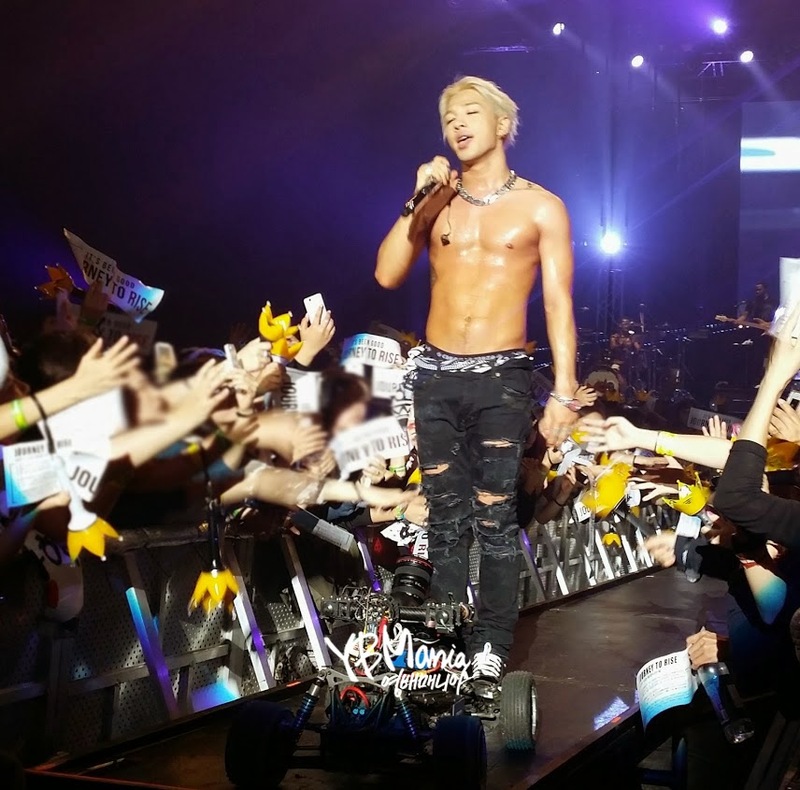 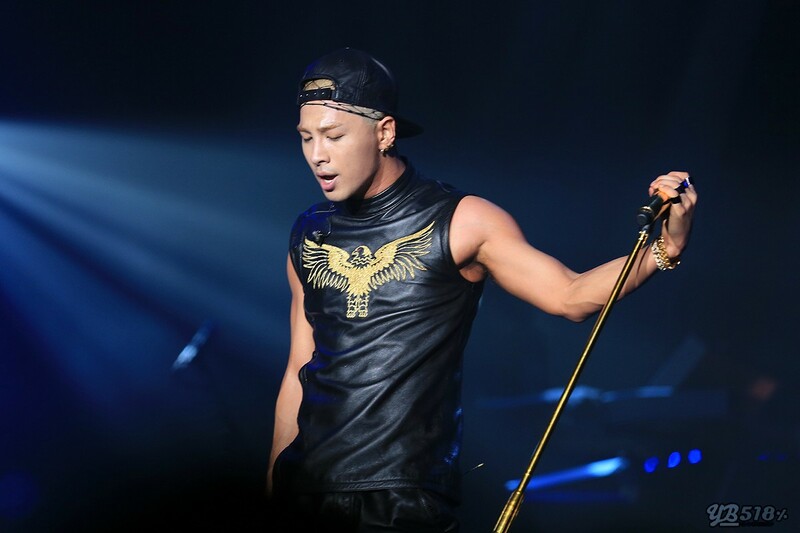 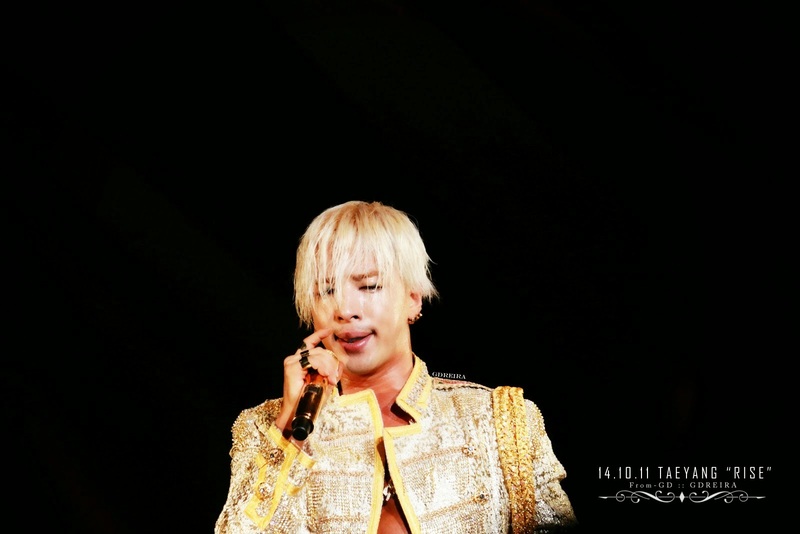 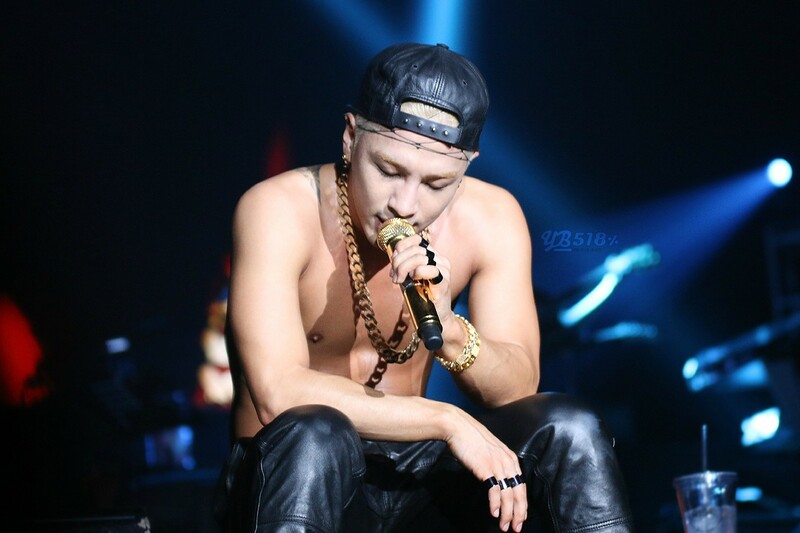 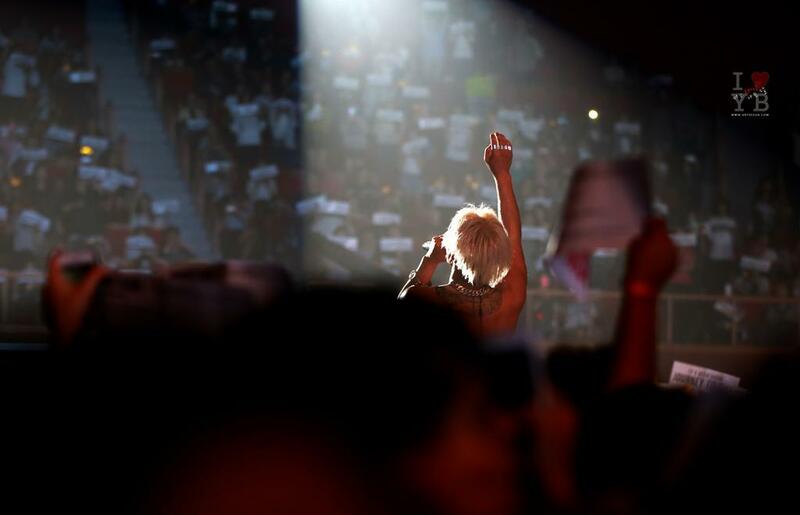 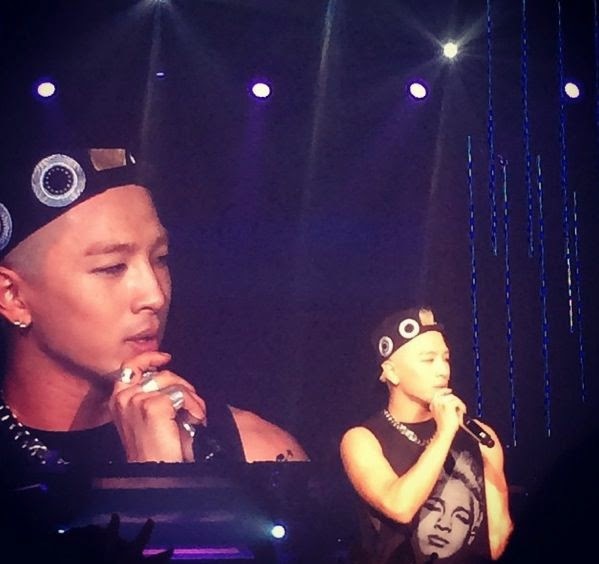 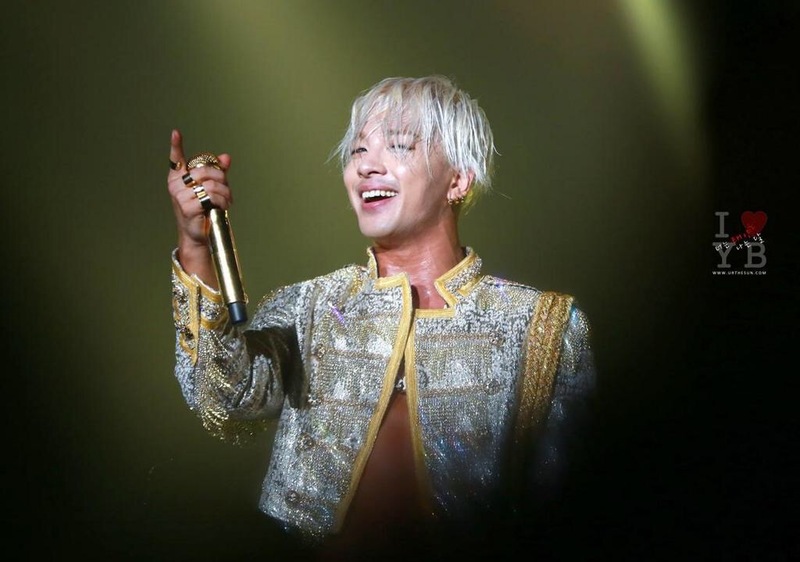 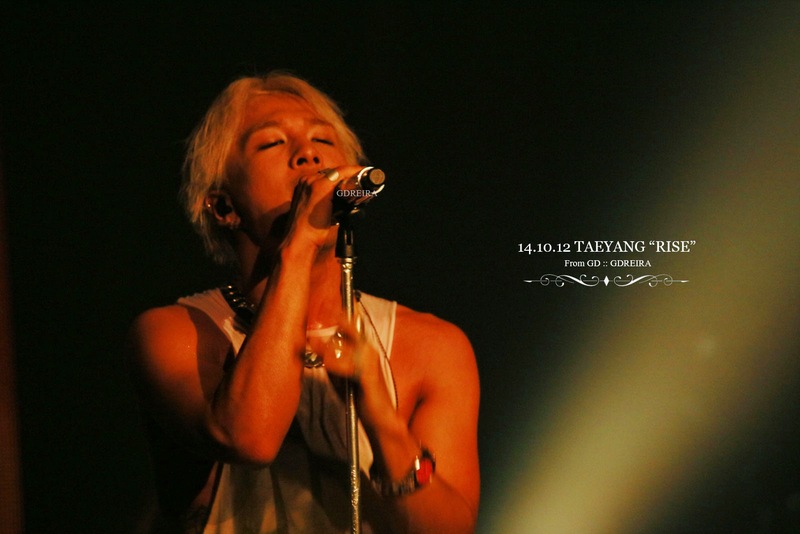 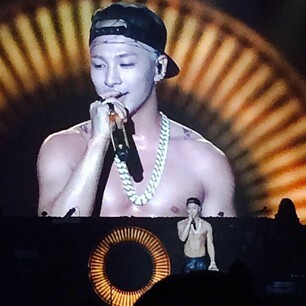 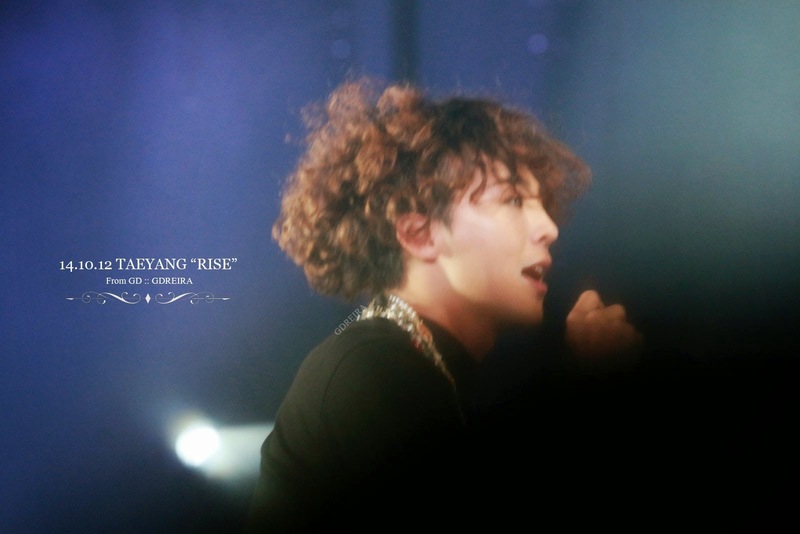 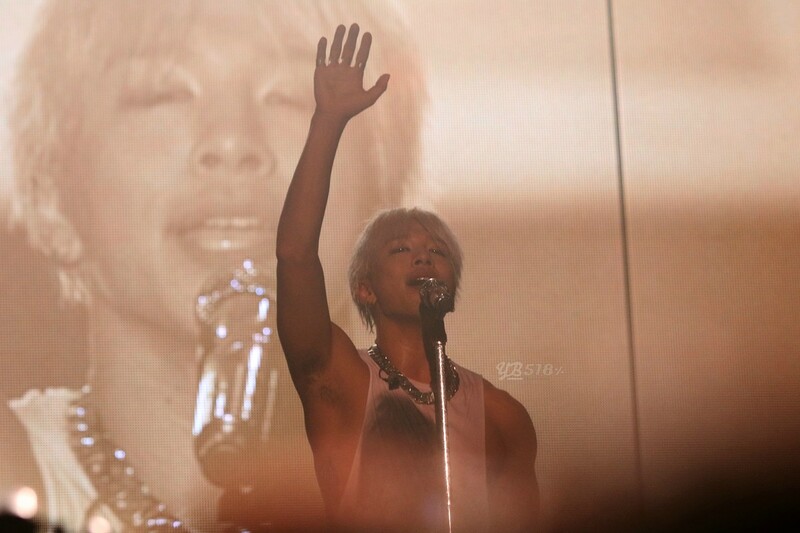 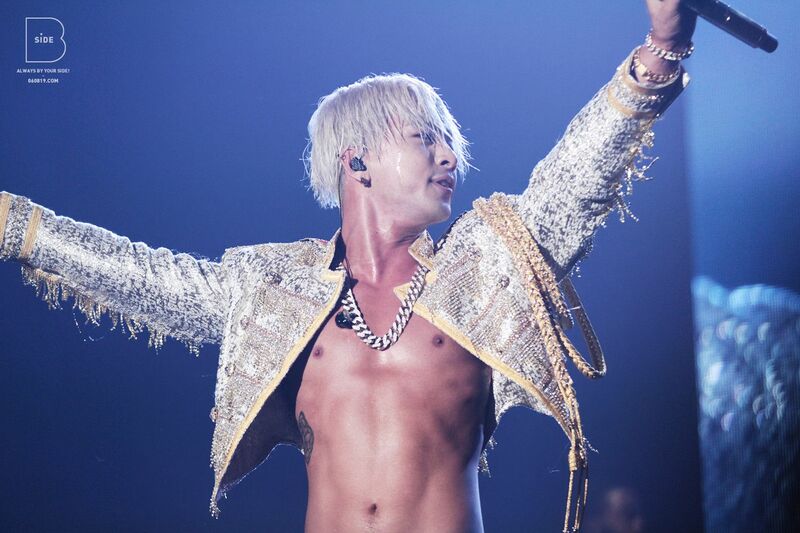 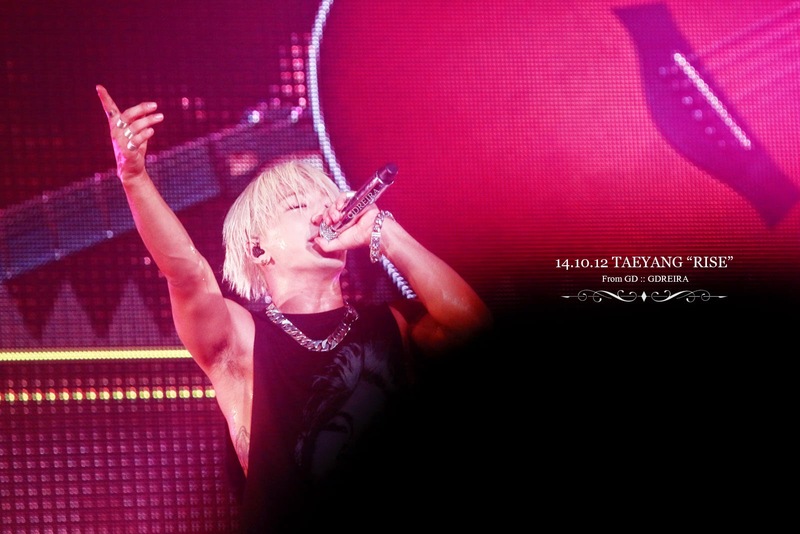 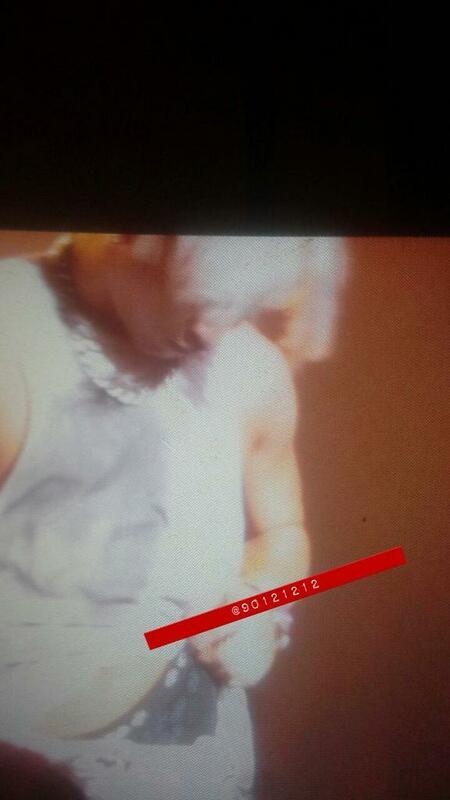 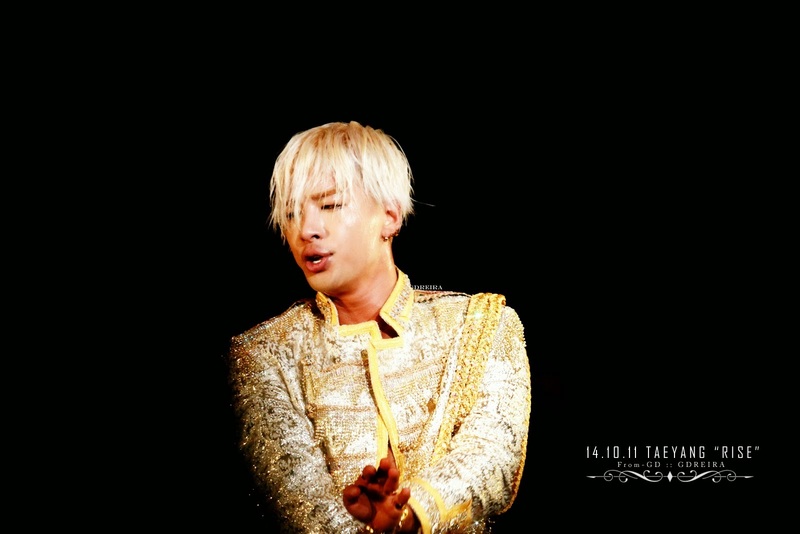 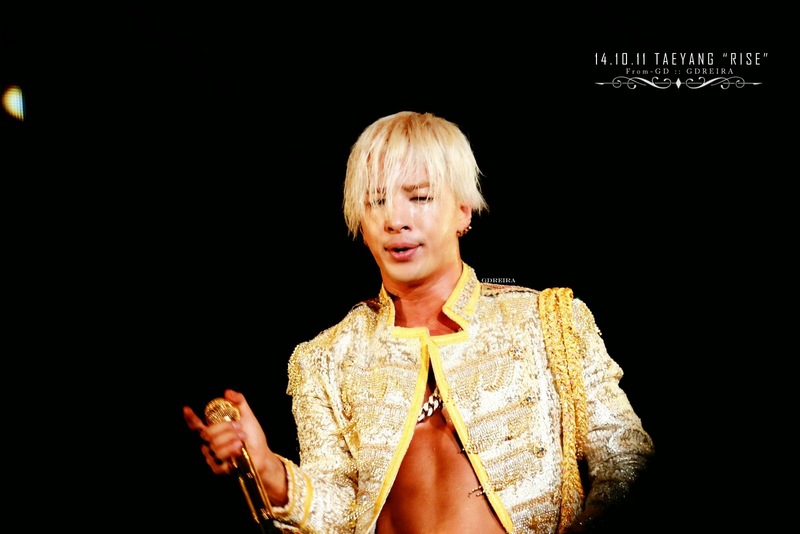 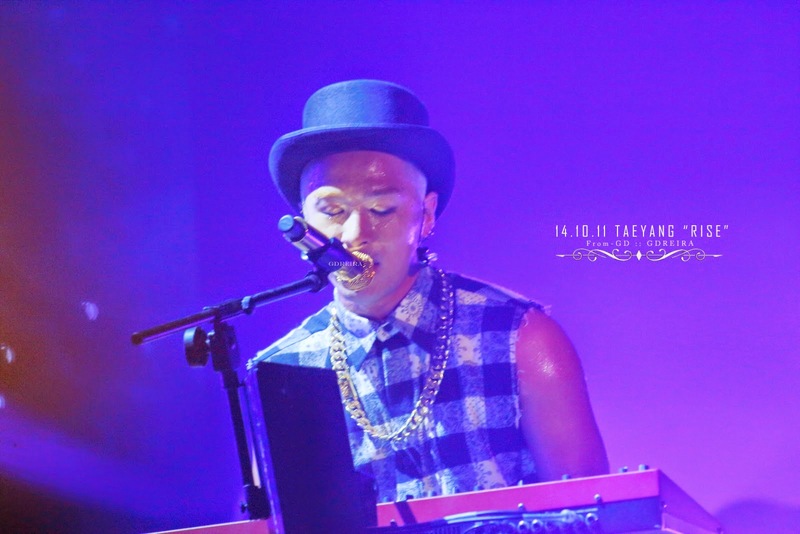 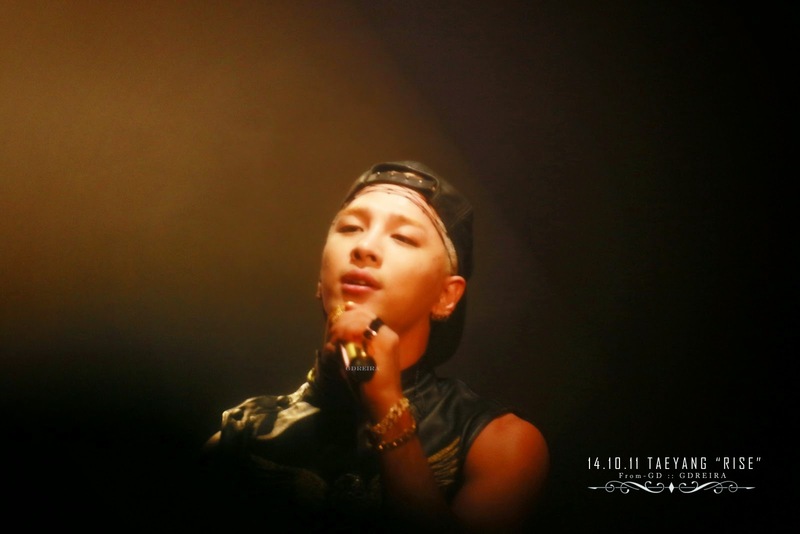 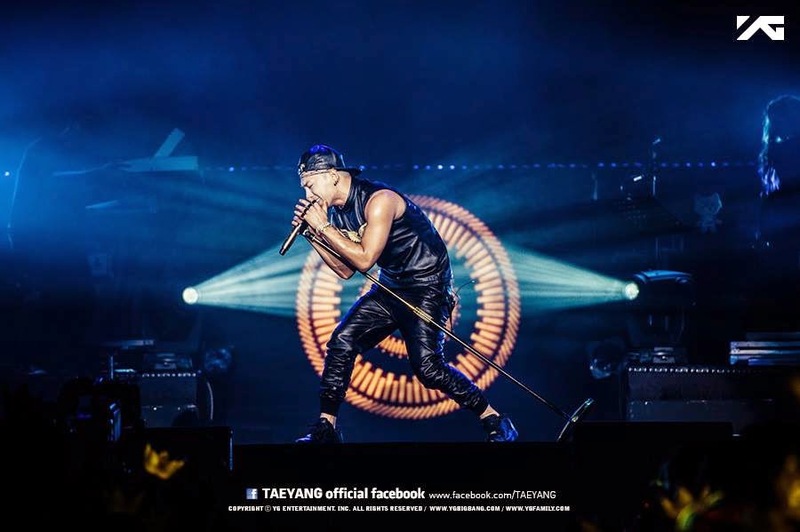 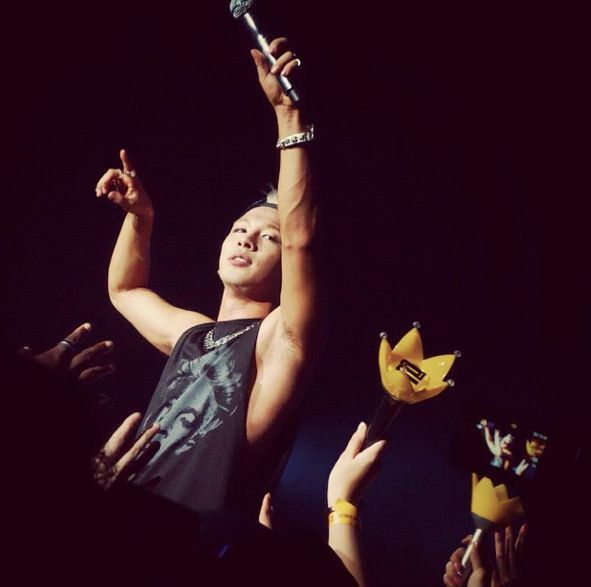 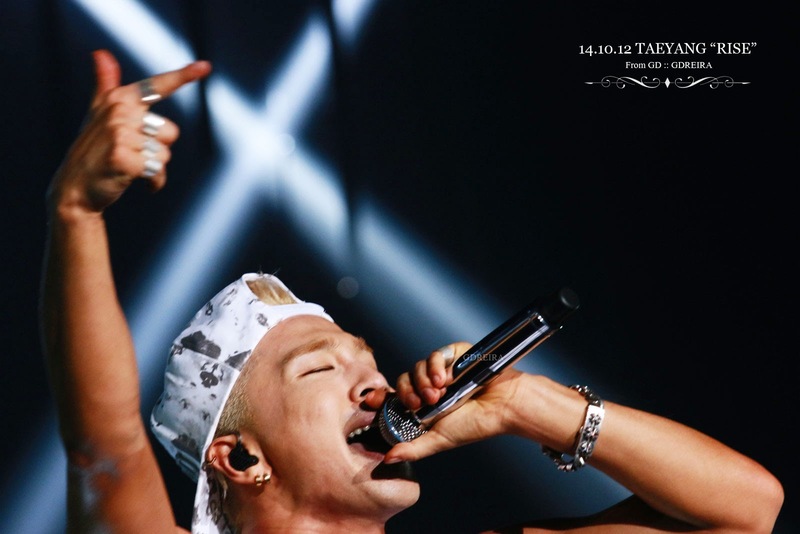 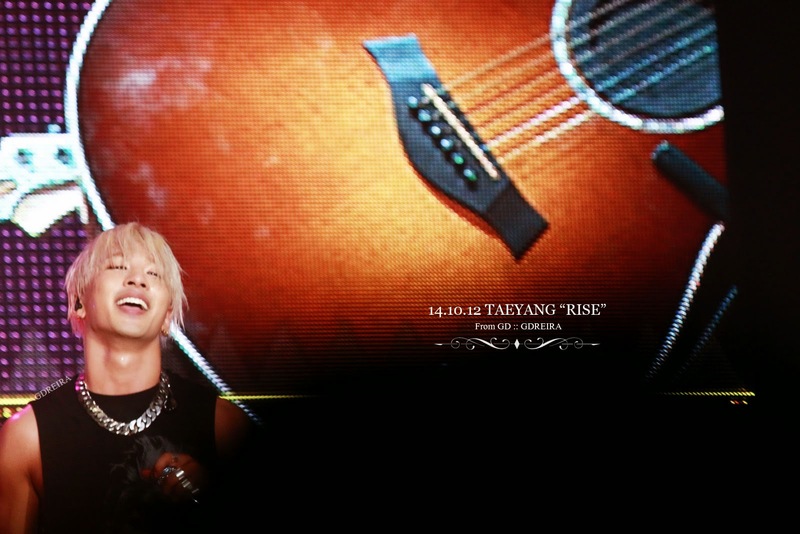 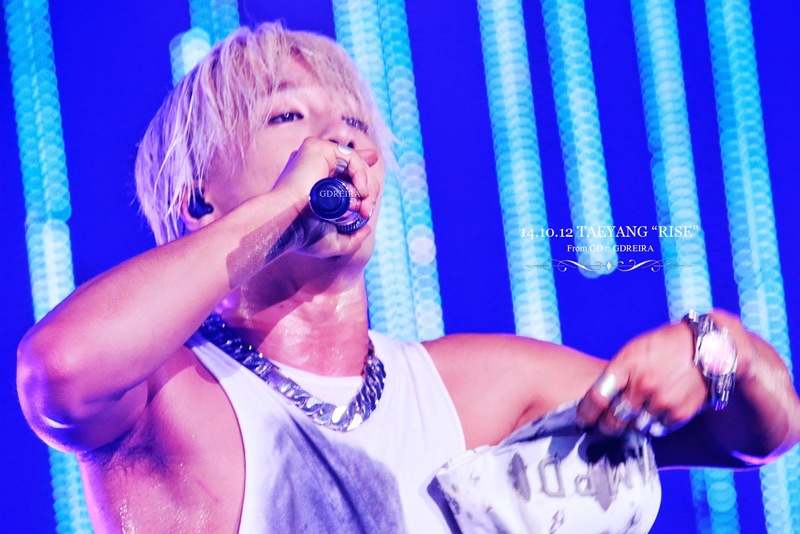 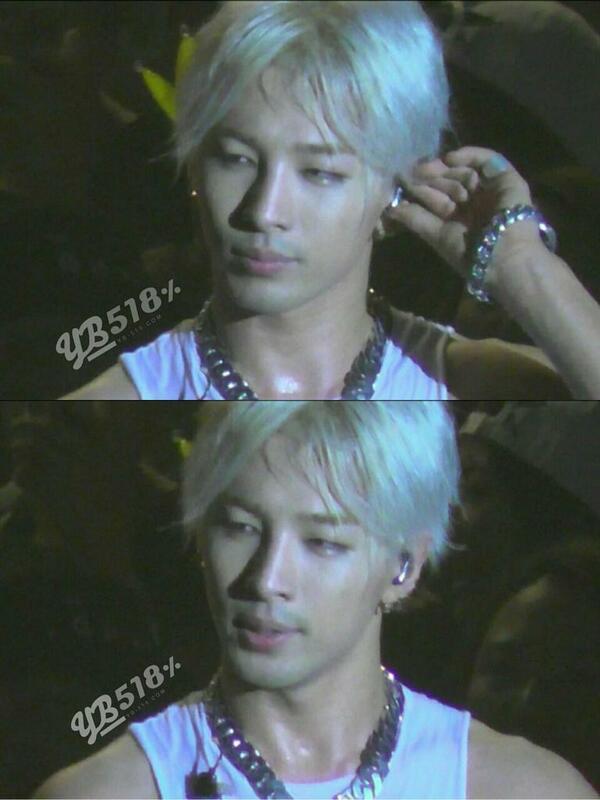 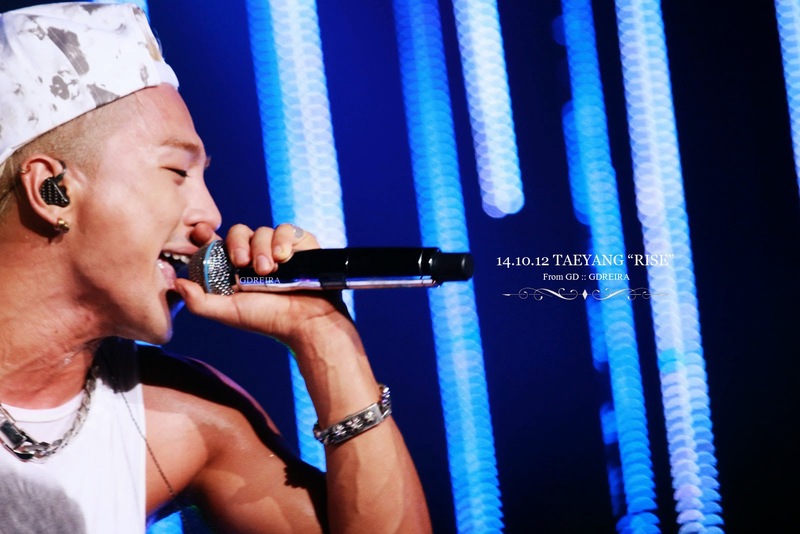 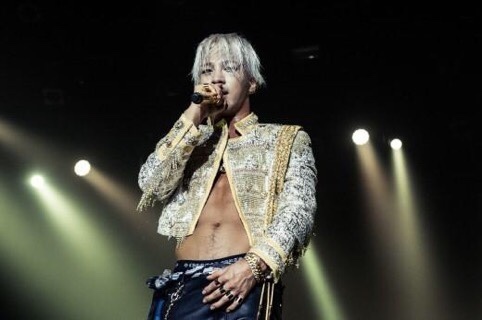 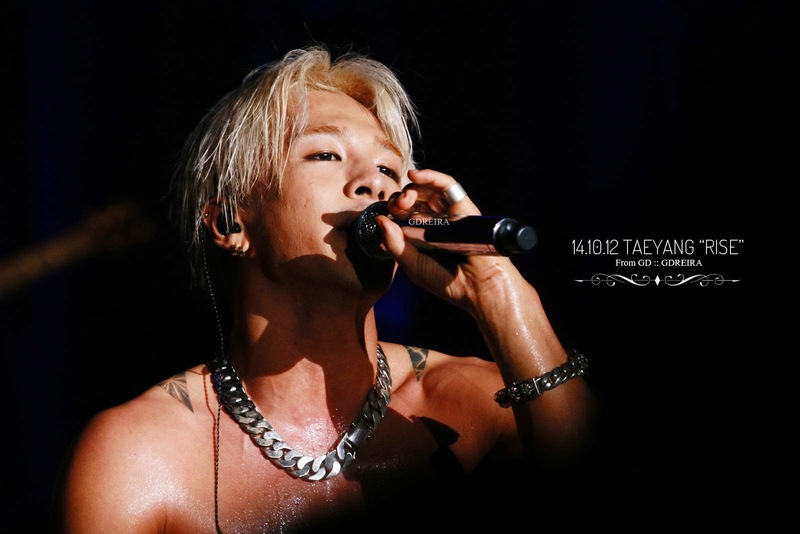 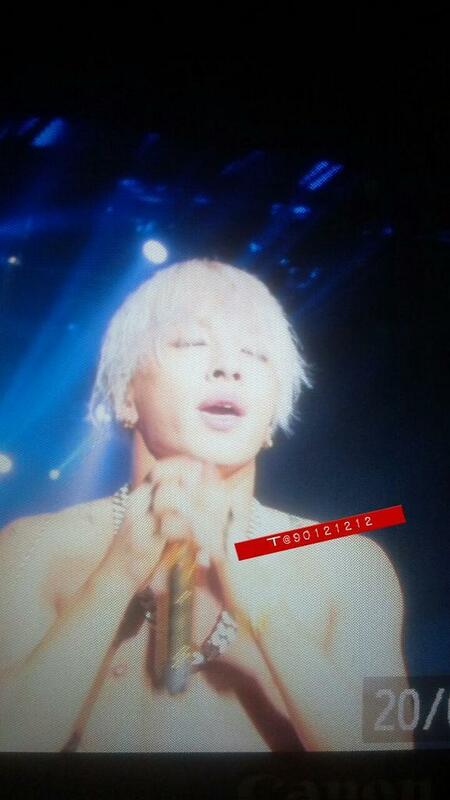 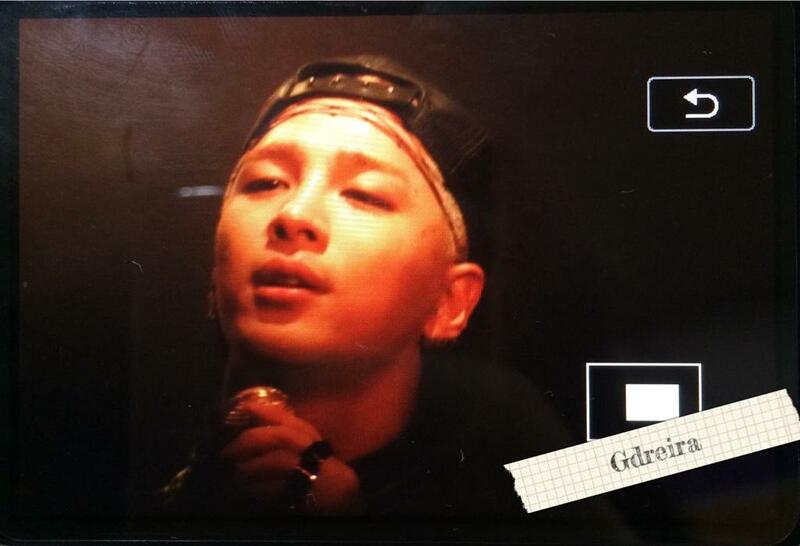 There are many more fancams on Instagram, too many to list here, do a search for #taeyang or/and #rise. 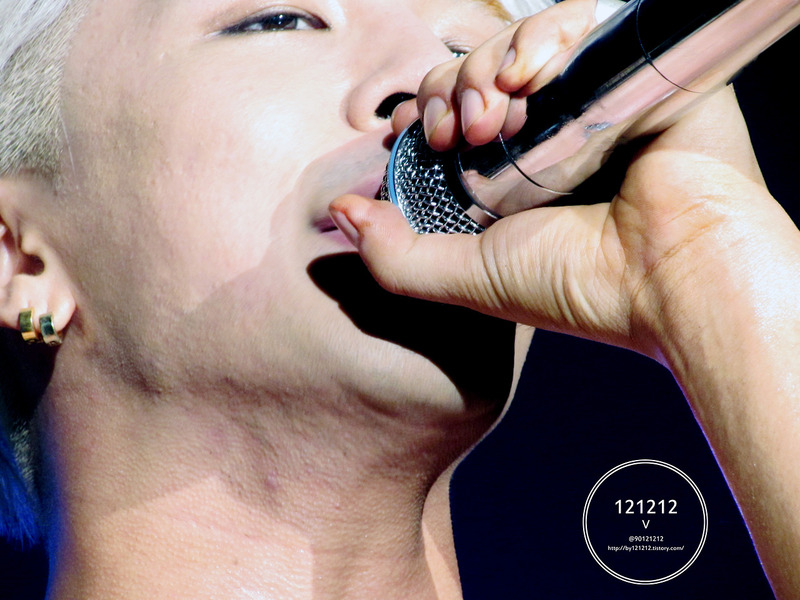 Click on any of the images to see an enlarged version. 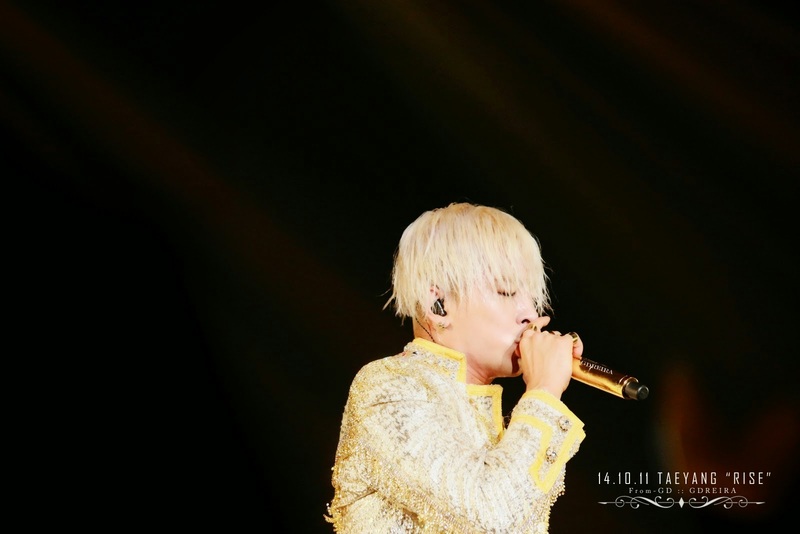 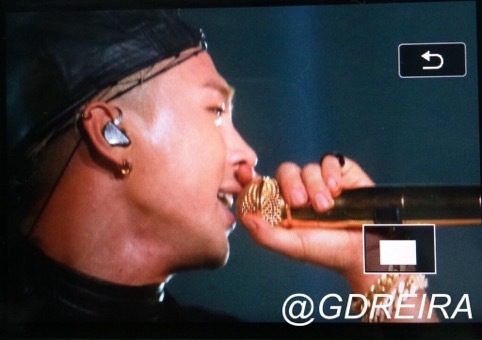 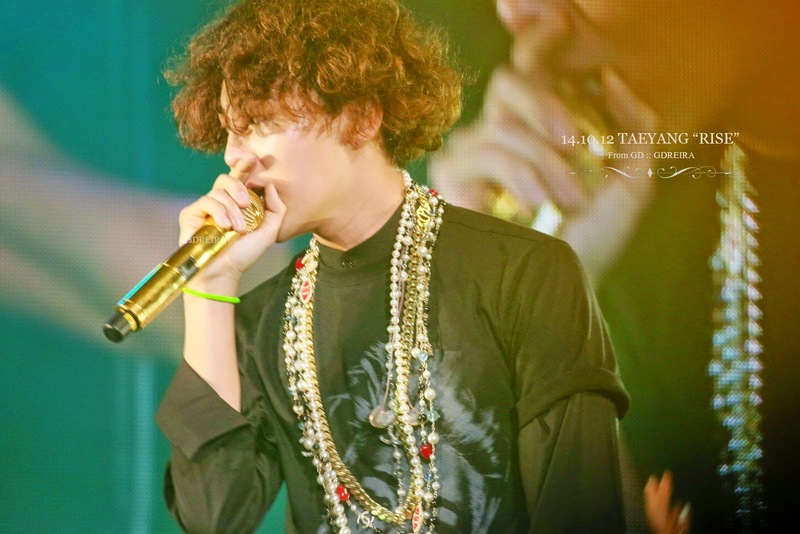 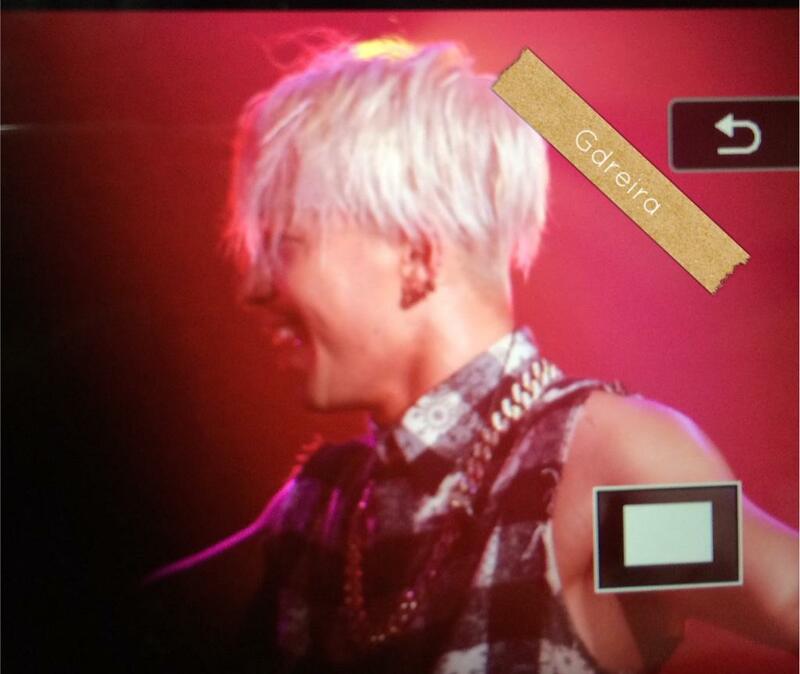 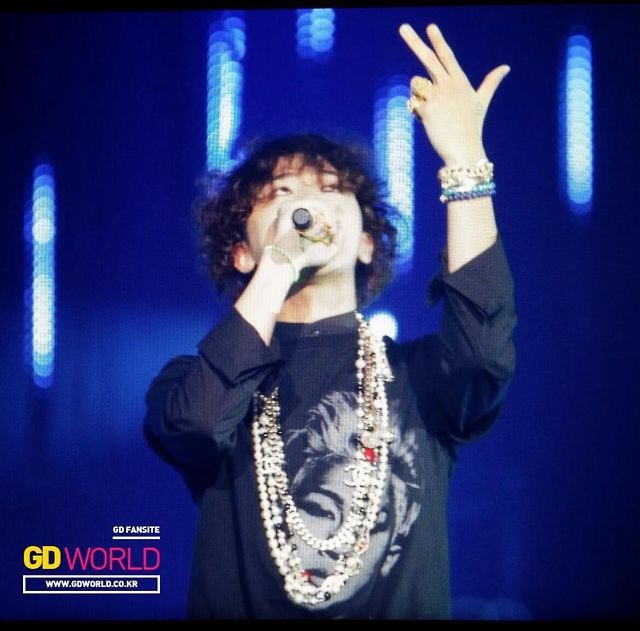 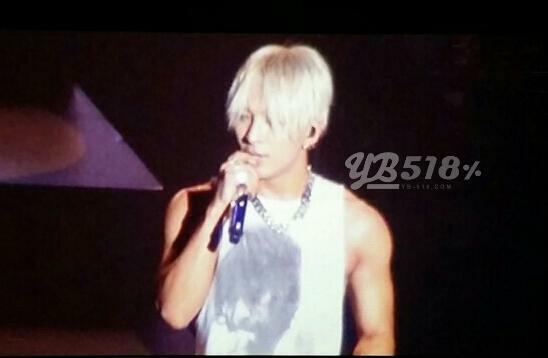 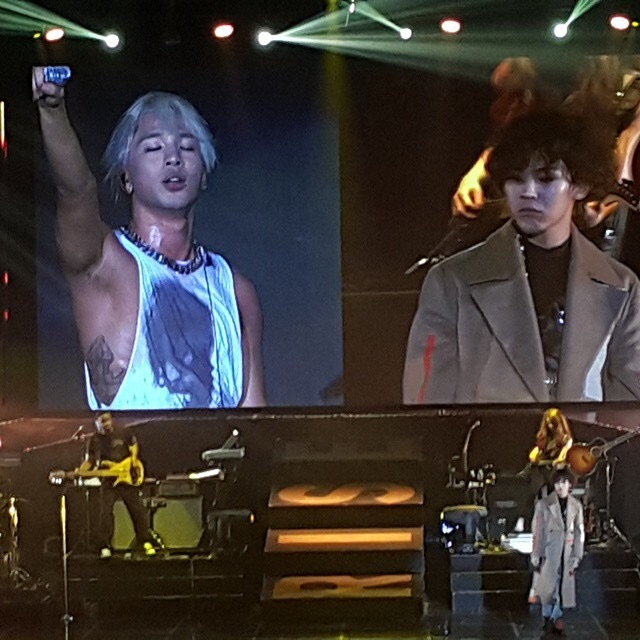 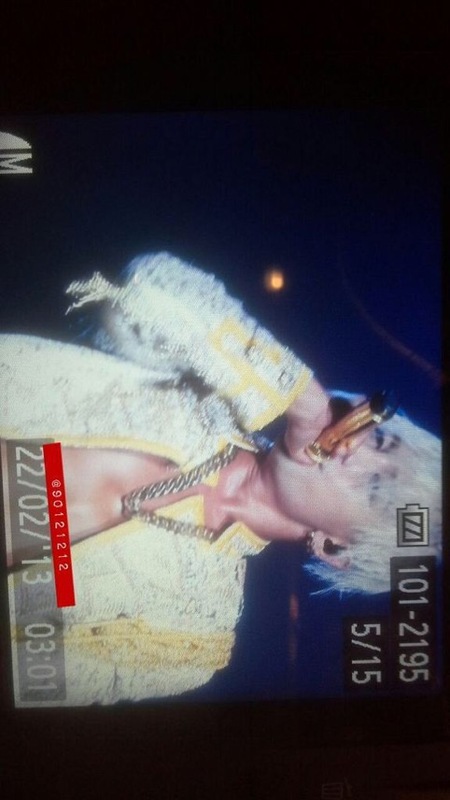 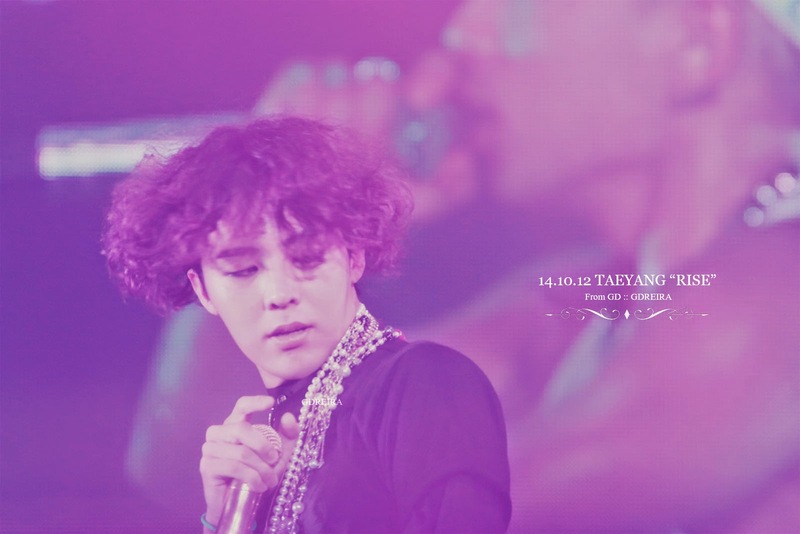 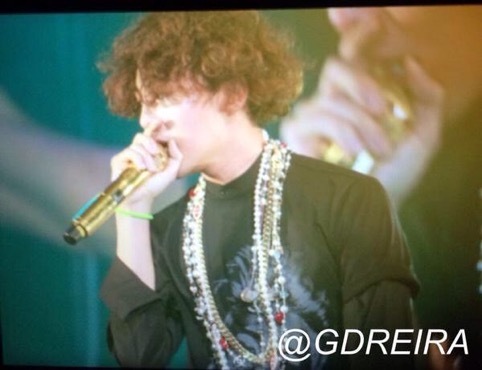 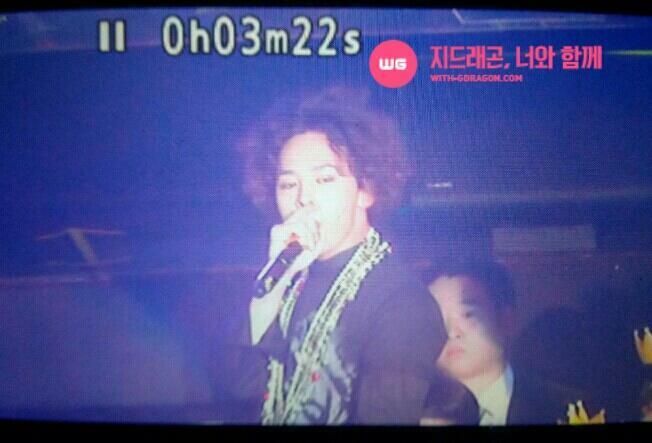 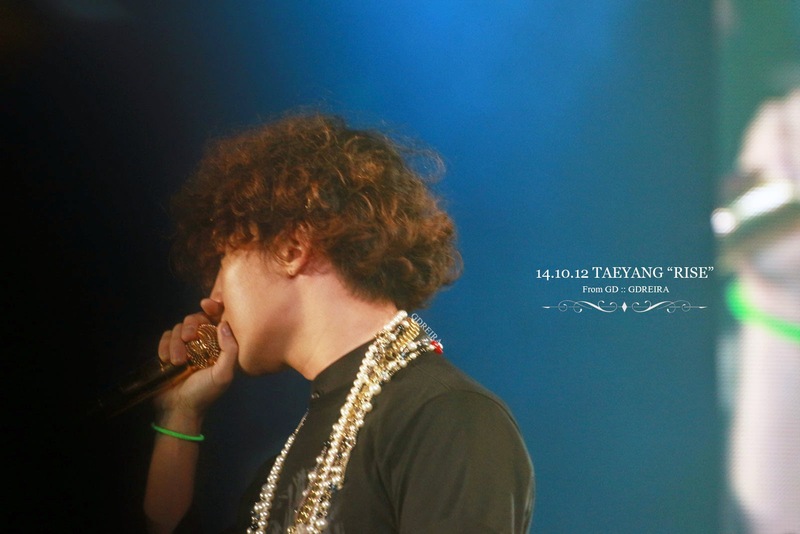 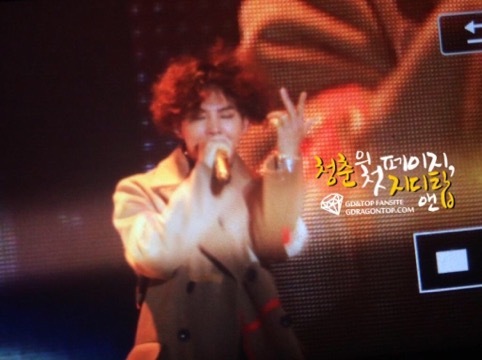 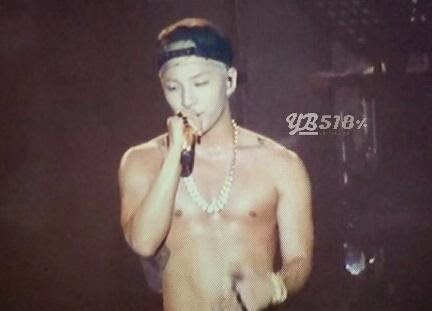 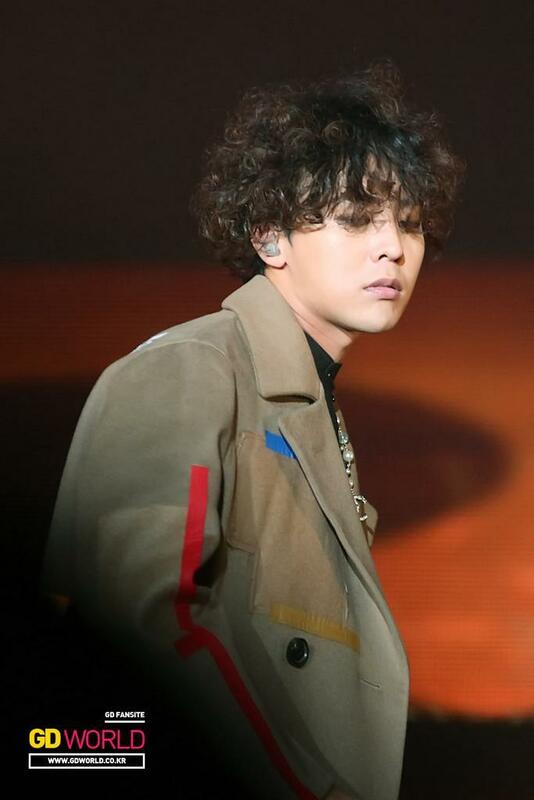 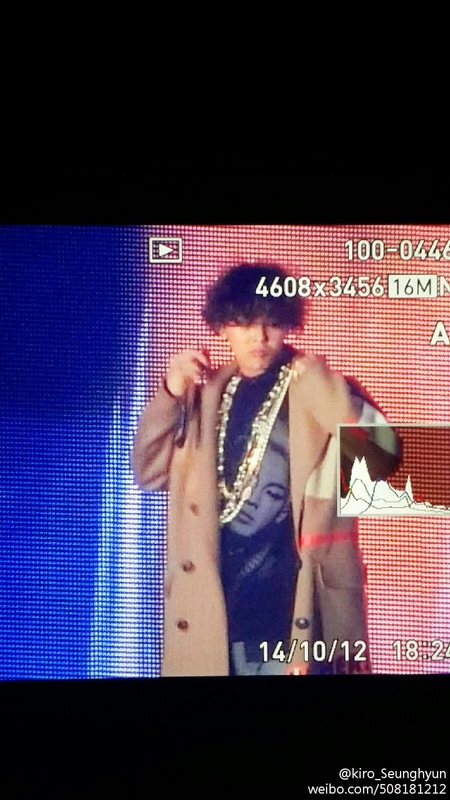 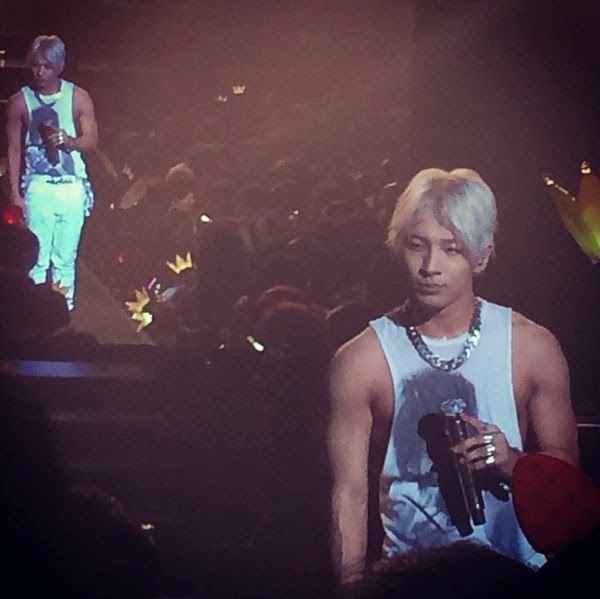 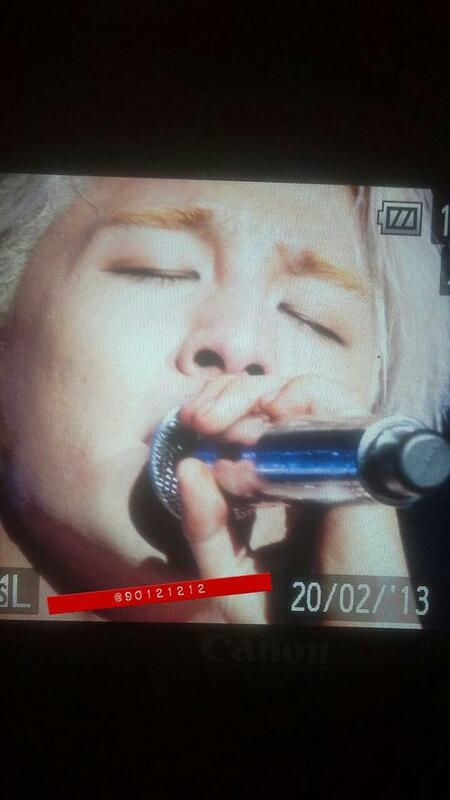 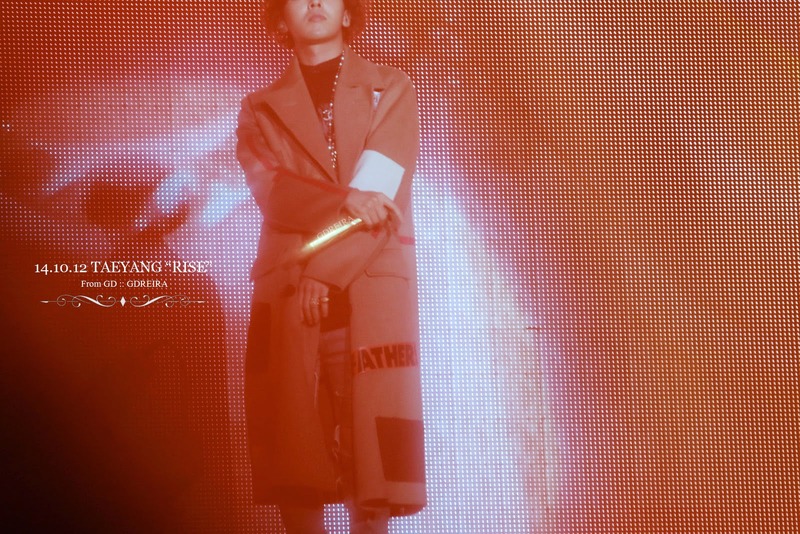 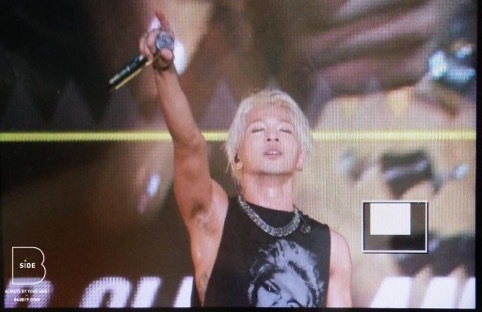 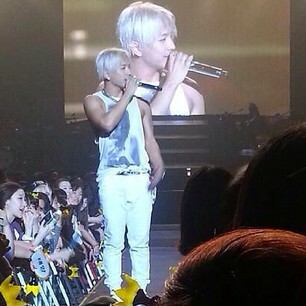 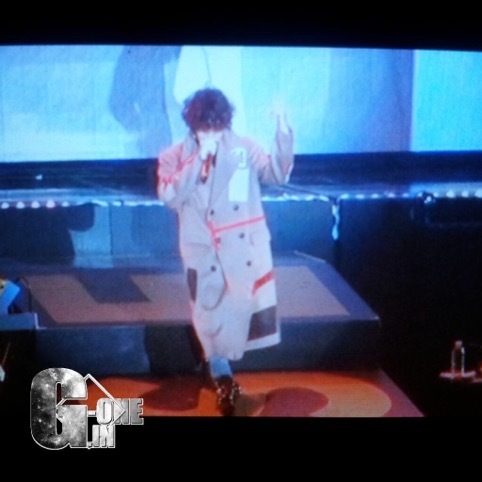 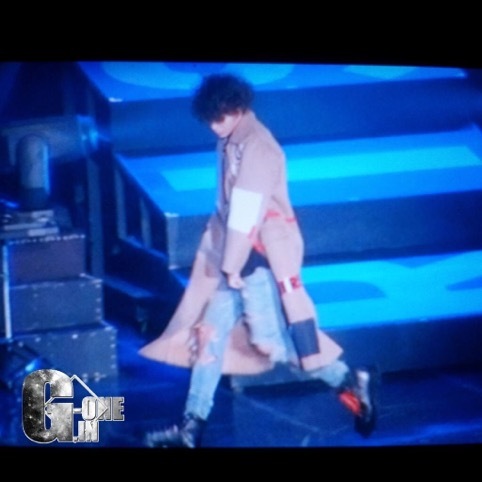 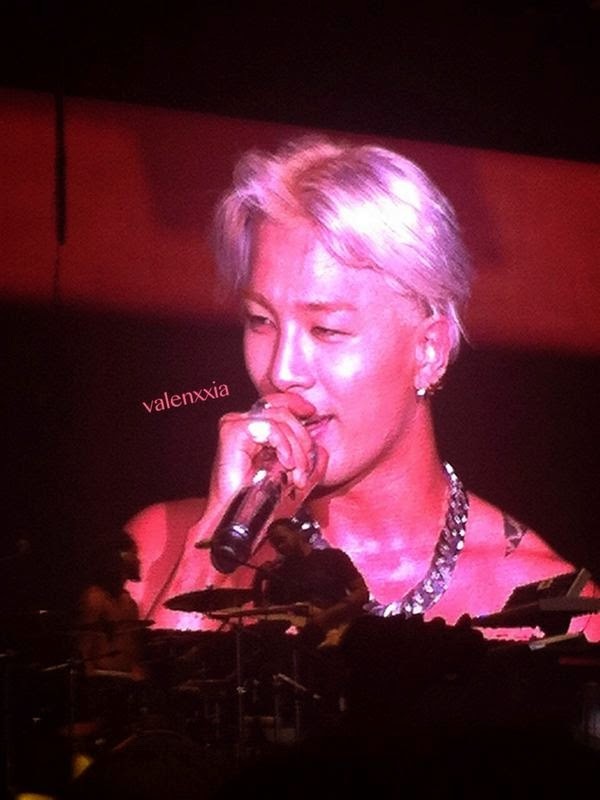 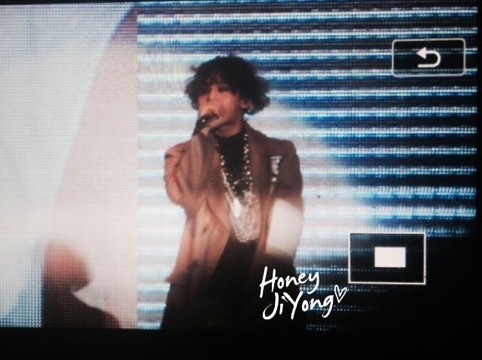 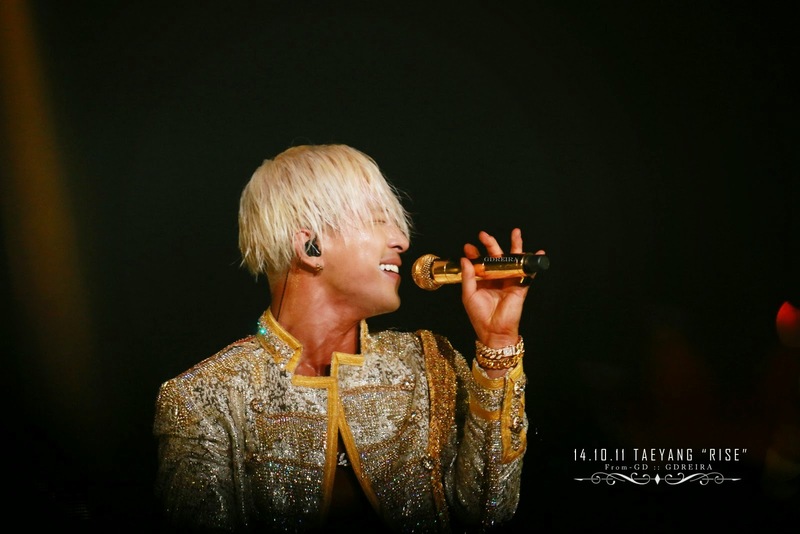 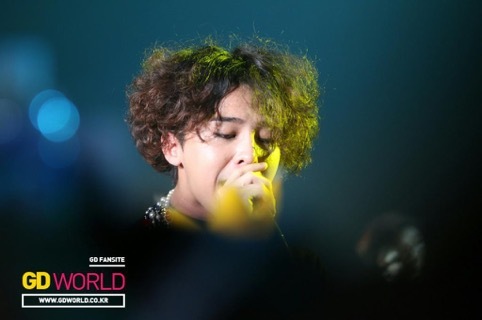 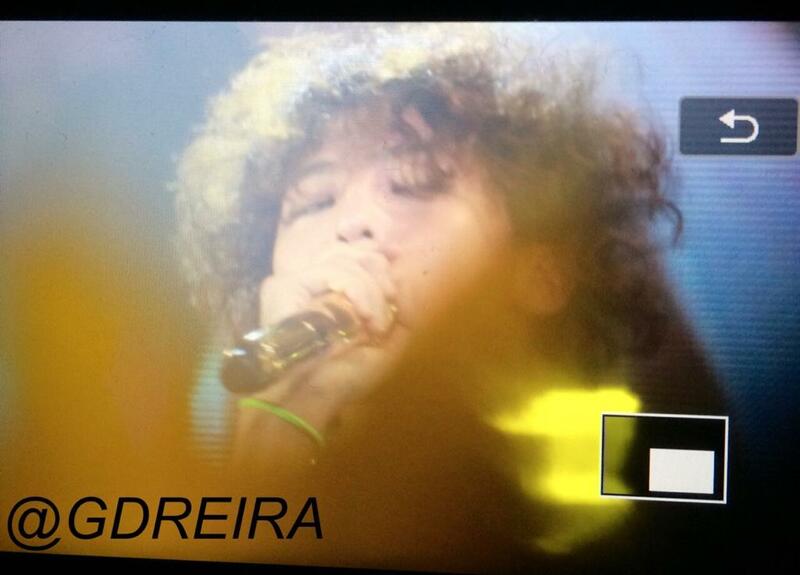 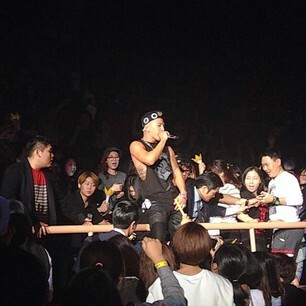 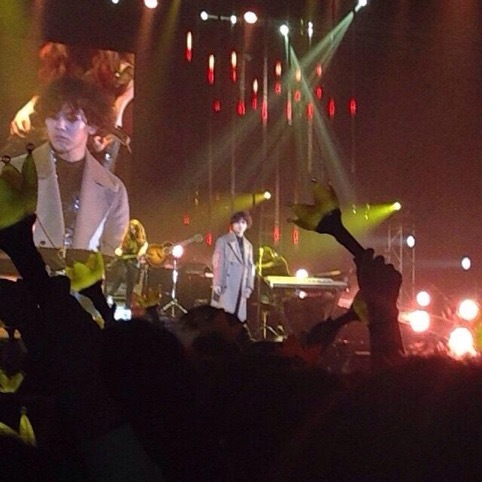 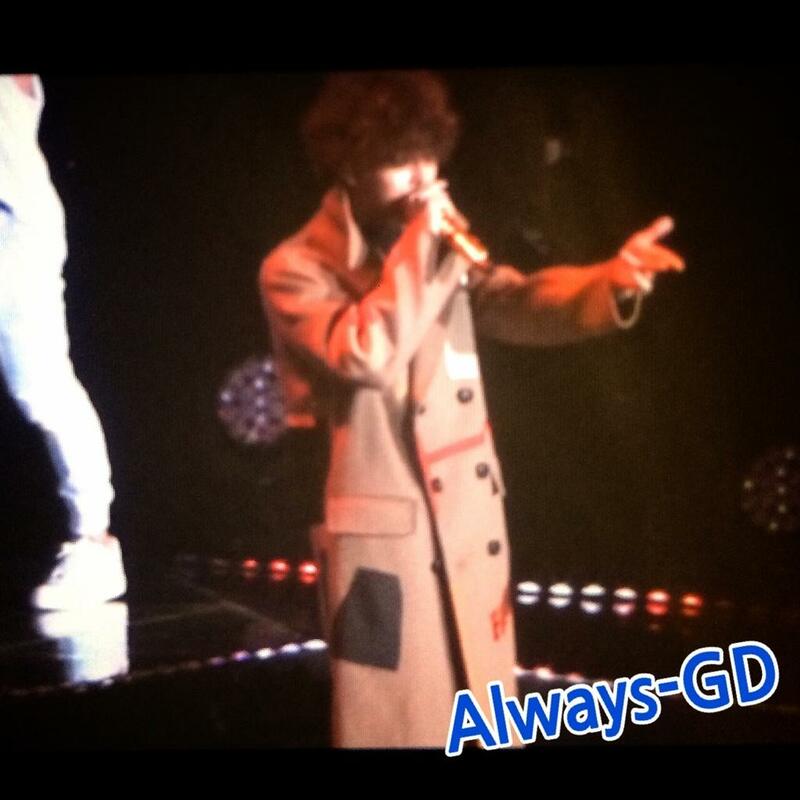 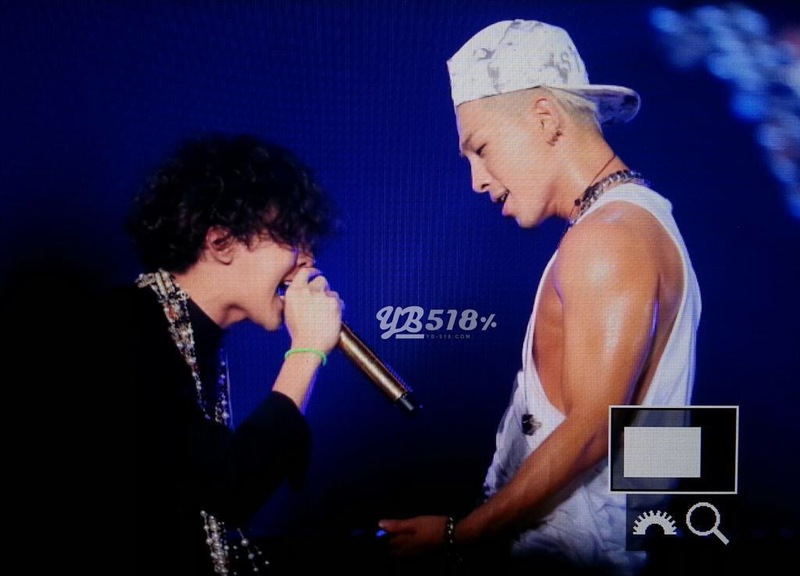 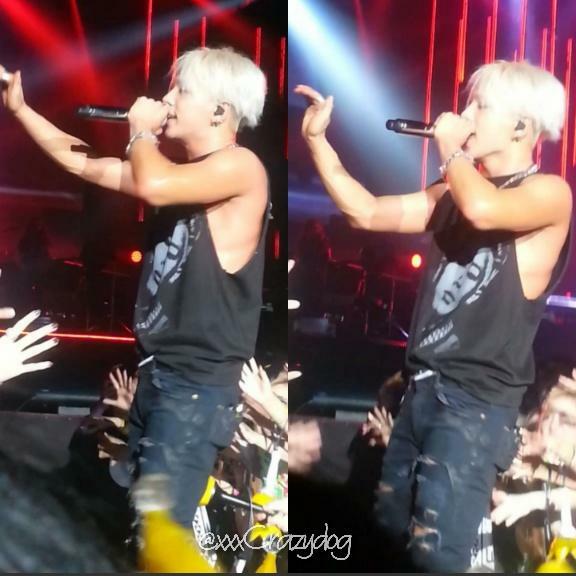 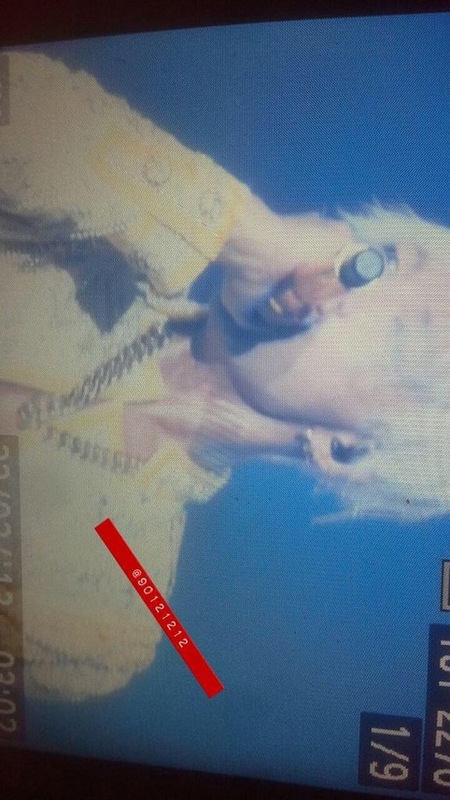 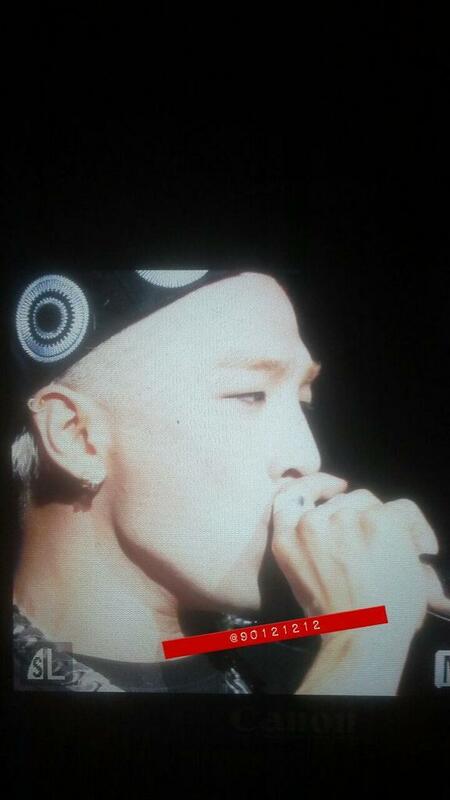 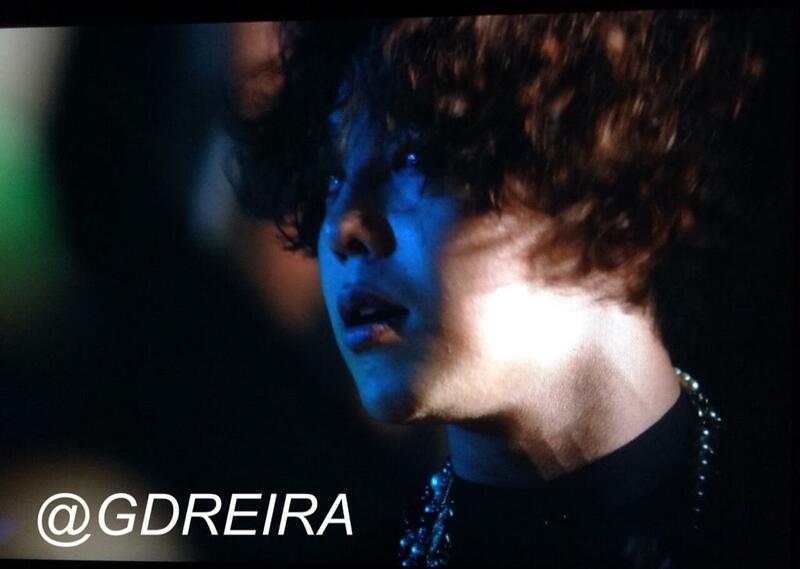 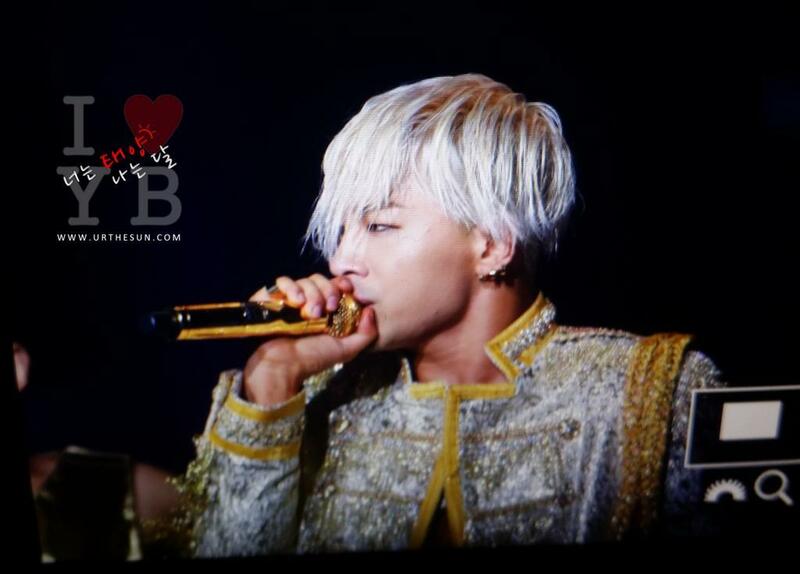 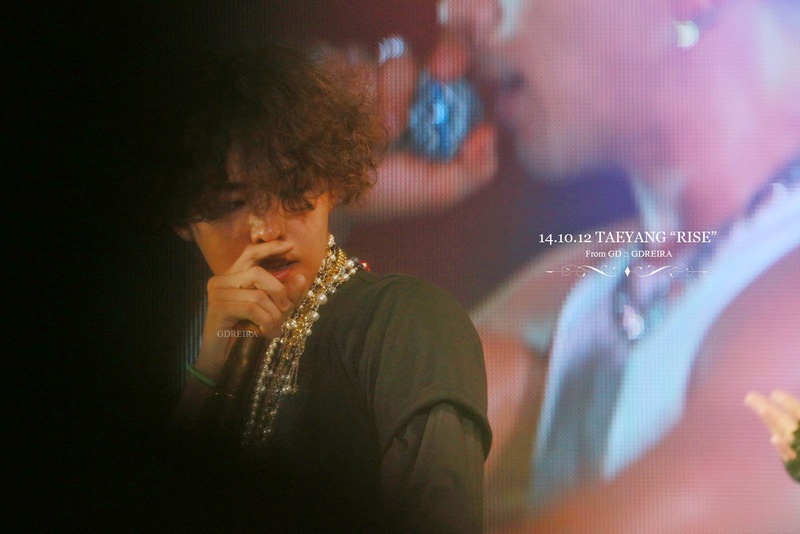 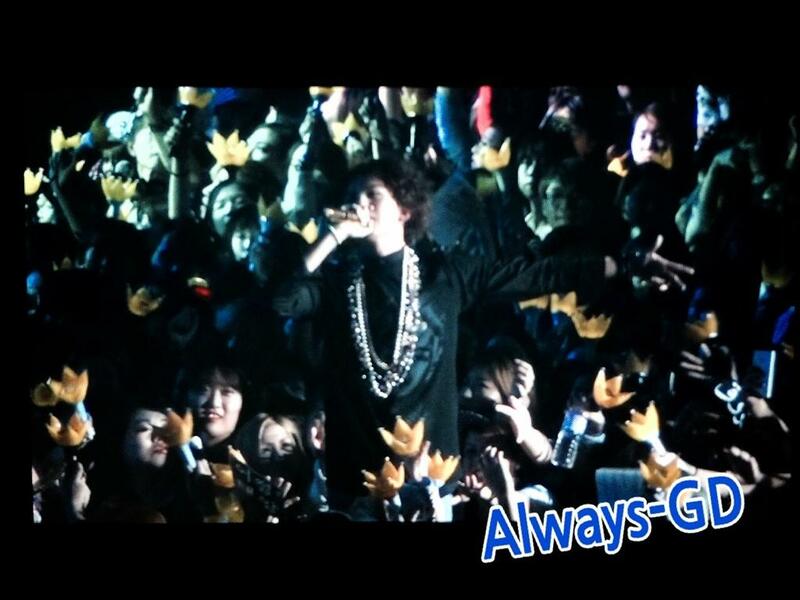 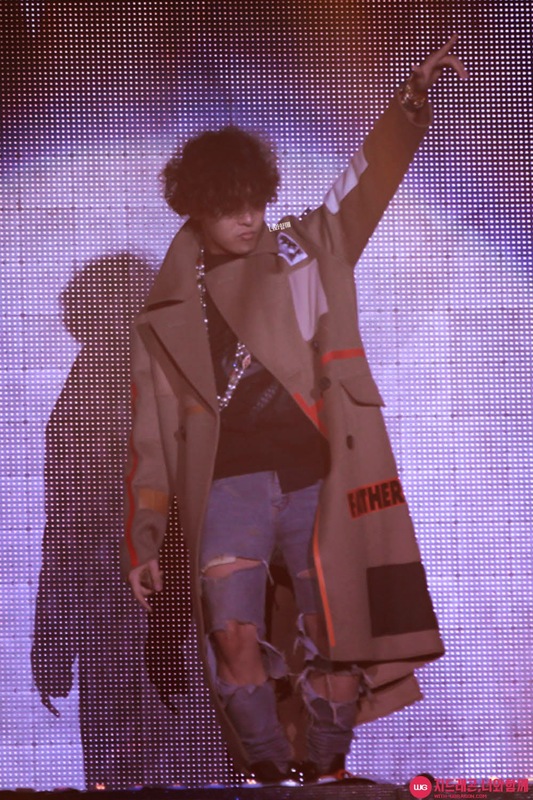 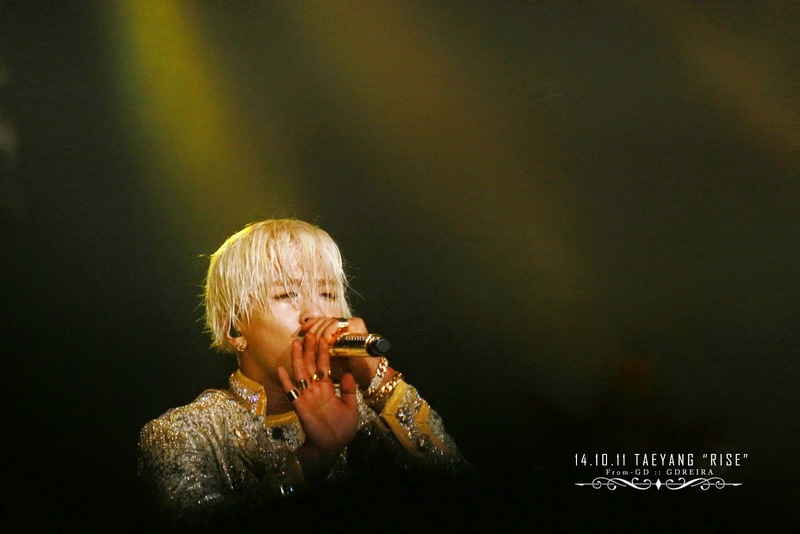 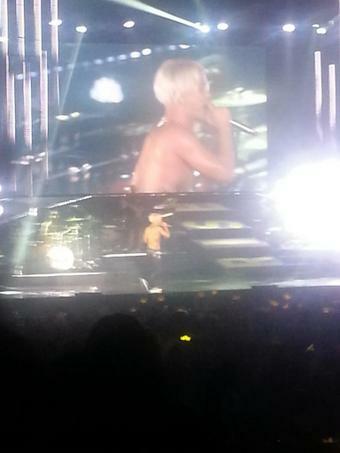 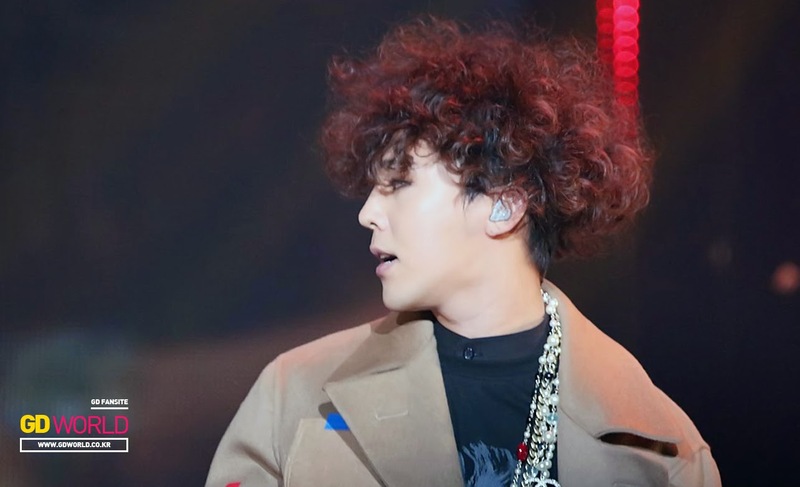 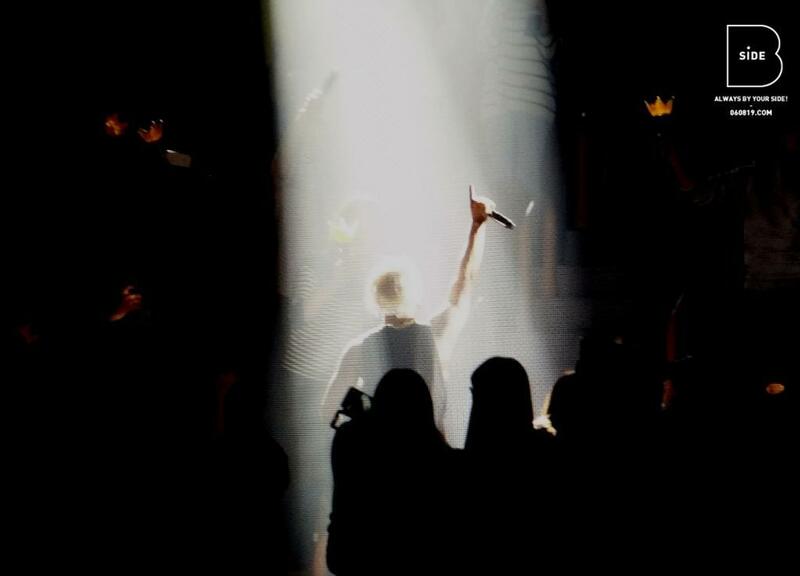 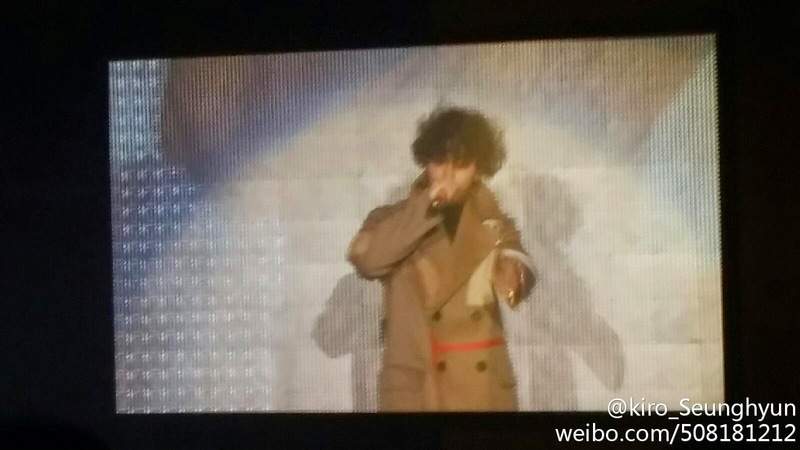 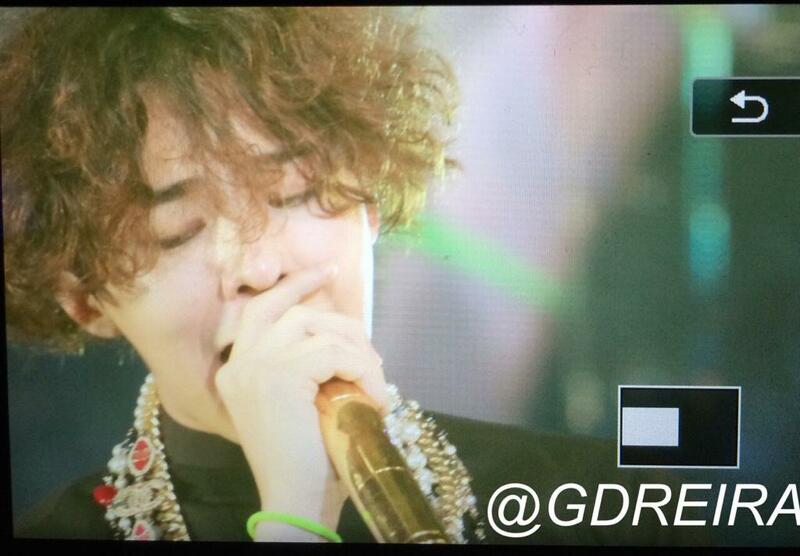 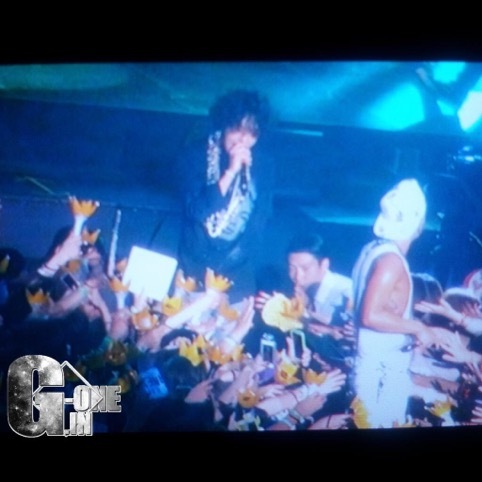 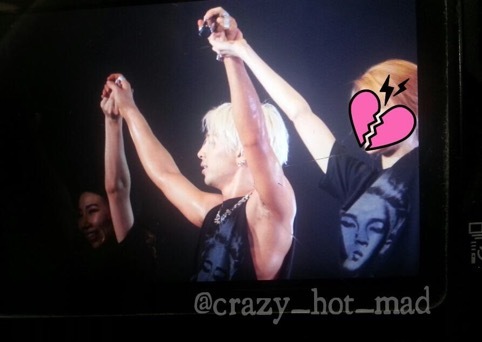 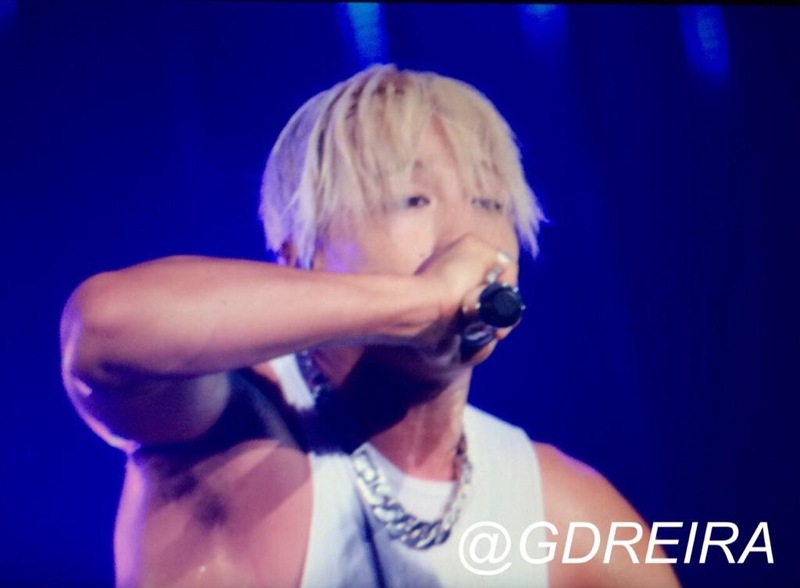 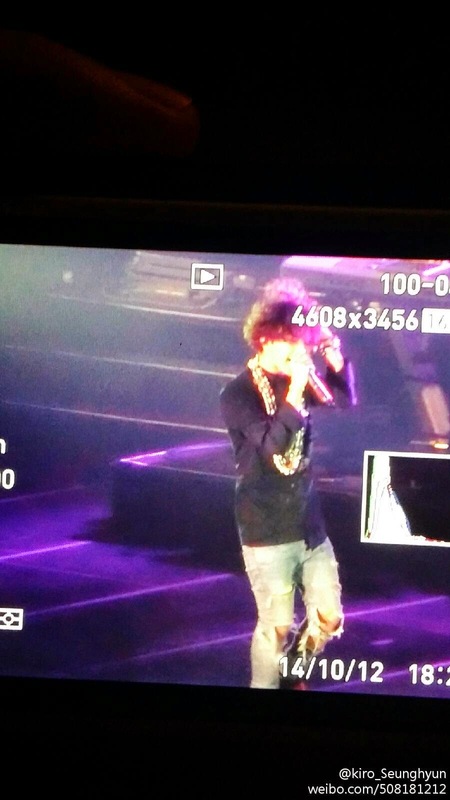 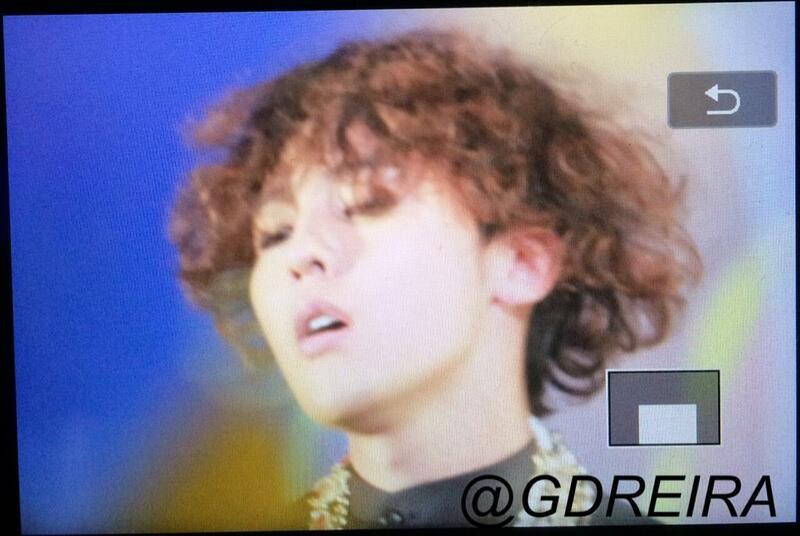 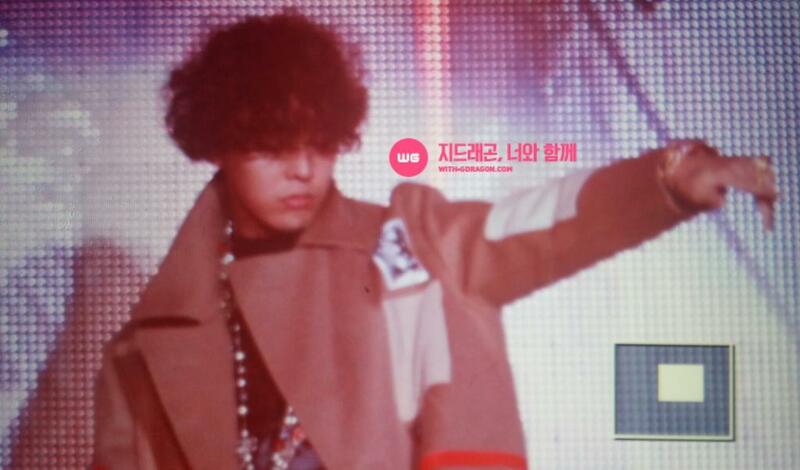 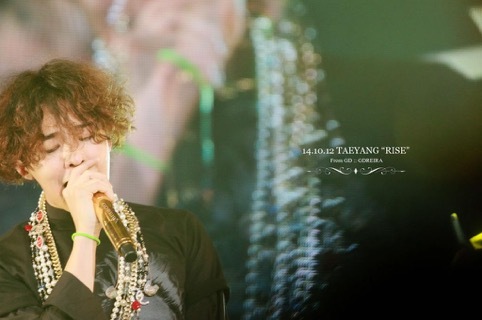 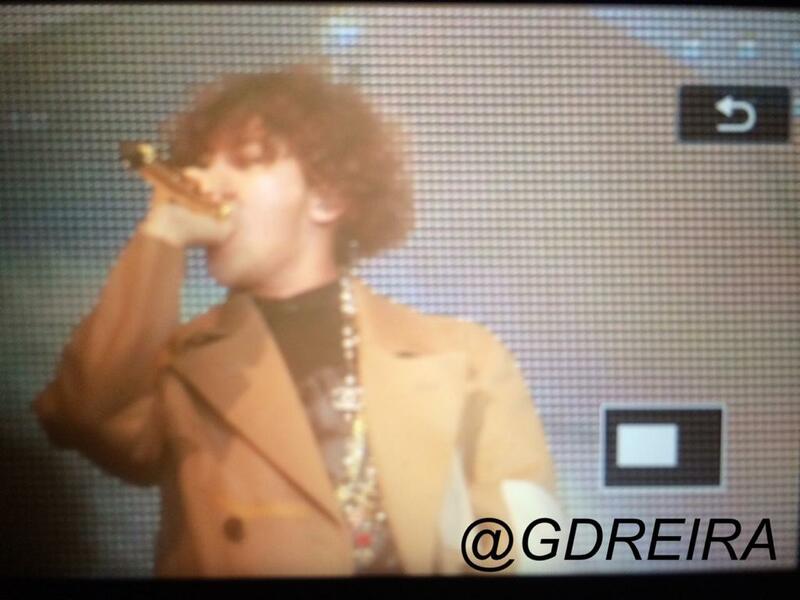 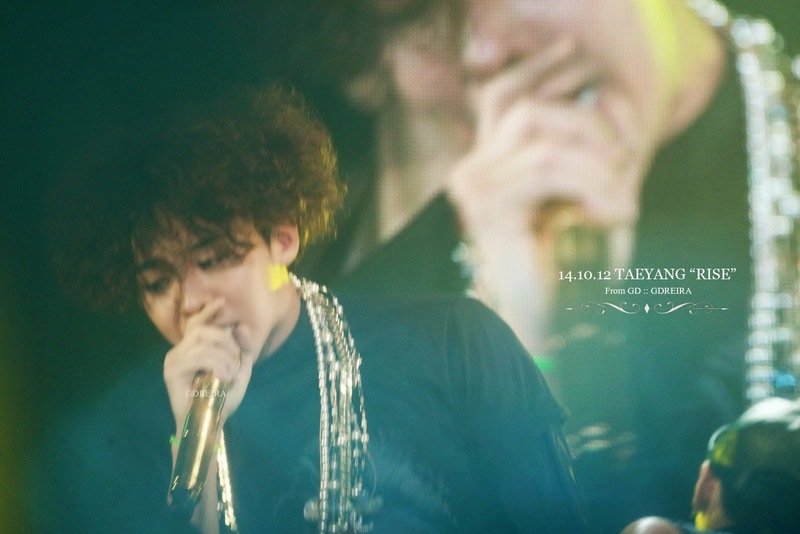 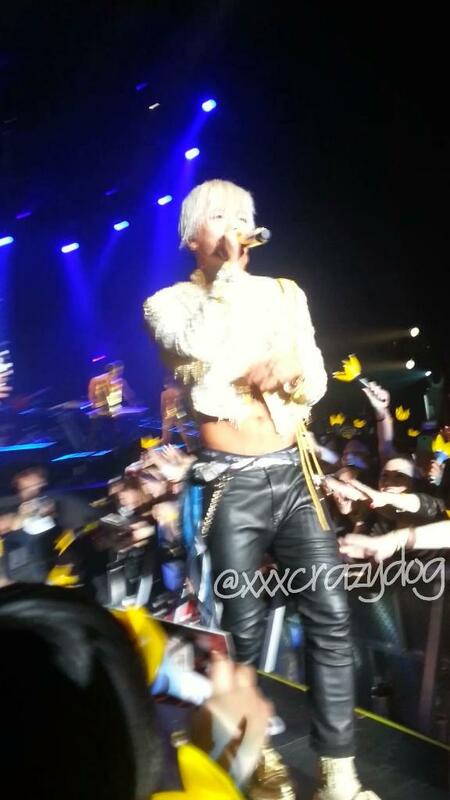 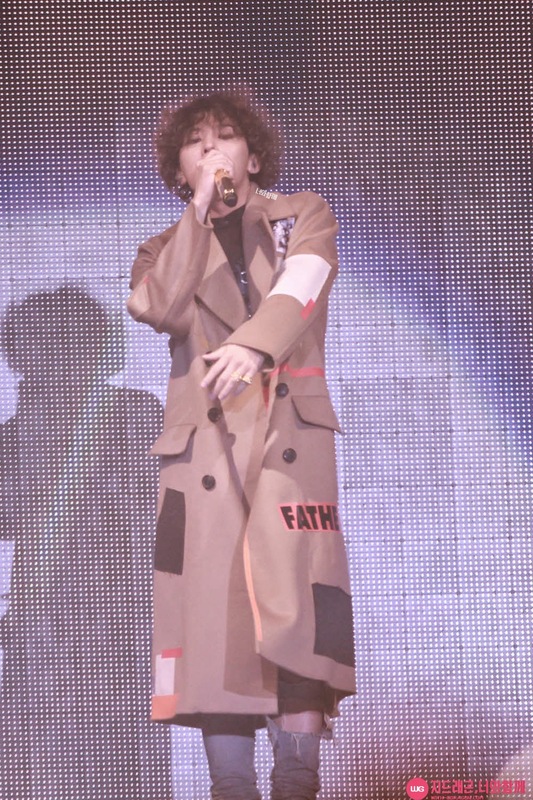 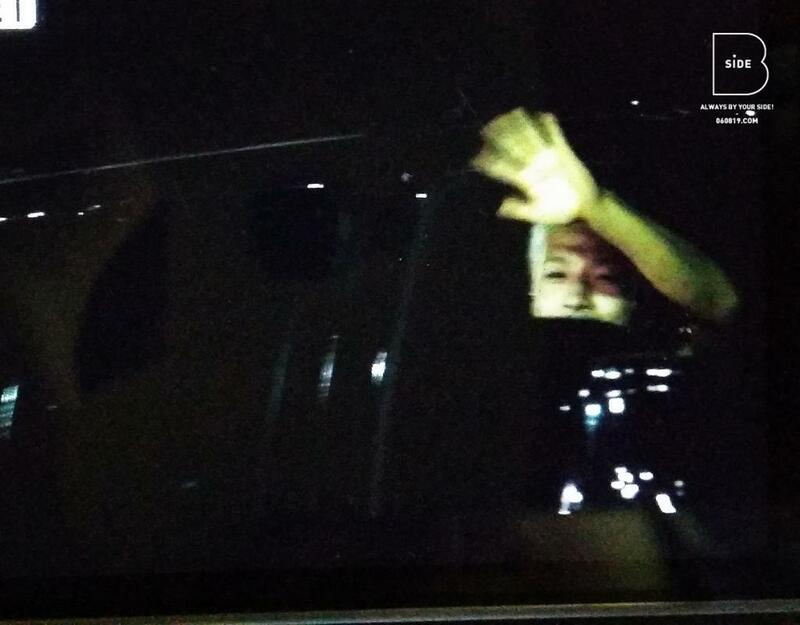 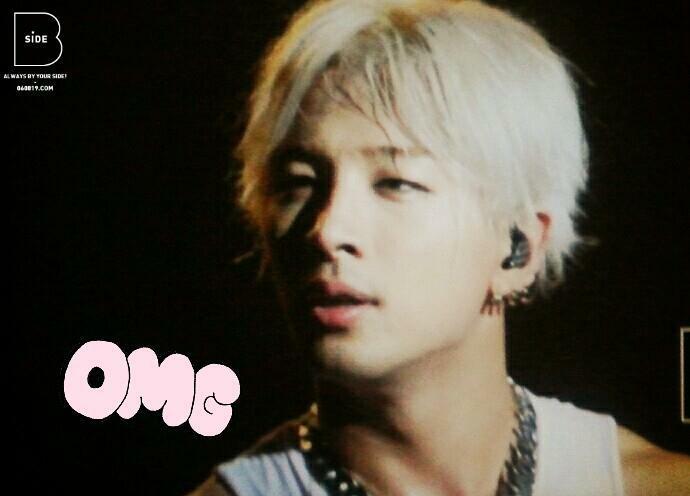 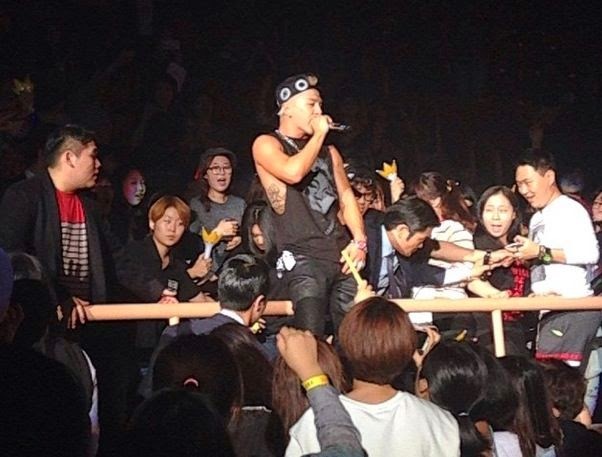 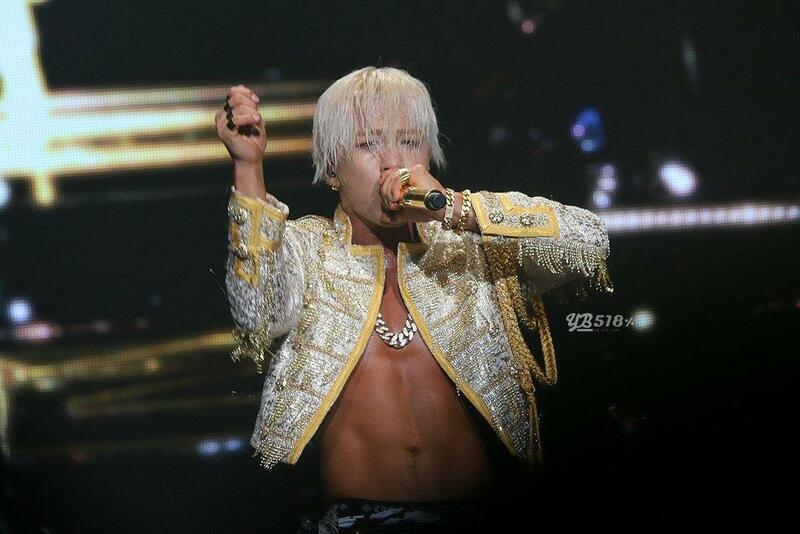 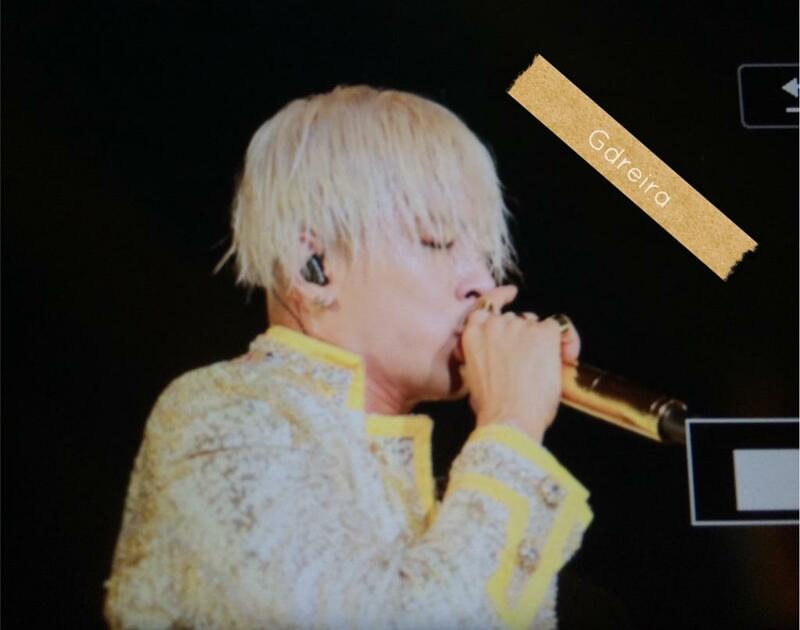 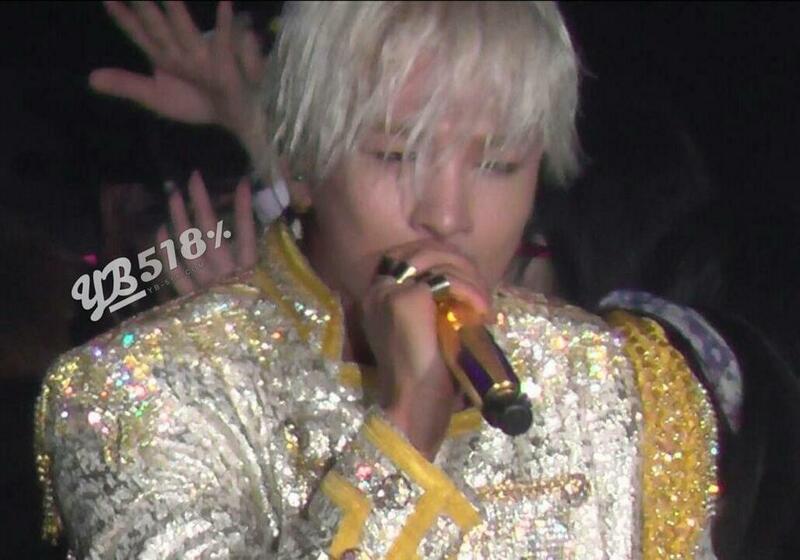 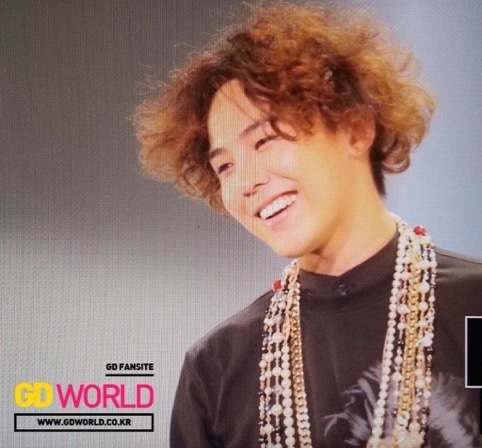 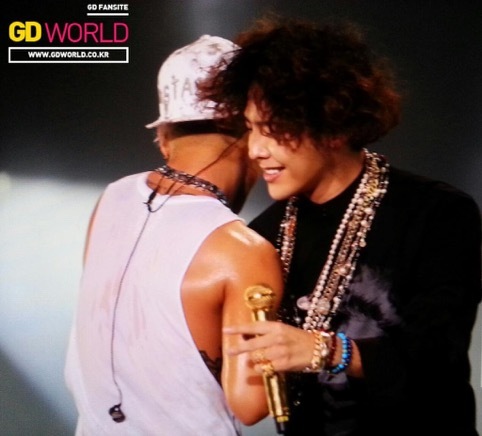 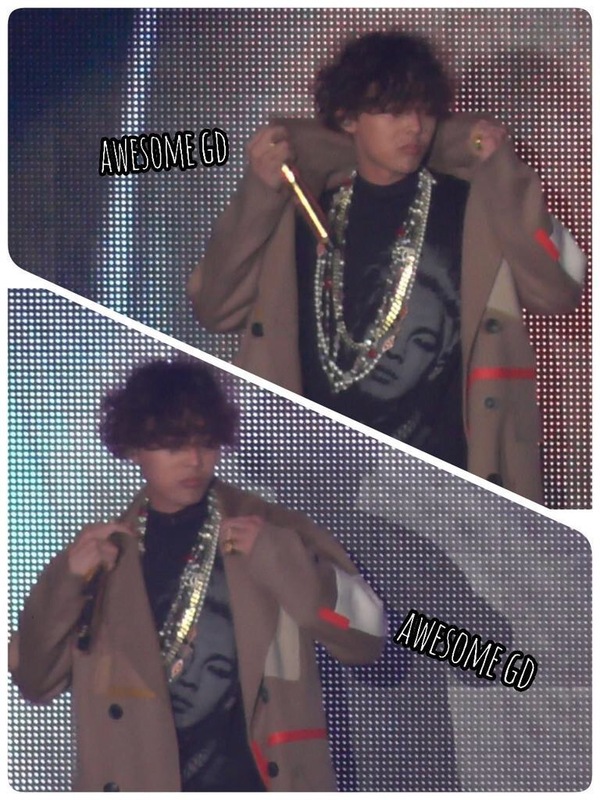 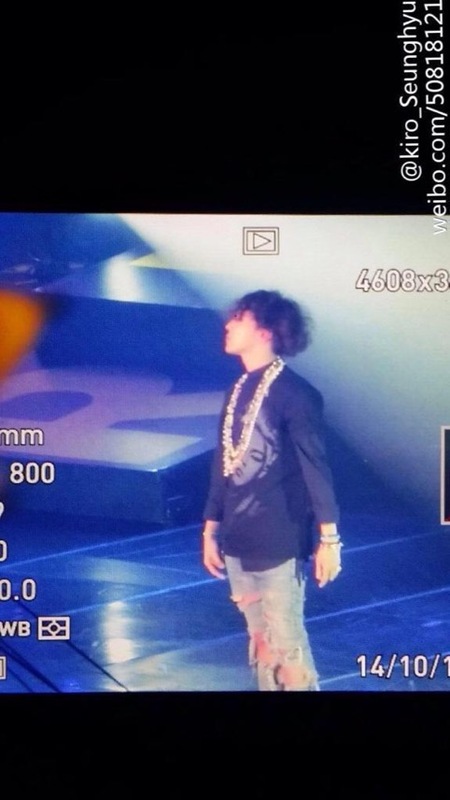 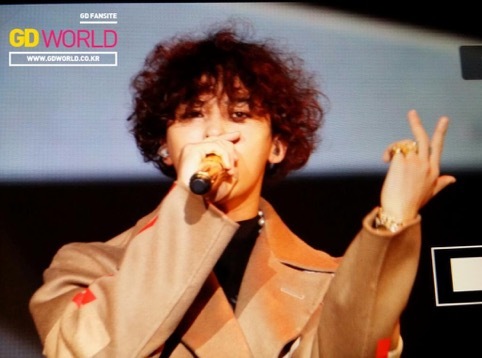 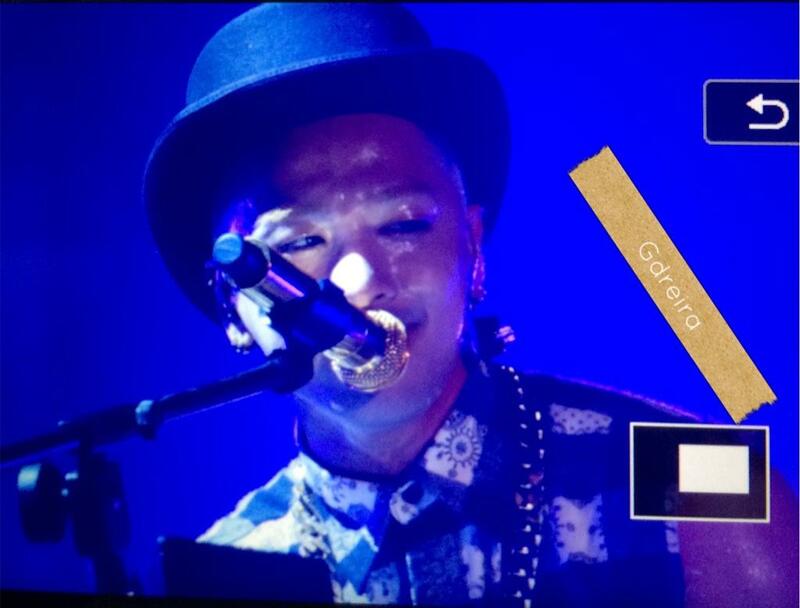 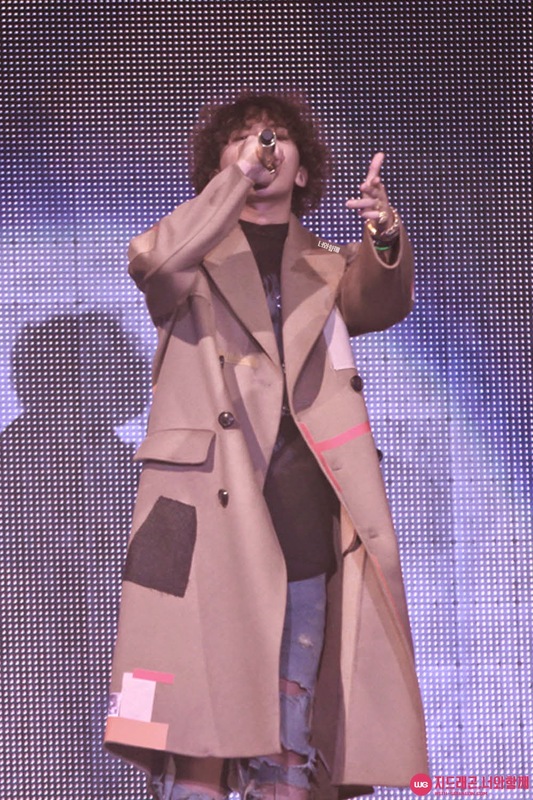 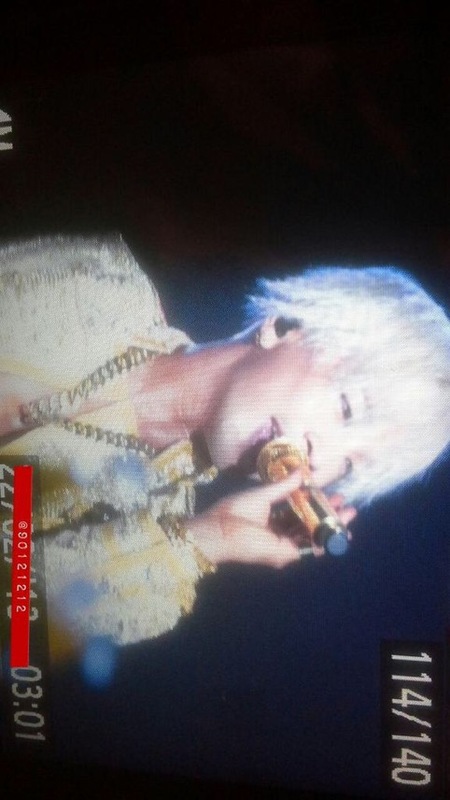 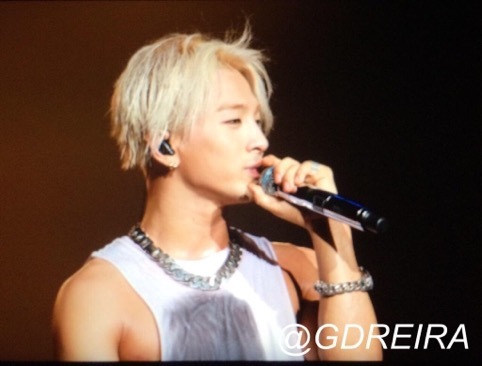 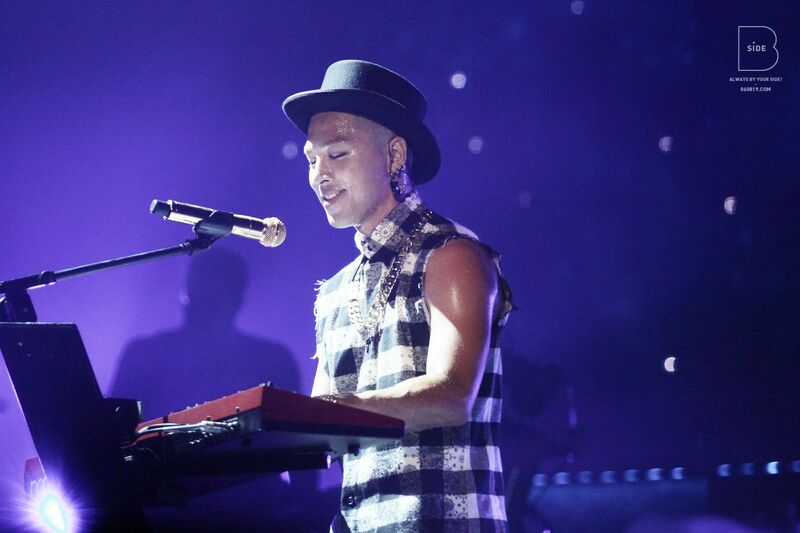 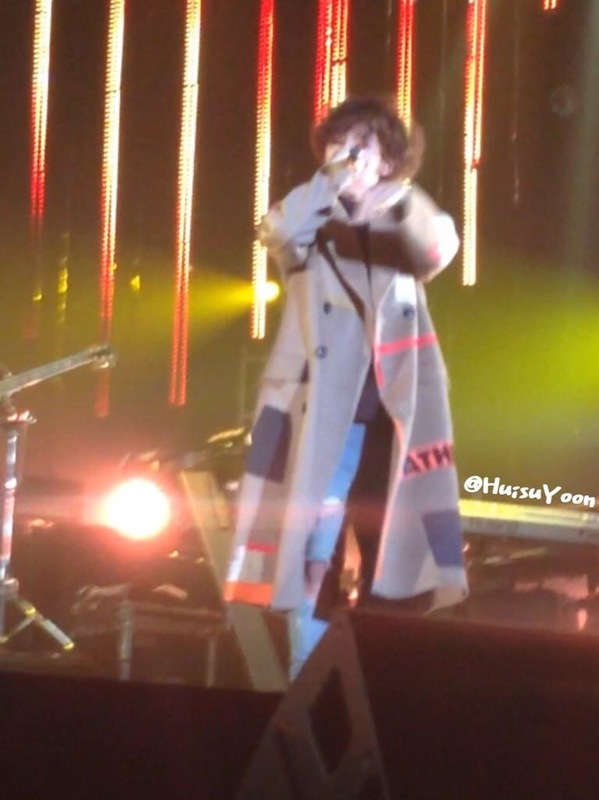 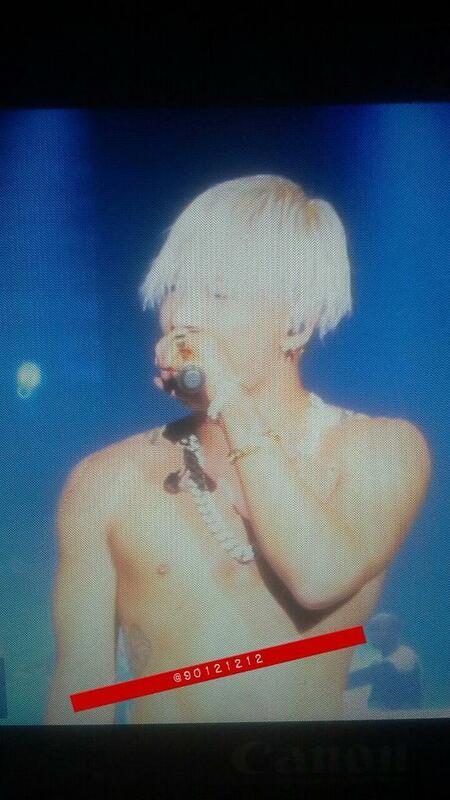 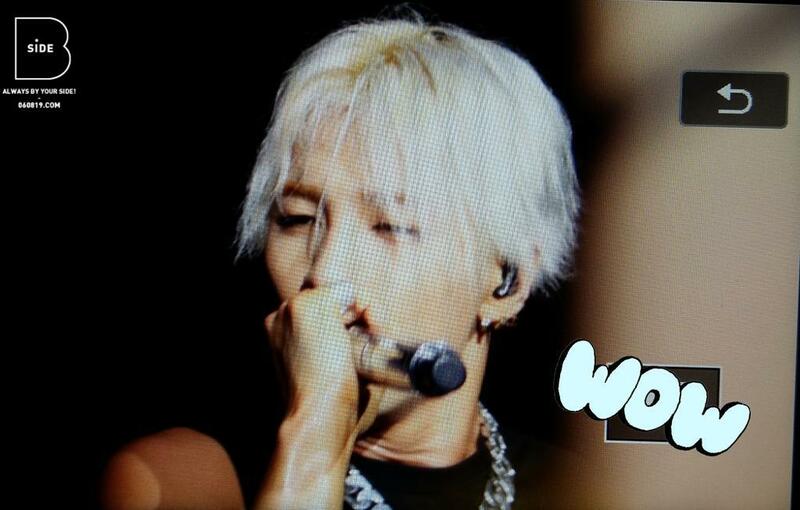 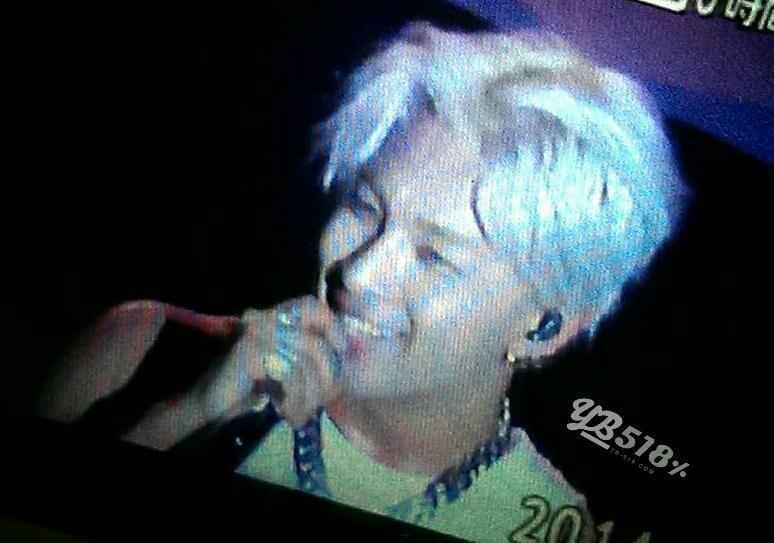 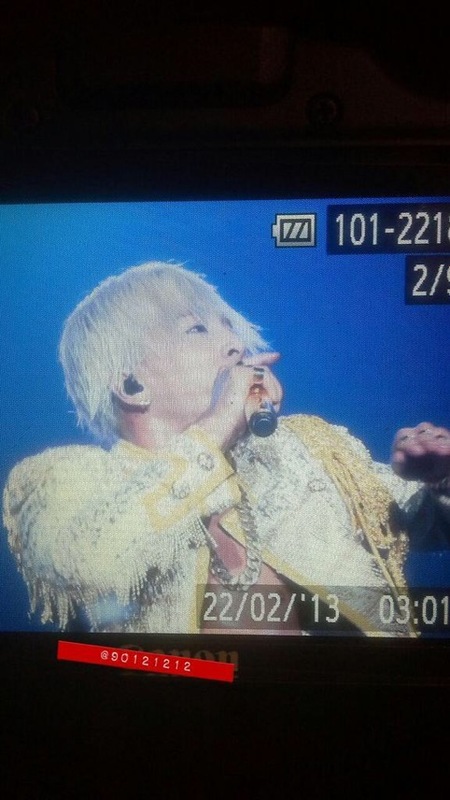 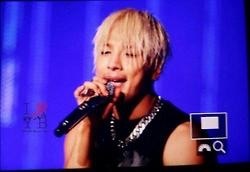 G-Dragon joined Taeyang on stage for "Stay with Me" and added "Crooked" as encore with both on stage. 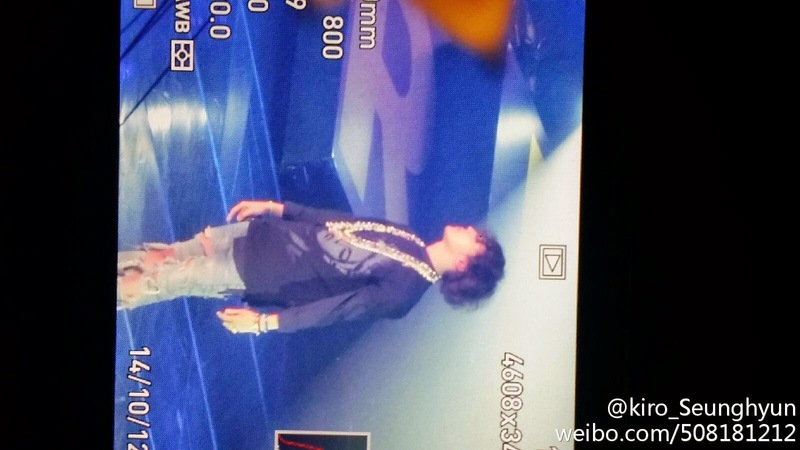 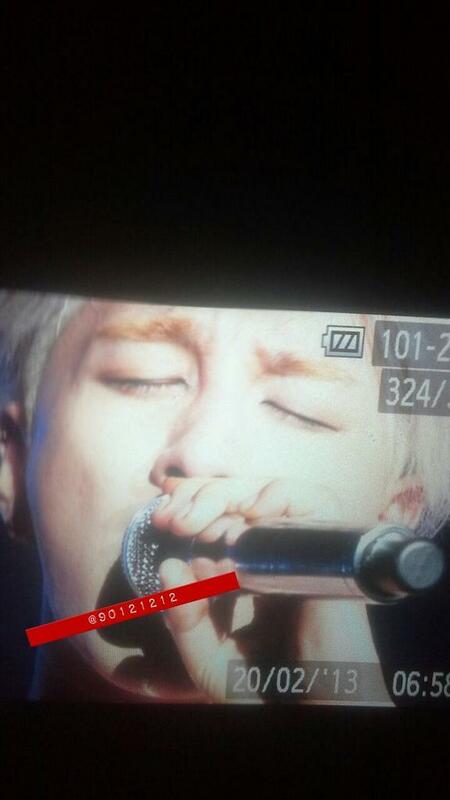 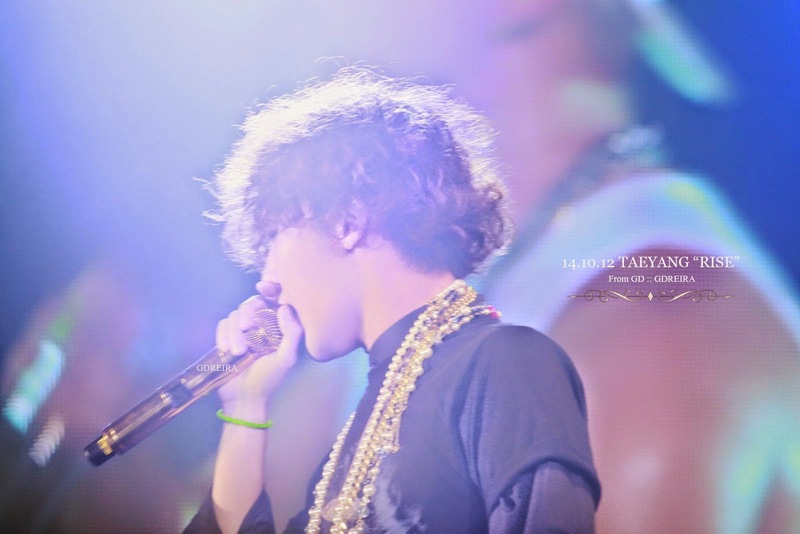 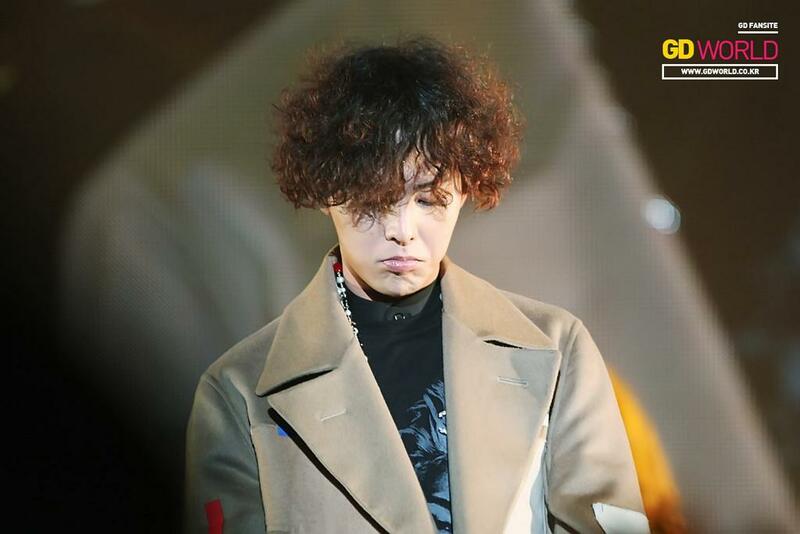 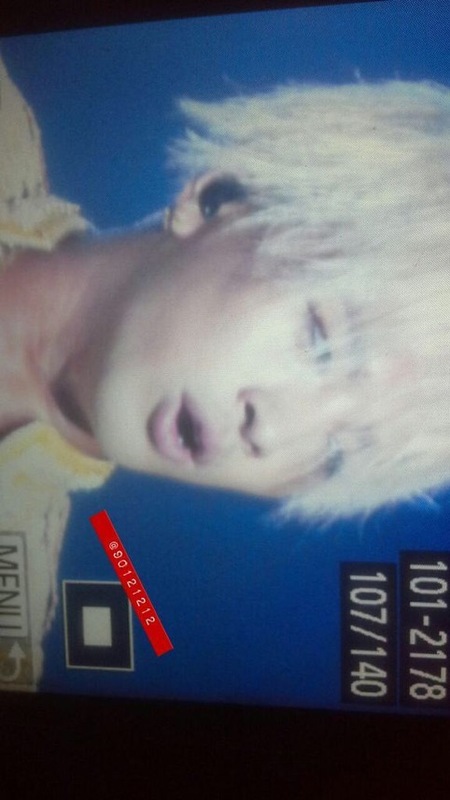 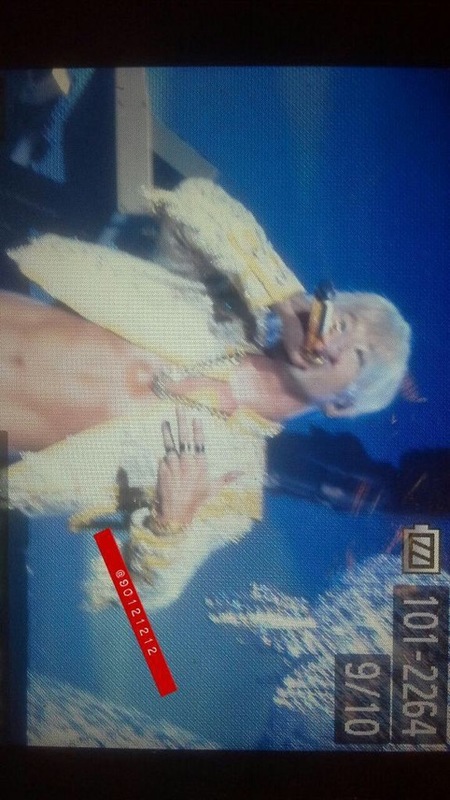 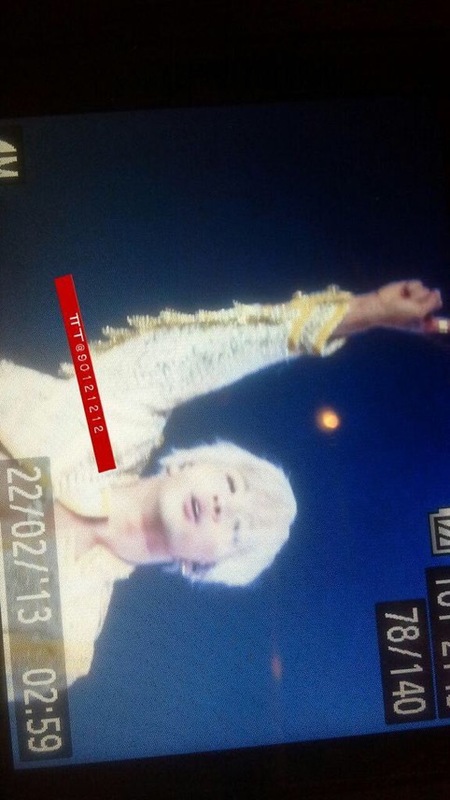 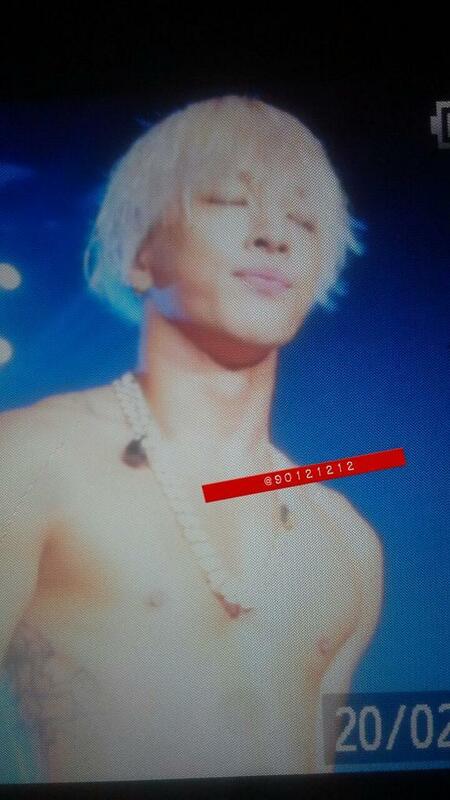 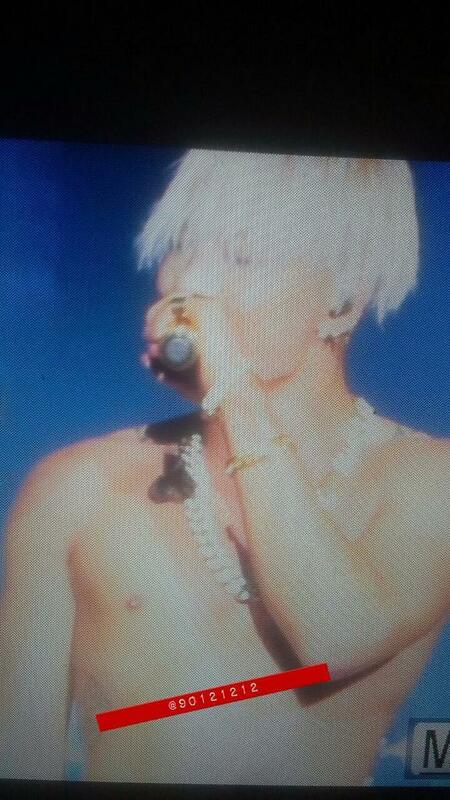 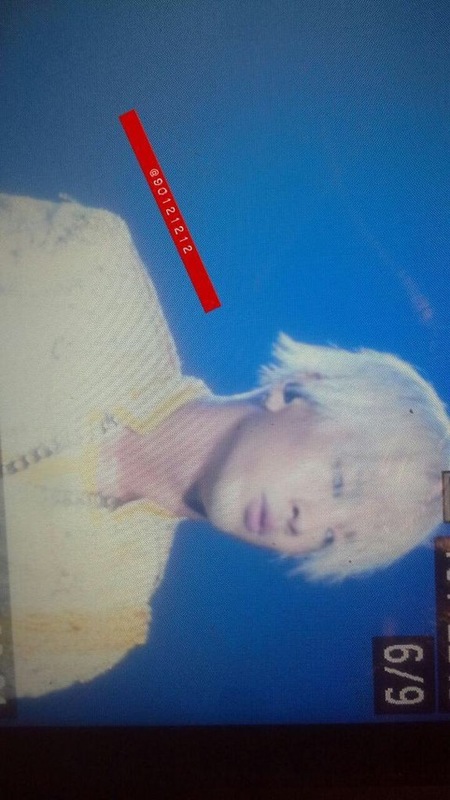 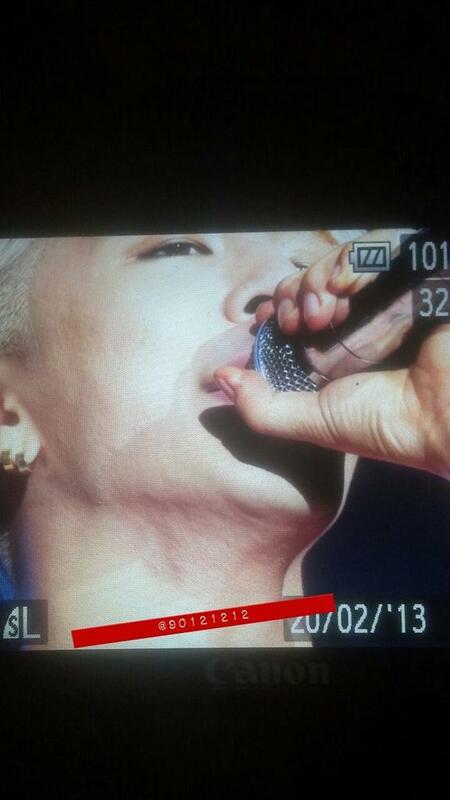 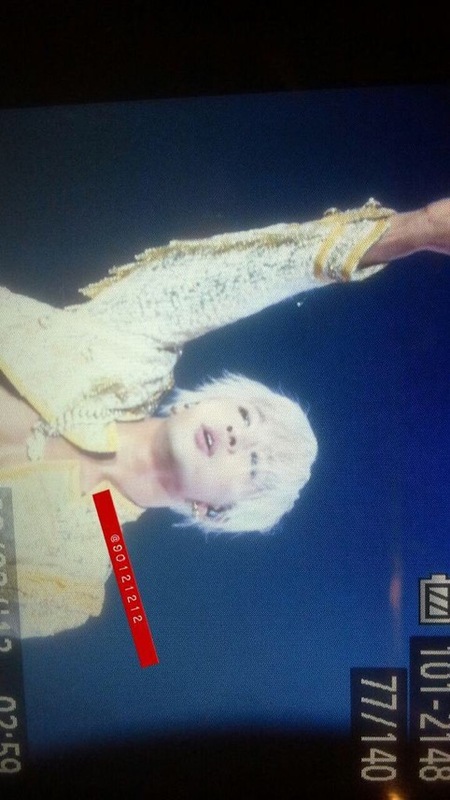 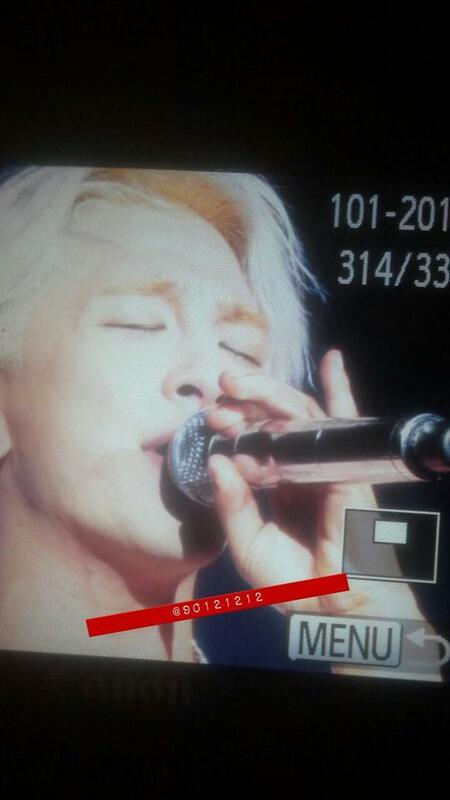 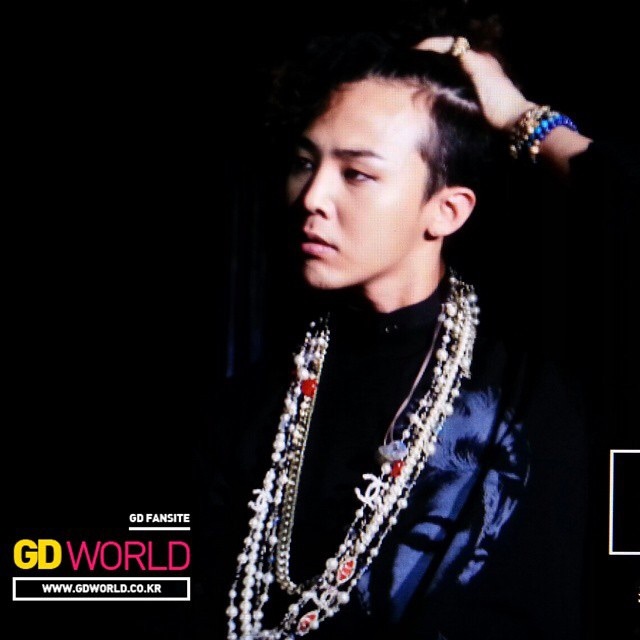 Credits: as tagged on photo, e.g. 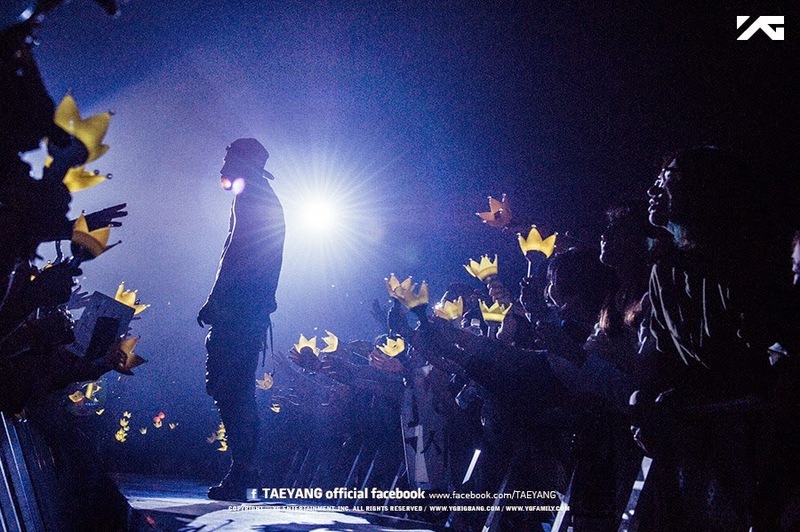 : @always_gd + @GDWORLD_ + kiro_Seunghyun@Weibo + @with_gdragon, @GDREIRA + @avril_gdtop and YB-518, URTHESUN and many more as credited in the picture above. 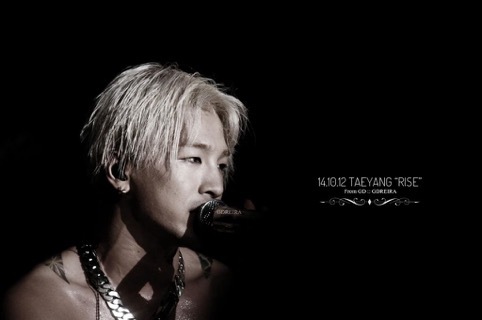 Source: As credited incl. 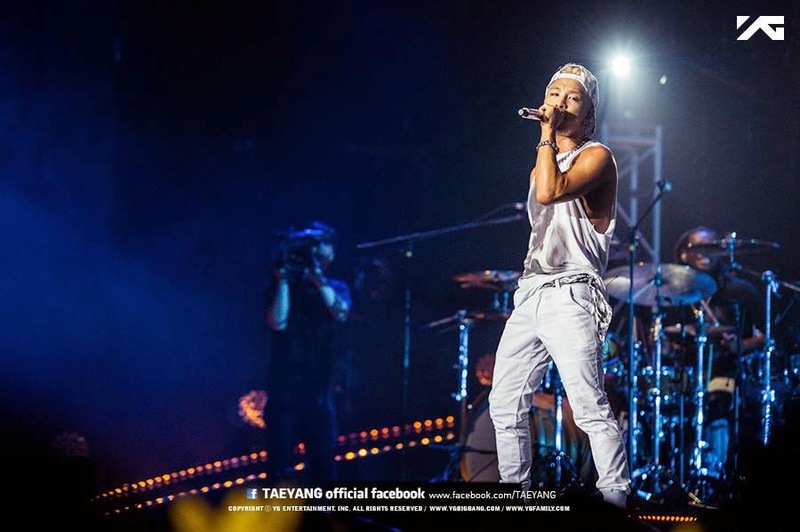 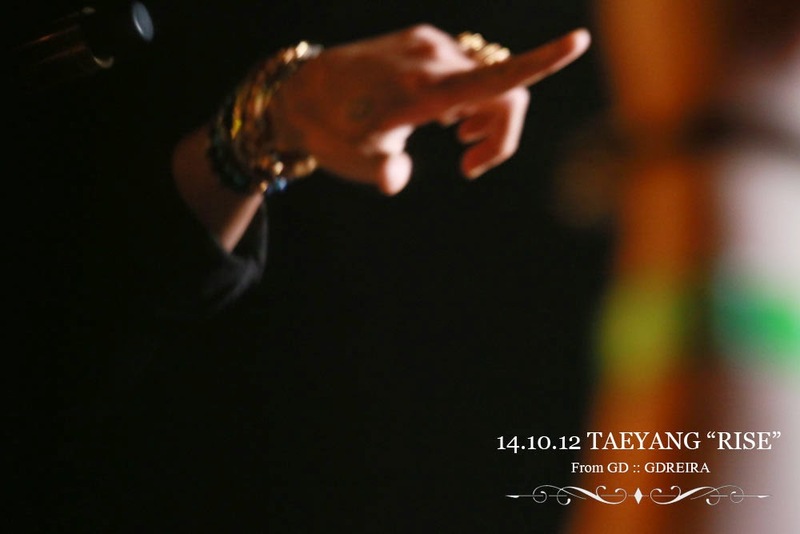 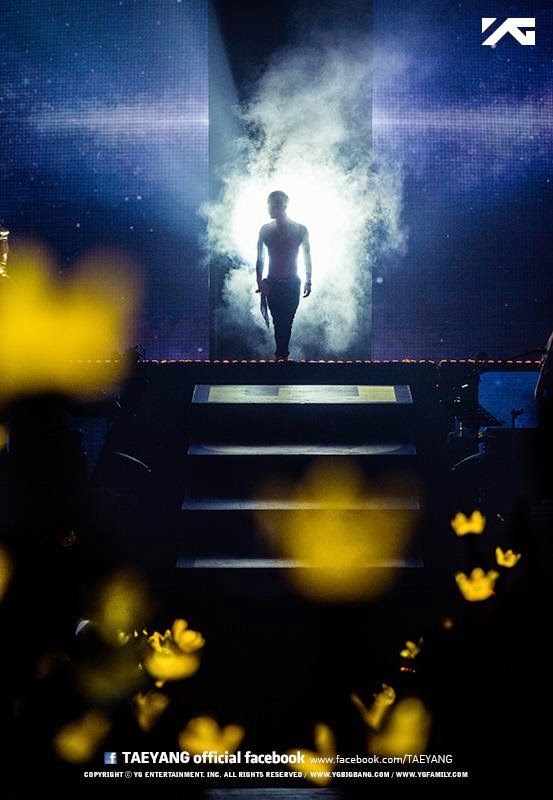 official pictures from YG Entertainment via Facebook Update.